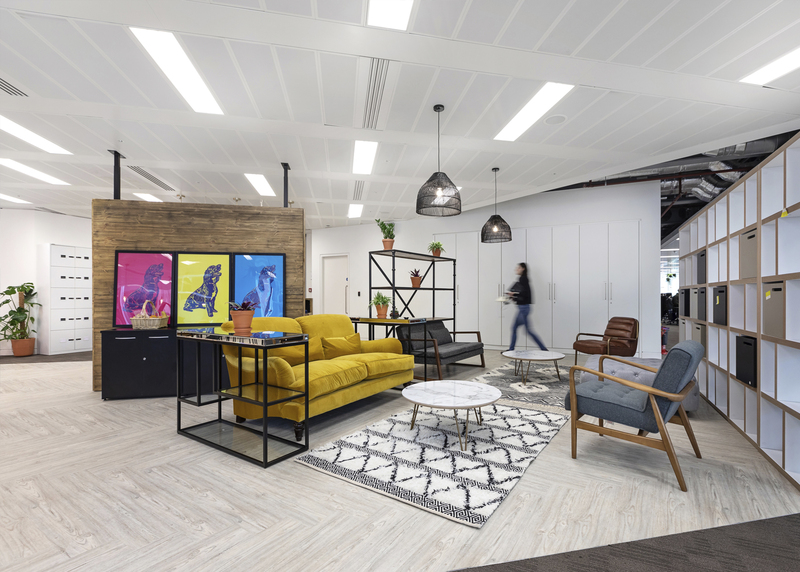 The brief was to create an agile, collaborative and social workplace for people to work where, when and how they choose. 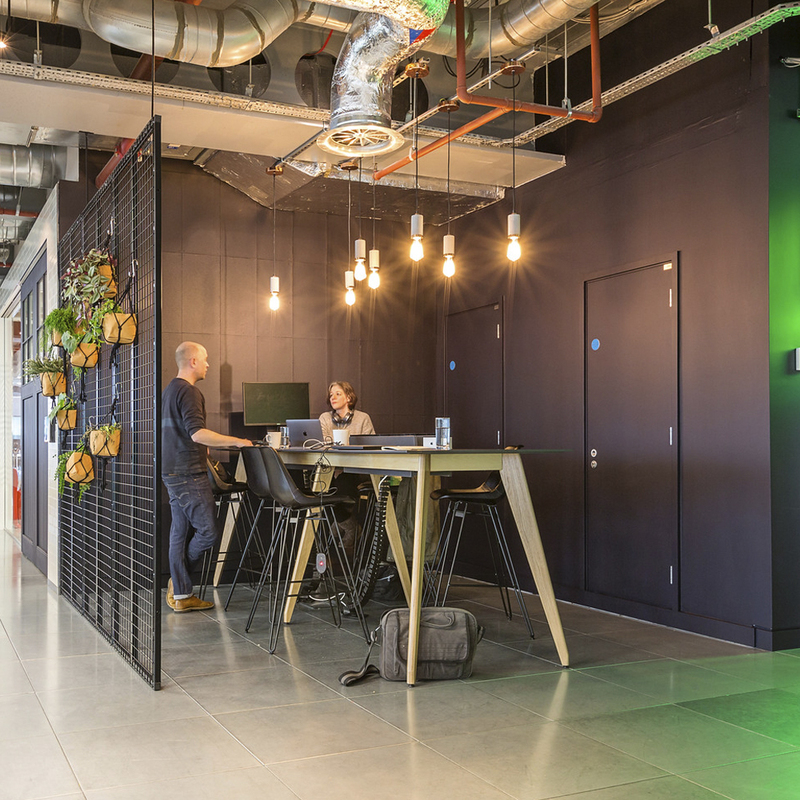 The space had to promote creativity and wellbeing by bringing the outside in with feature plant installations. 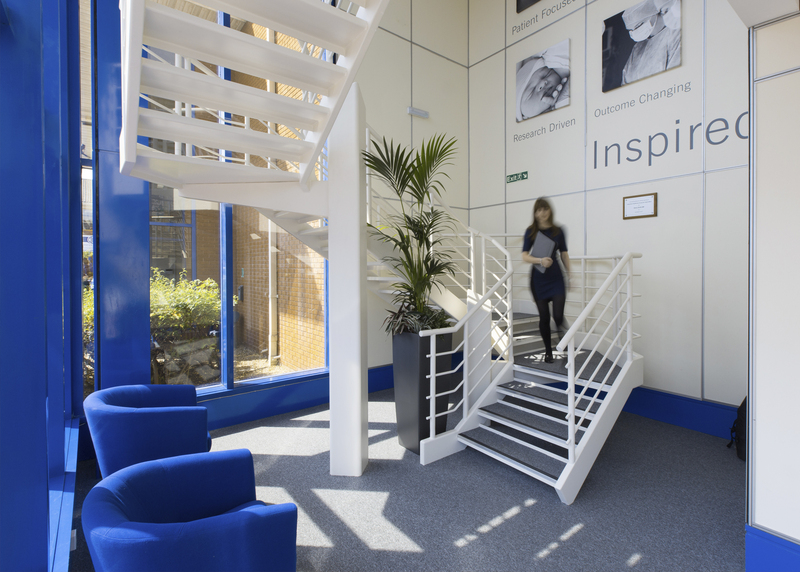 It’s a workplace that has to inspire you and be a club that you want to be part of. 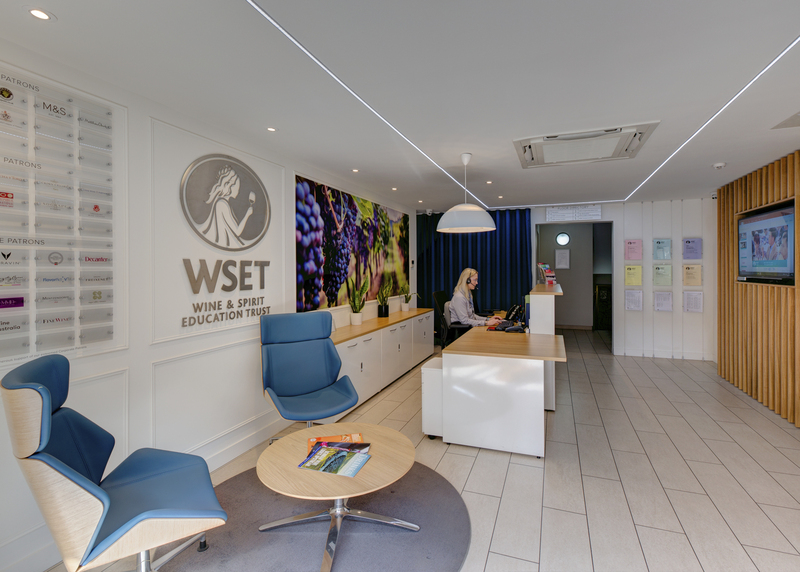 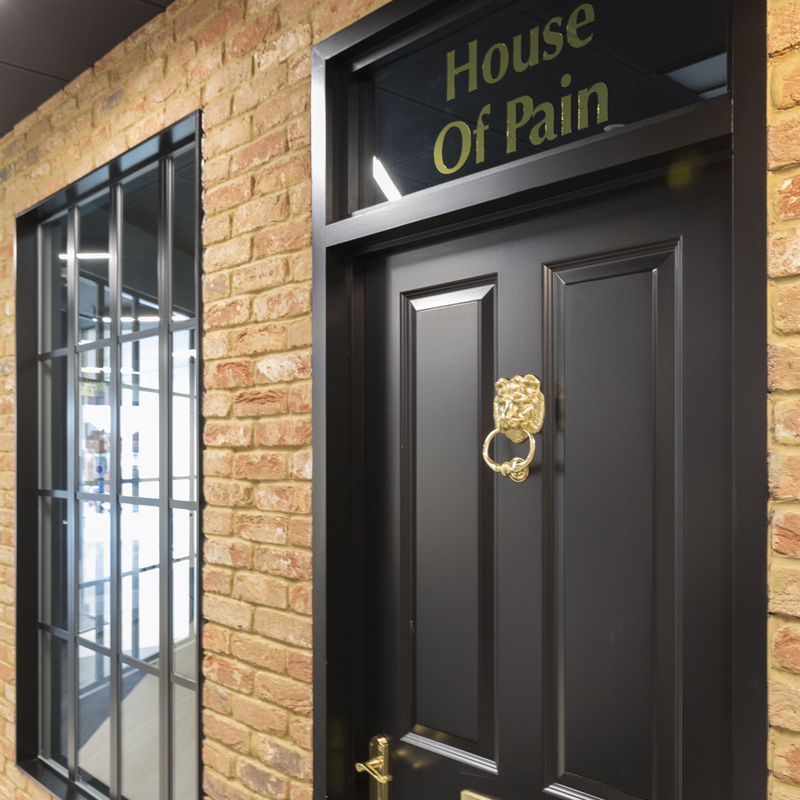 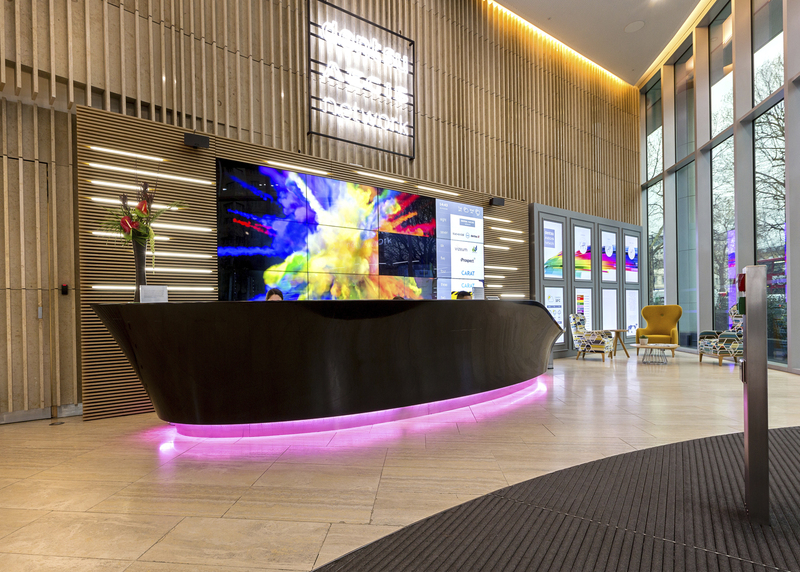 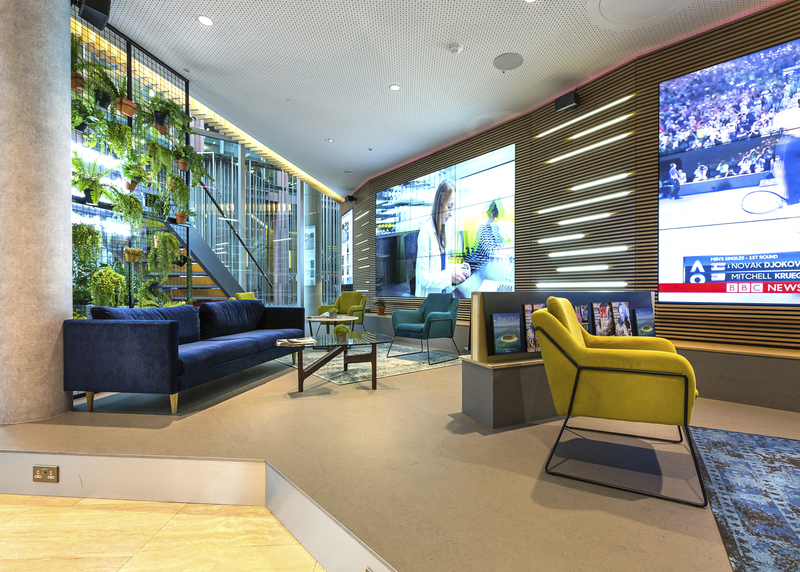 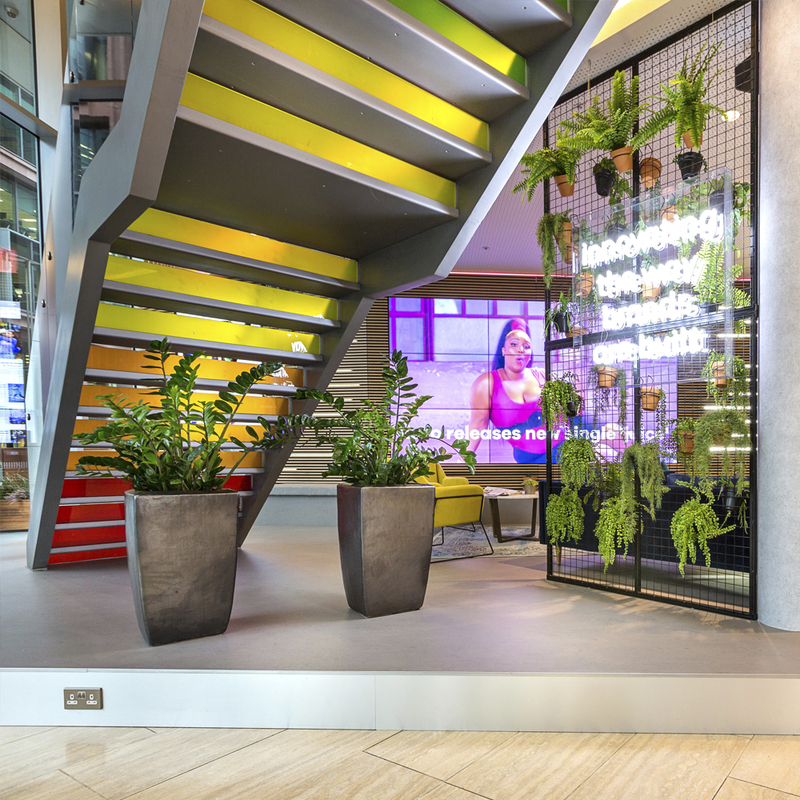 The project specification included feature bespoke joinery and furniture, feature flooring, feature walls and decorations, feature branding, feature neon signage, new AV and feature plant installations. 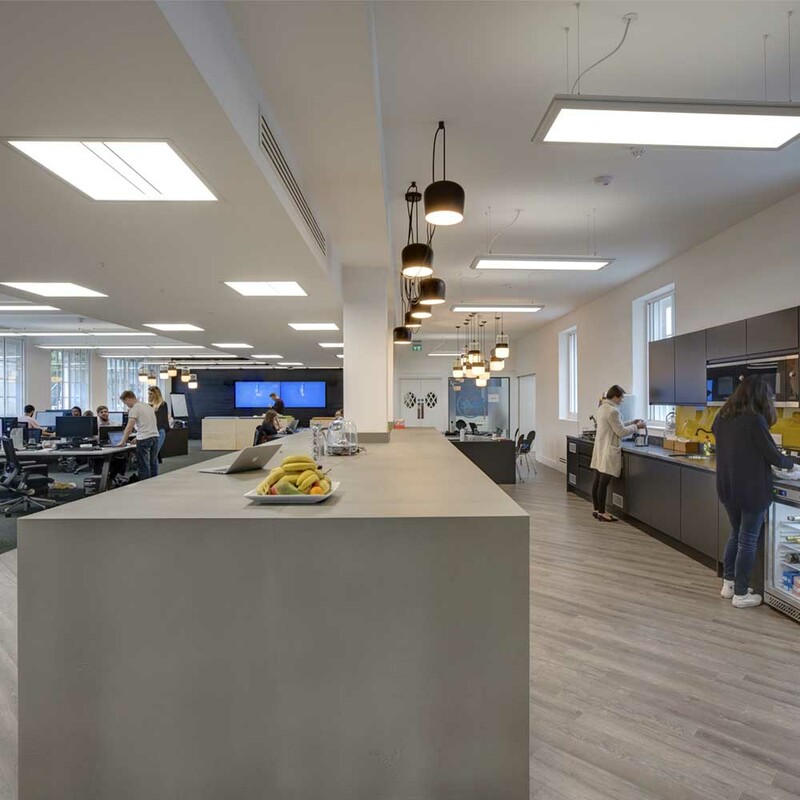 Grey Interiors were appointed by Farr Vintners to design and deliver a High End specification CAT A and CAT B Interior fit-out for their new HQ office located within the prestigious St Georges Battersea Reach development overlooking the Thames. 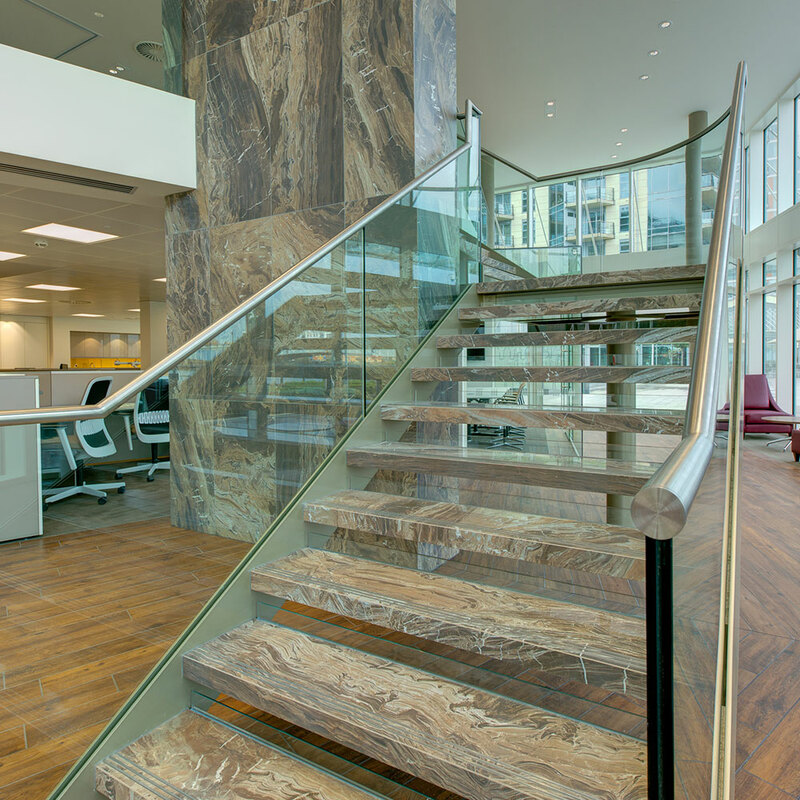 The project specification included feature bespoke joinery and furniture, feature flooring, feature walls, feature tiling and column panelling, feature glass panelling, feature branding, designer furniture supply, mezzanine floor installation, feature stairwells and balustrades, toilets and showers, hospitality kitchen, Audio Visual Supply and full Mechanical and Electrical infrastructure package. 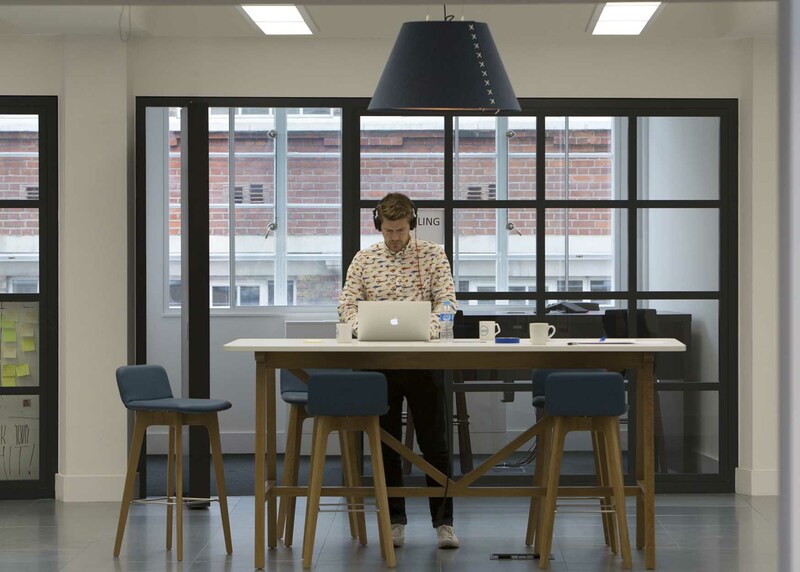 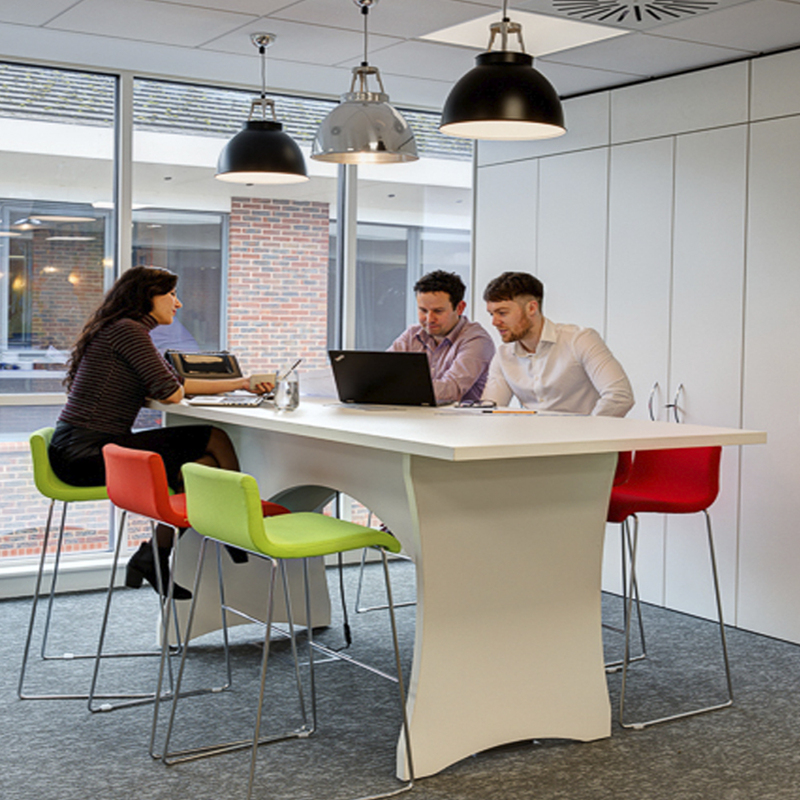 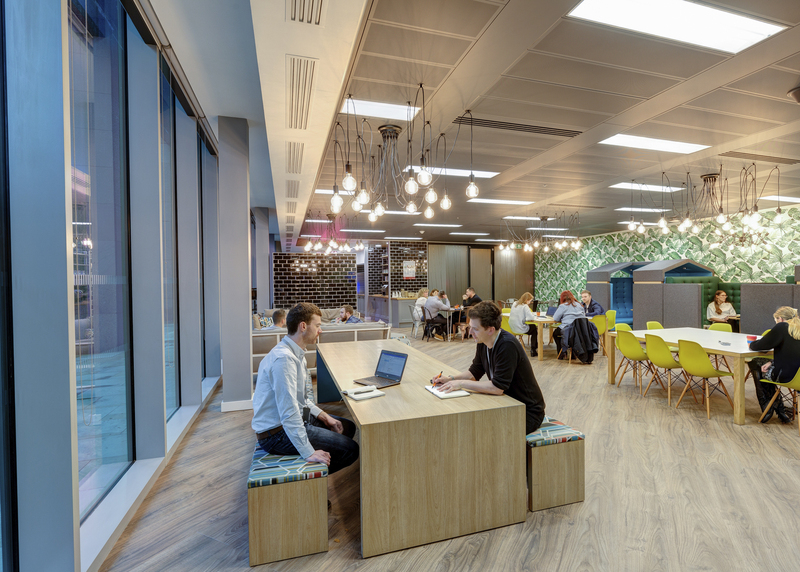 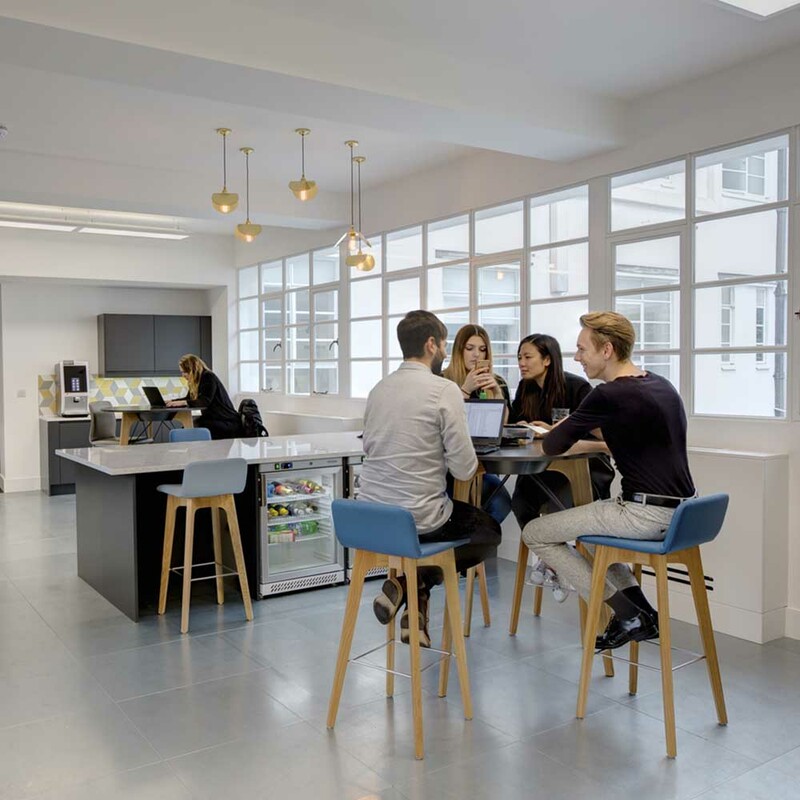 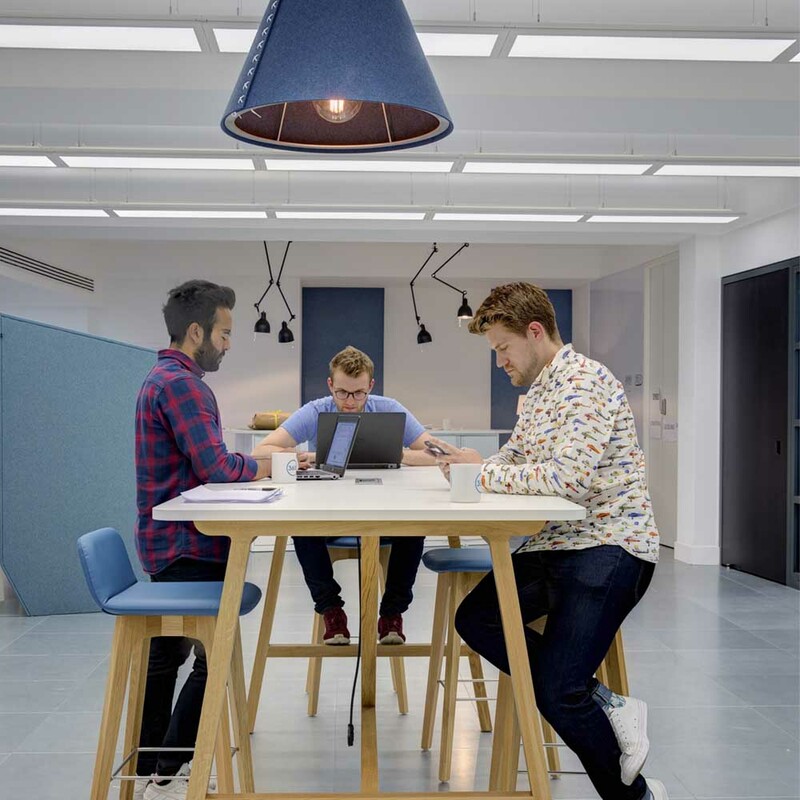 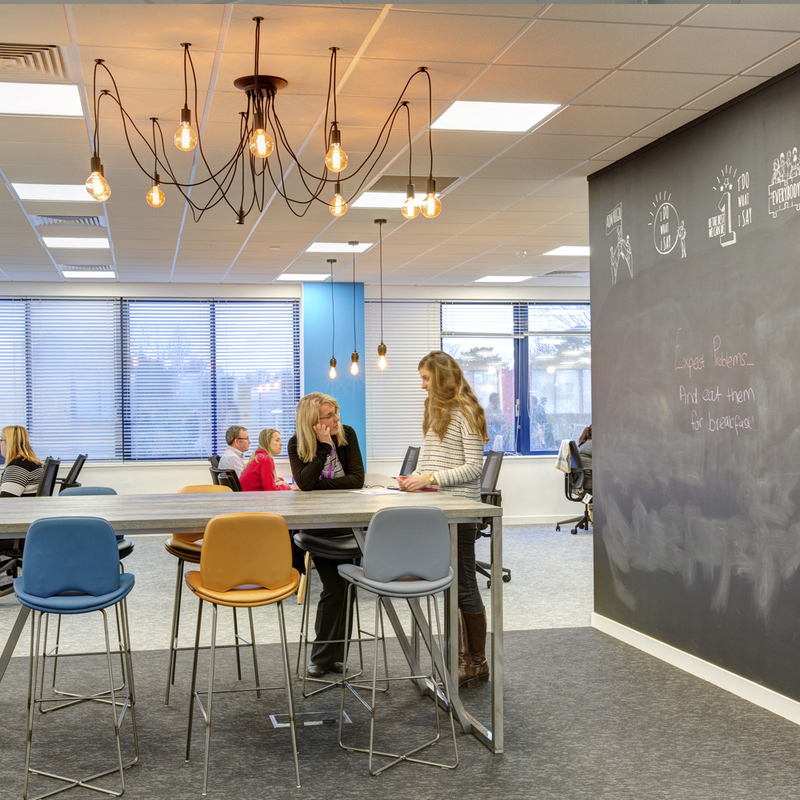 The brief was to create an agile working environment for the growing teams. 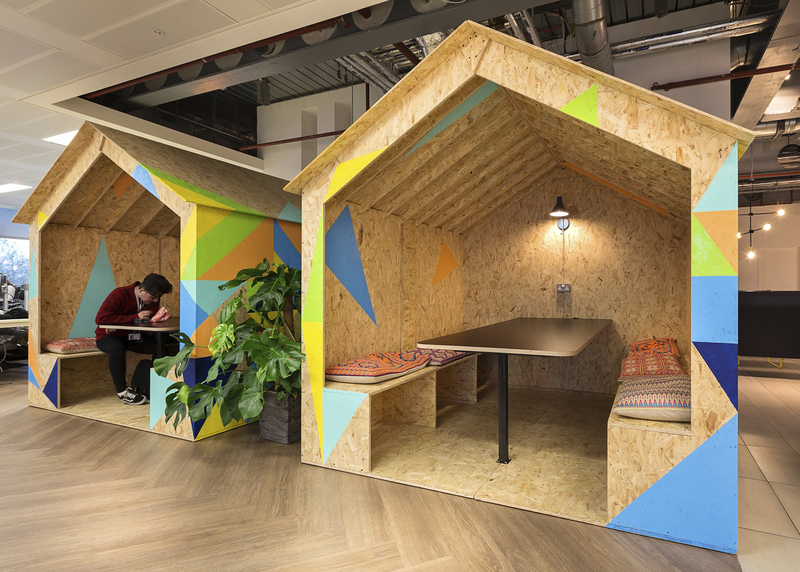 Introducing more collaborative and social spaces promote creativity and co working opportunities. 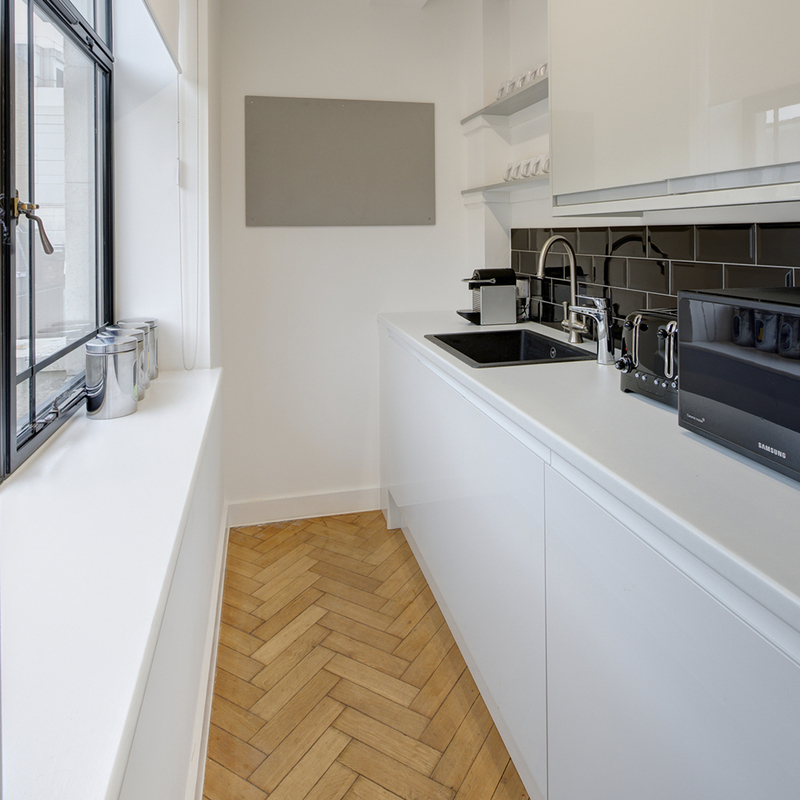 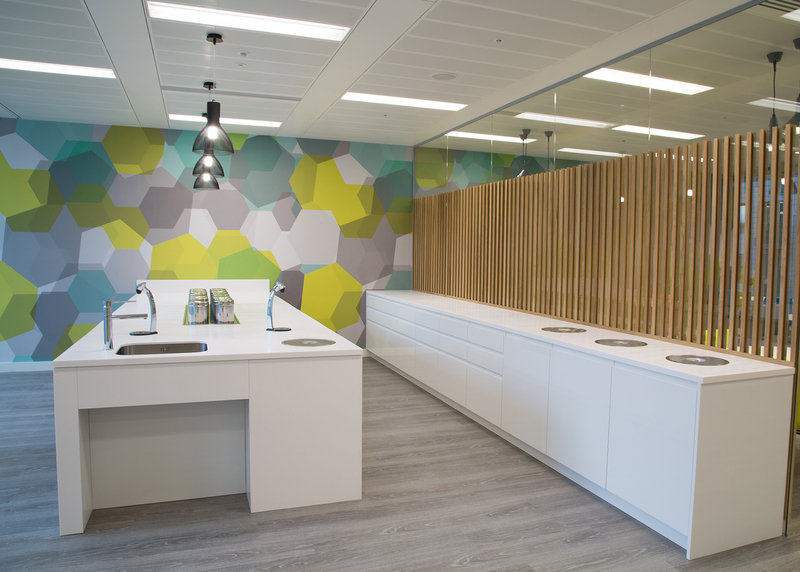 The project specification included bespoke joinery and furniture, feature flooring, walls and decorations. 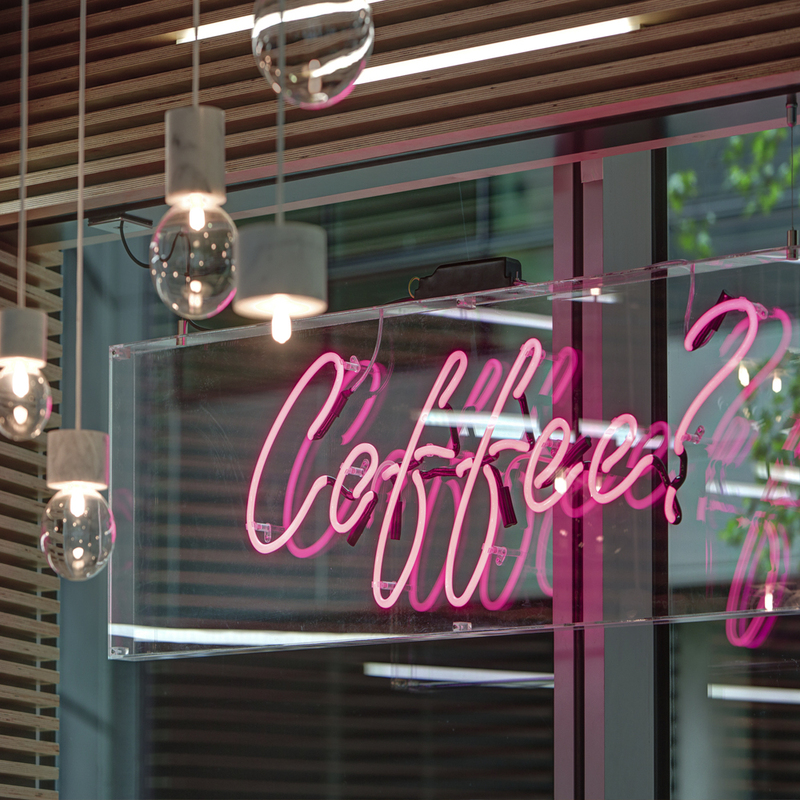 Branding, neon signage, AV and plant installations. 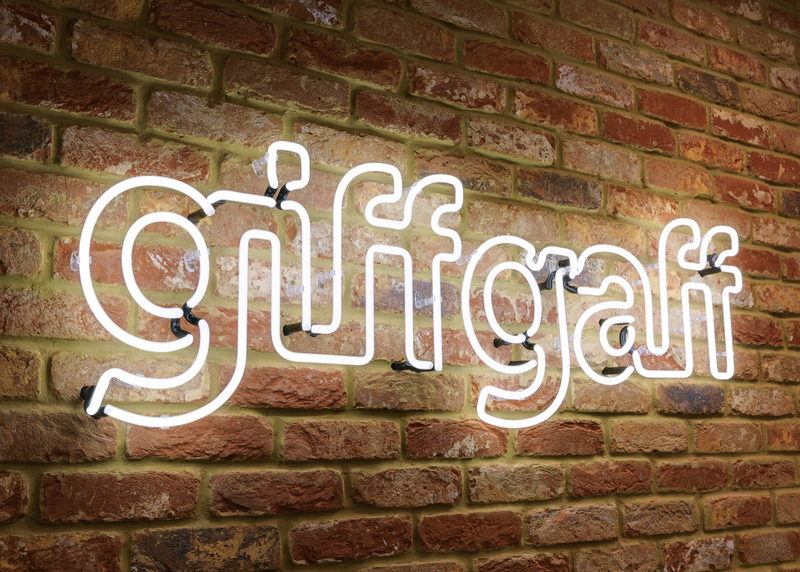 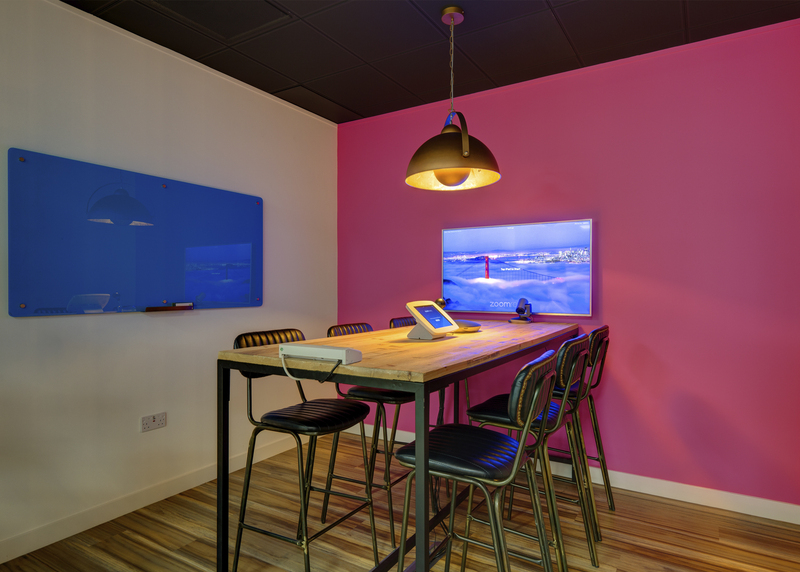 GREY have recently completed a design and build CAT B fitout for giffgaff Mobile in Belmont House Uxbridge. 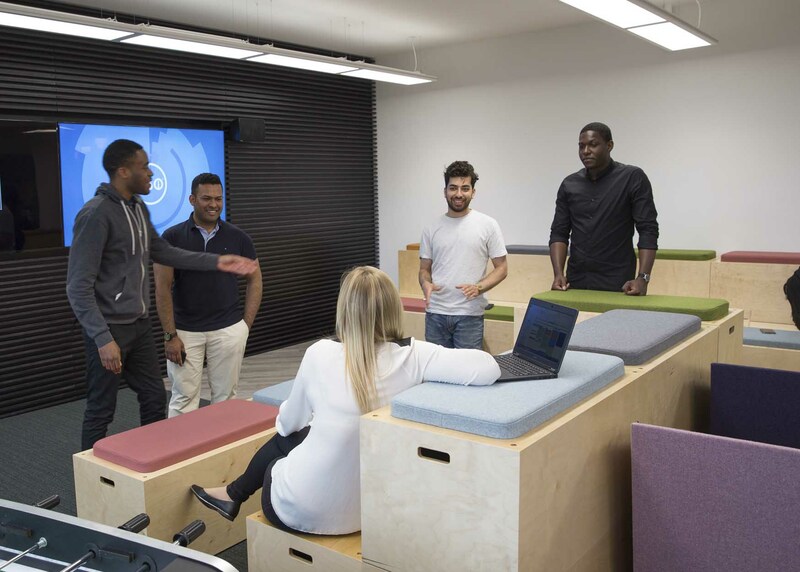 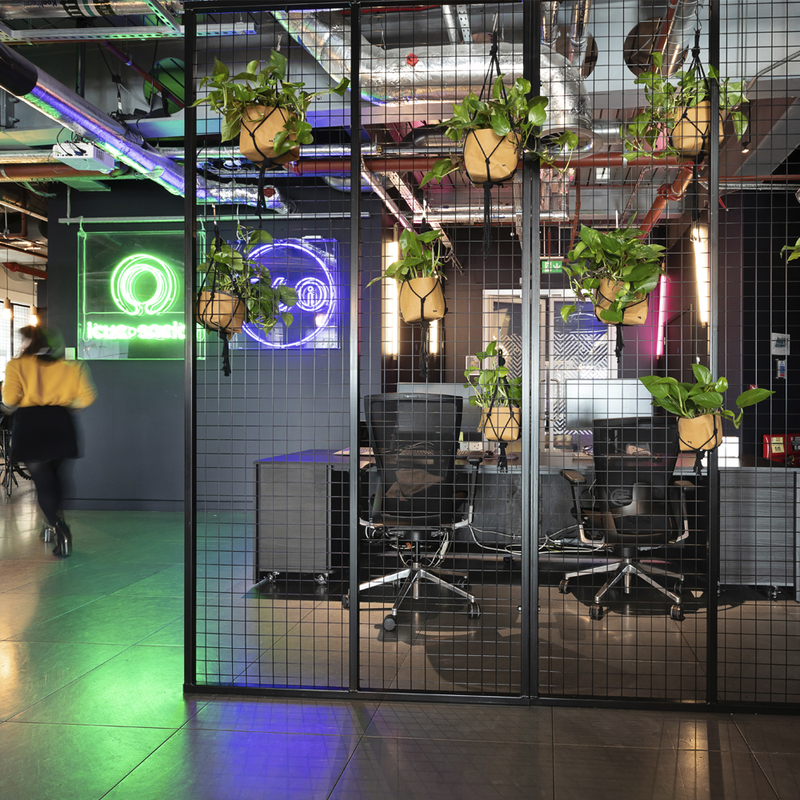 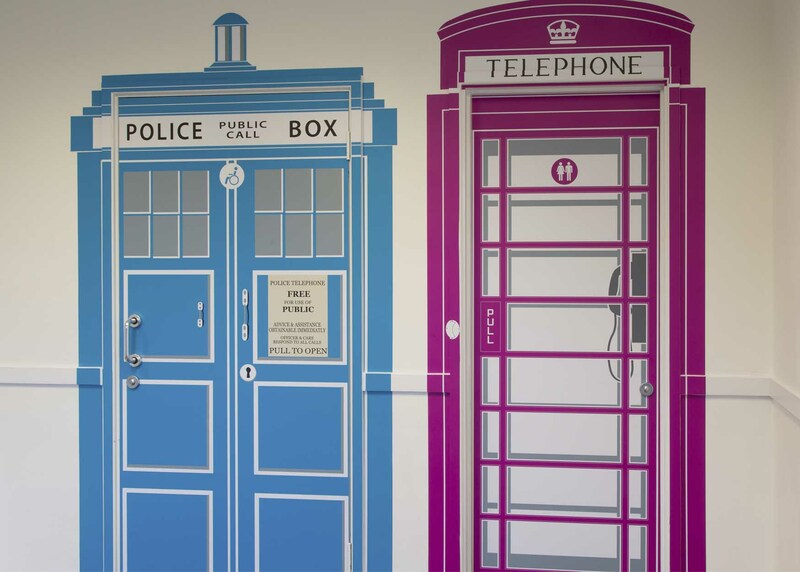 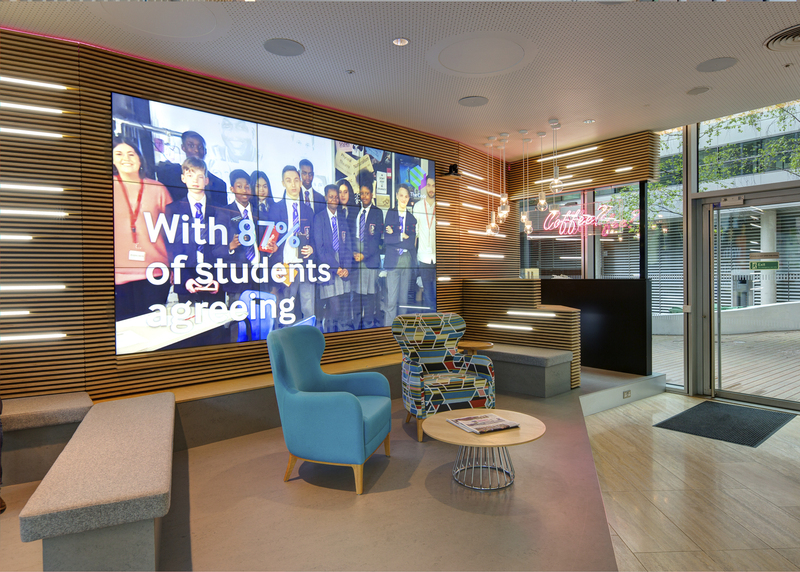 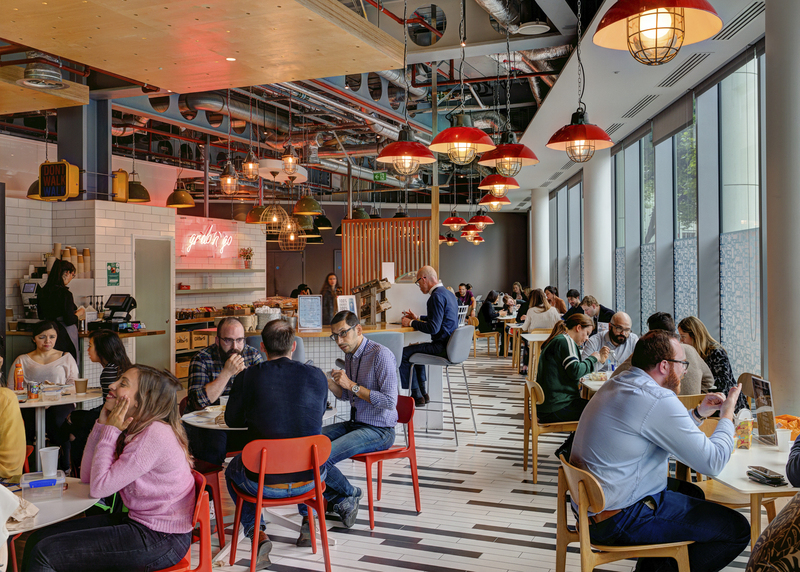 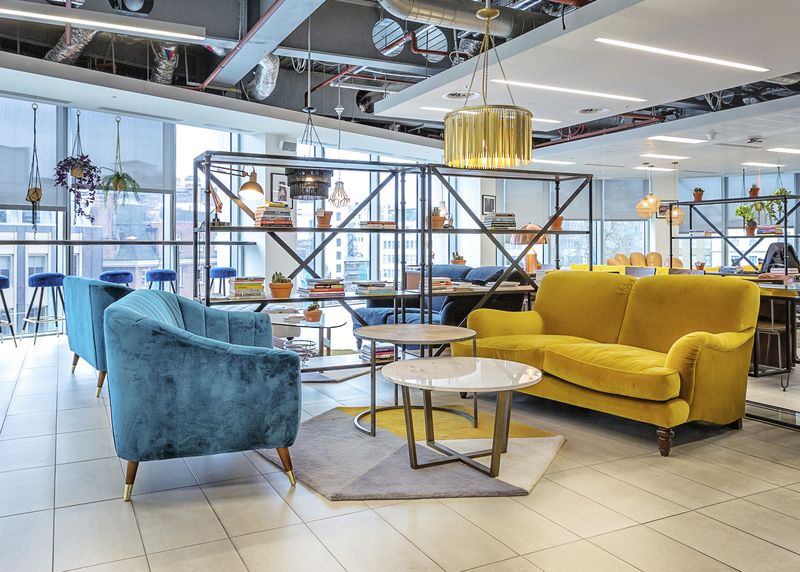 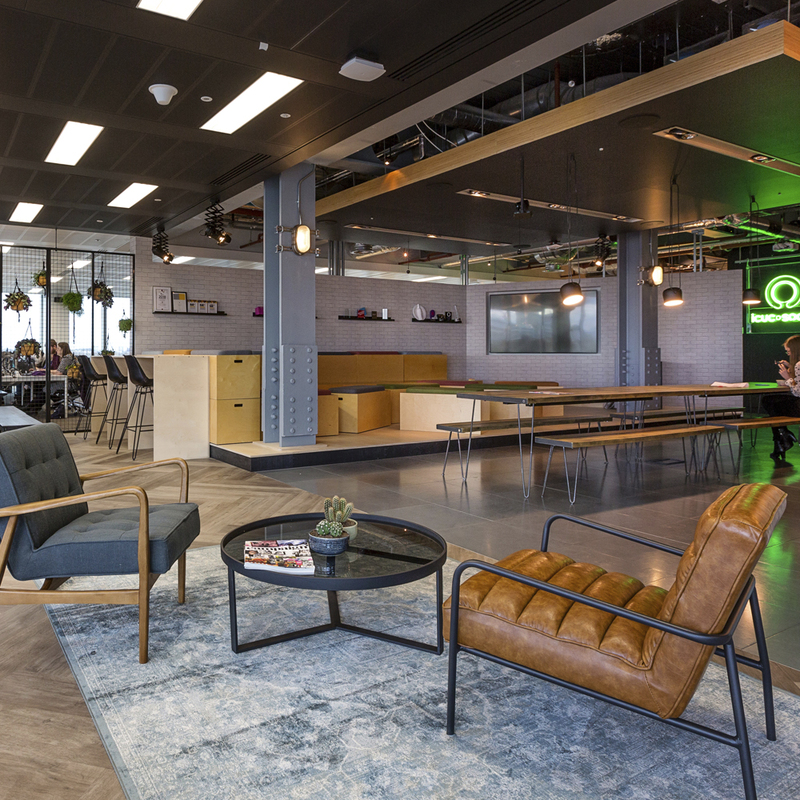 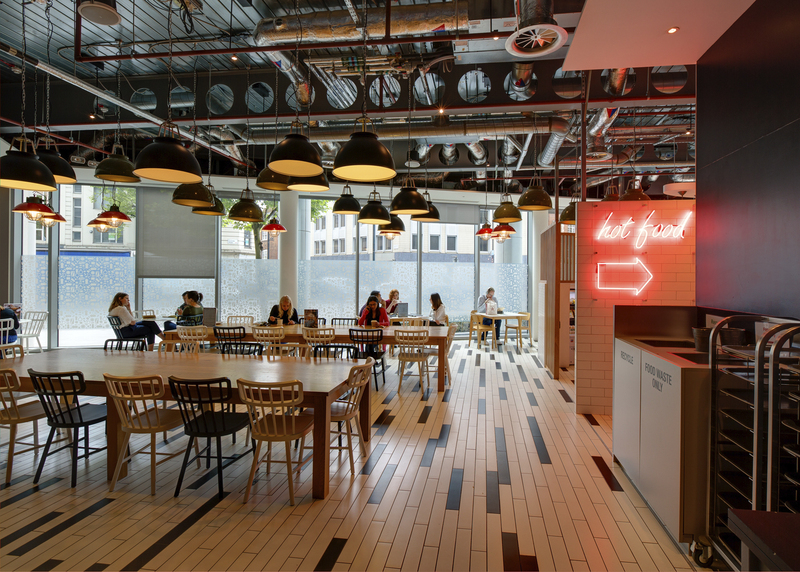 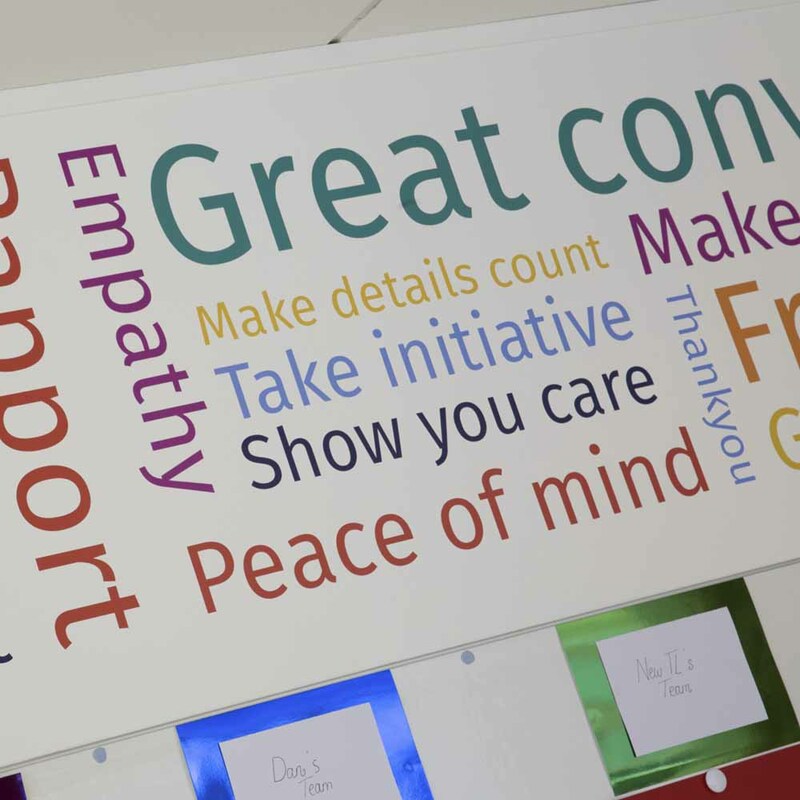 Giffgaff briefed us to create a space that was fun, energetic and engaging, that allows their teams to work: how, when and wherever they would like within the office. 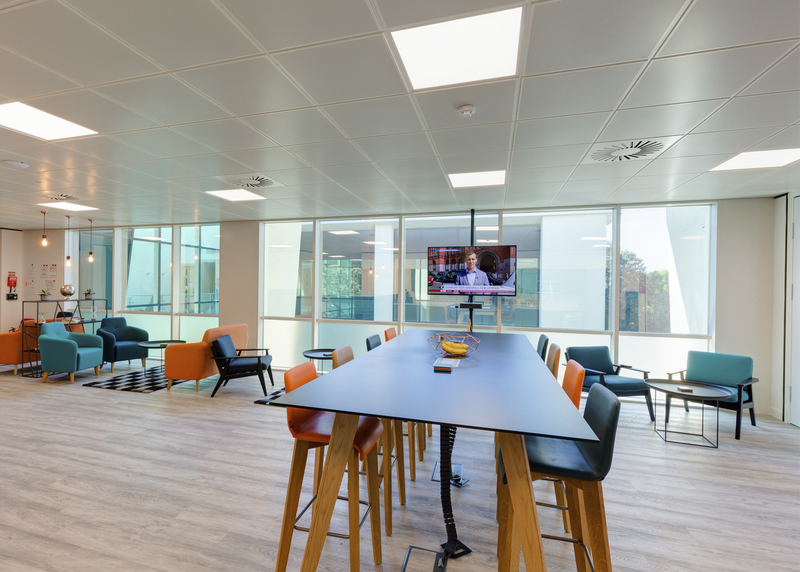 We also created a multifunctional space for the company to hold their weekly meetings for 250 employees, hold indoor cinema nights and for the team to use as a collaboration zone. 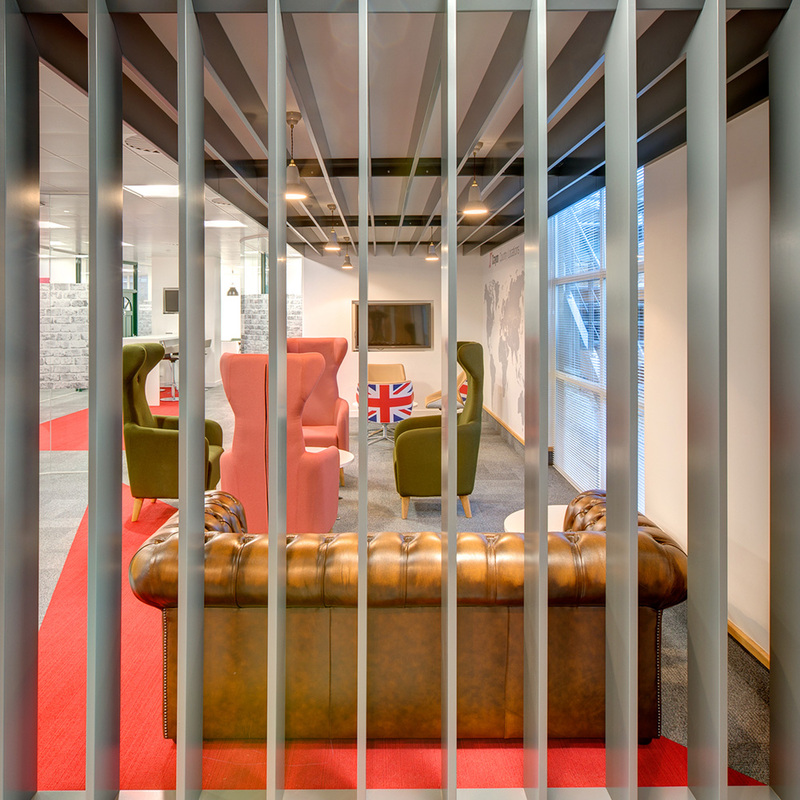 We called this Gaffers Park, complete with bespoke amphitheatre seating, fence panels and a massive AV and sound system to match. 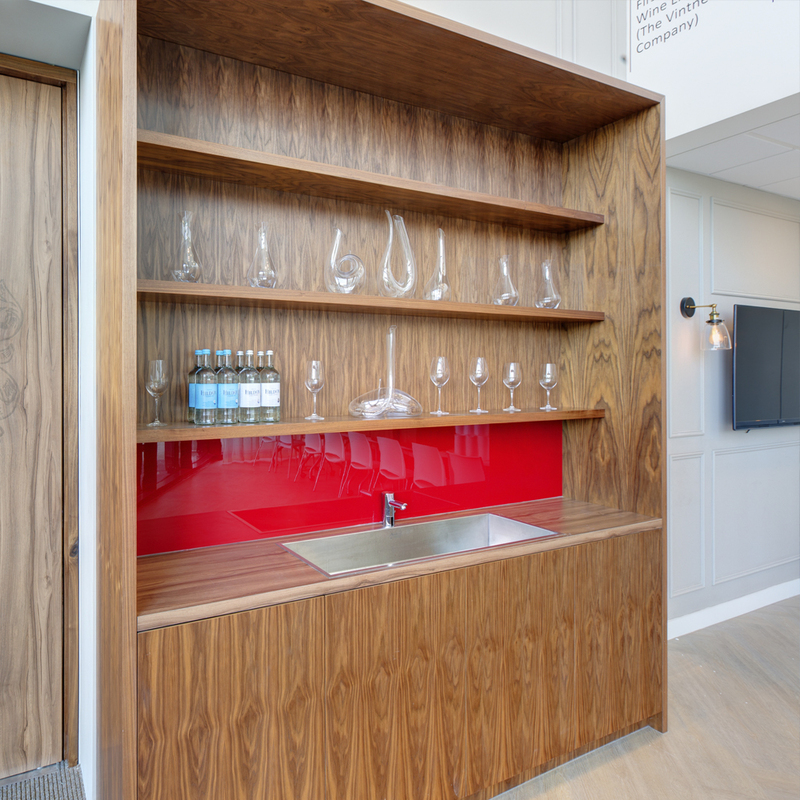 Design details also included: feature flooring to navigate you around the space, crittal windows to meeting rooms, novelty door knockers to meeting room doors, a 9000mm long solid surface worktop to the mirrored tea-point to make sure there was enough room for pizza delivery! 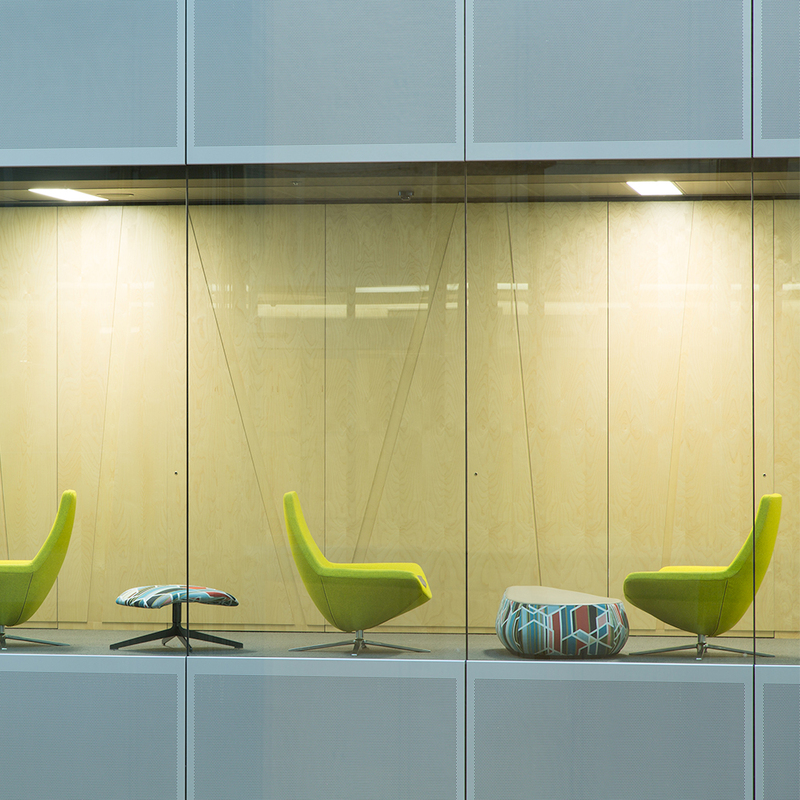 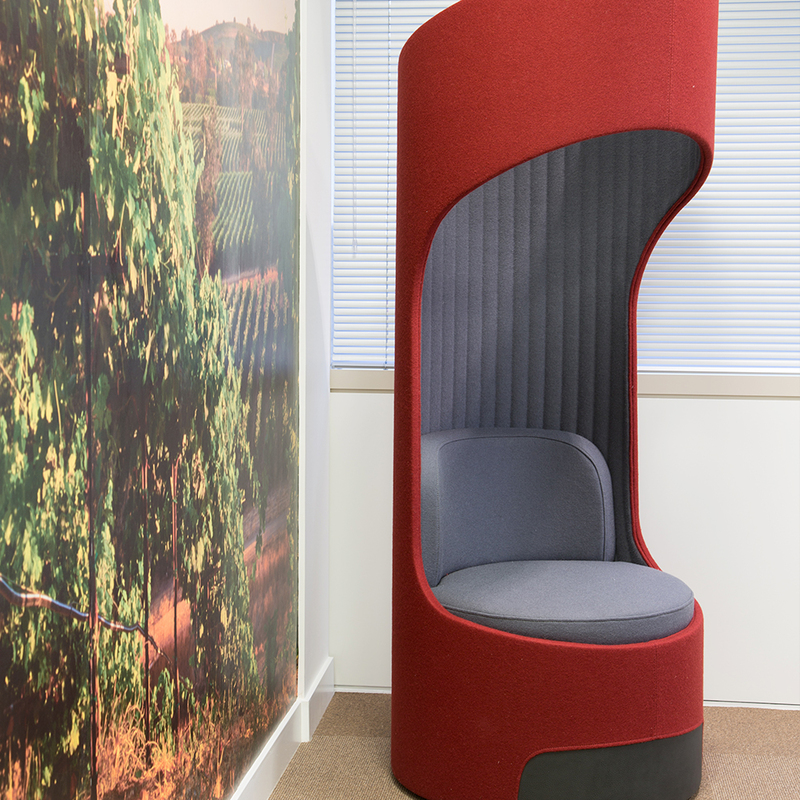 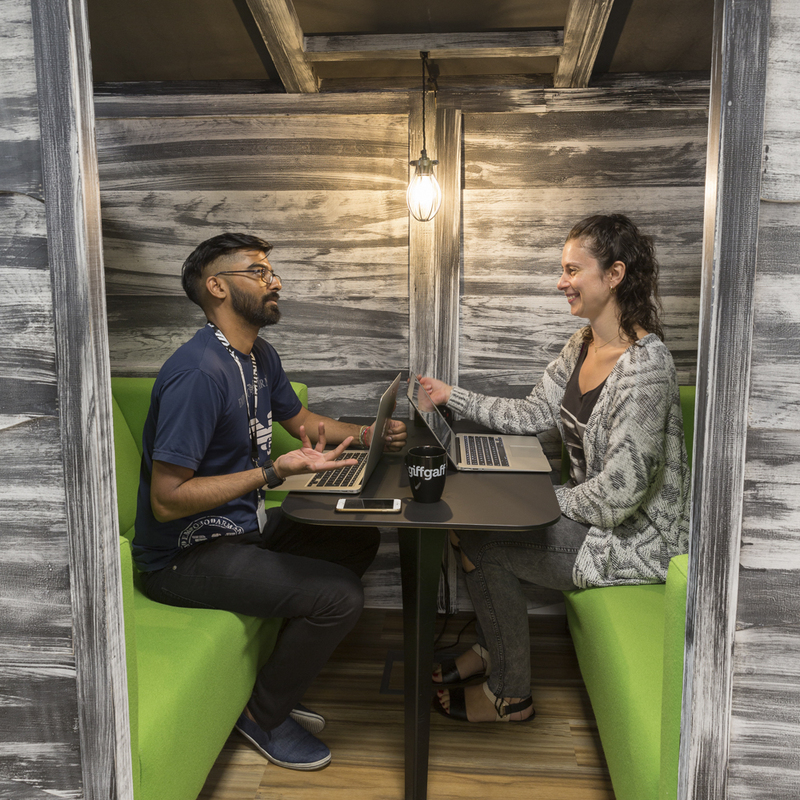 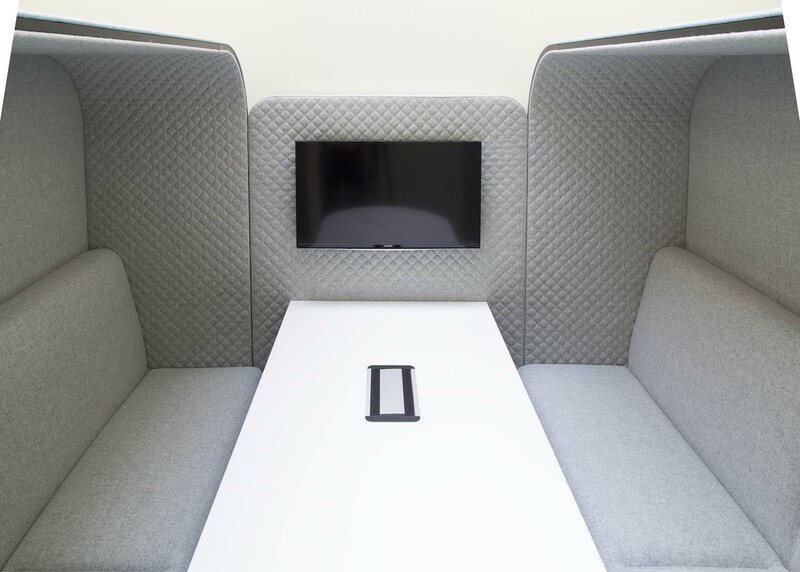 Cubbi booths and a meditation room where also incorporated within the meeting room suite. 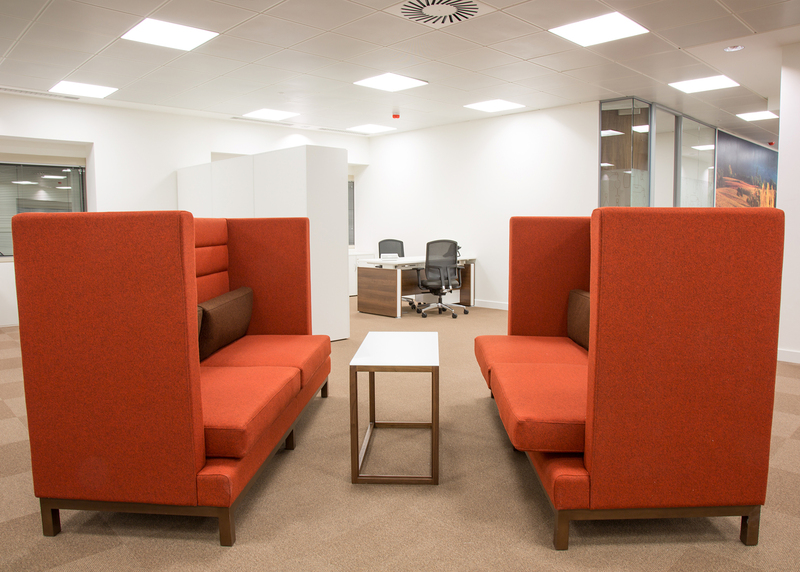 Existing furniture items where designed into the scheme with new furniture to complement and enhance the working experience. 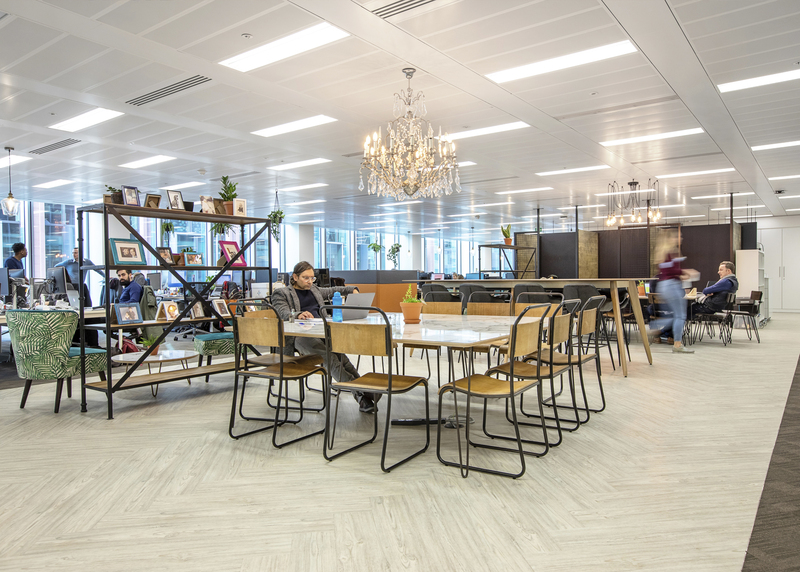 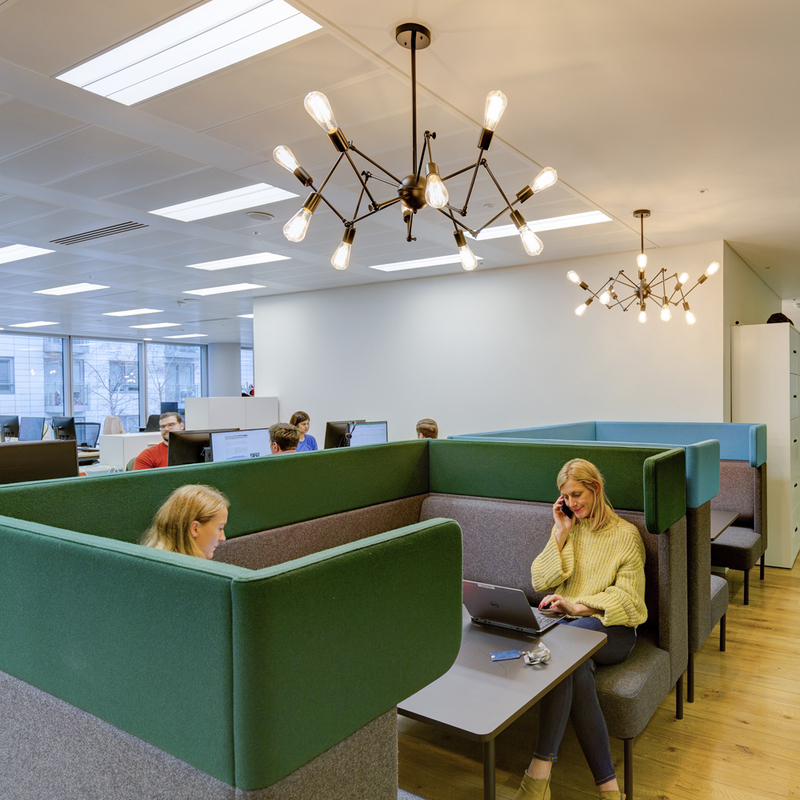 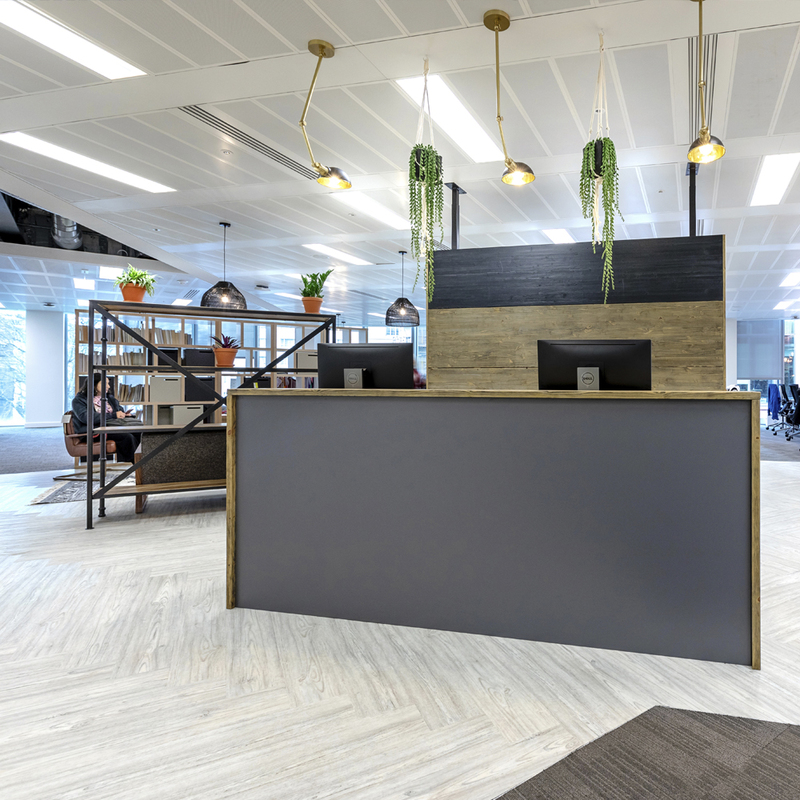 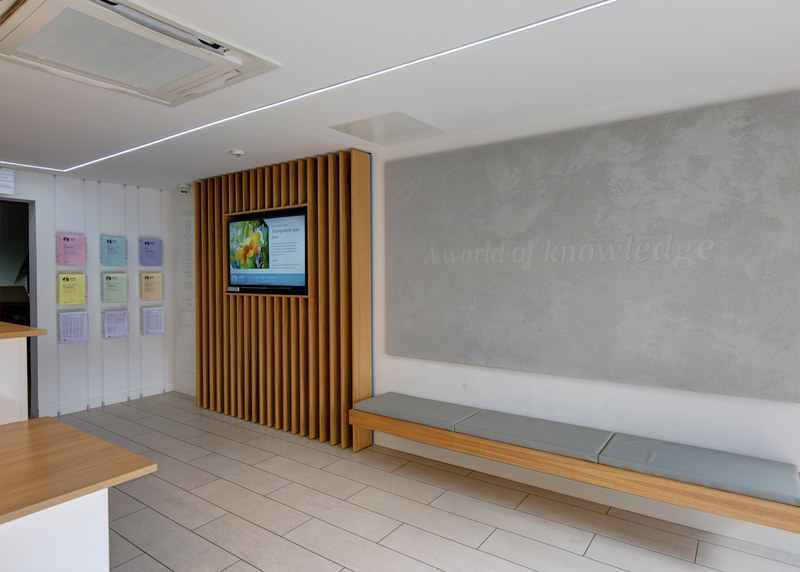 GREY also delivered within the design specification bespoke joinery, corporate branding, feature lighting , feature flooring power/data infrastructure and move management. 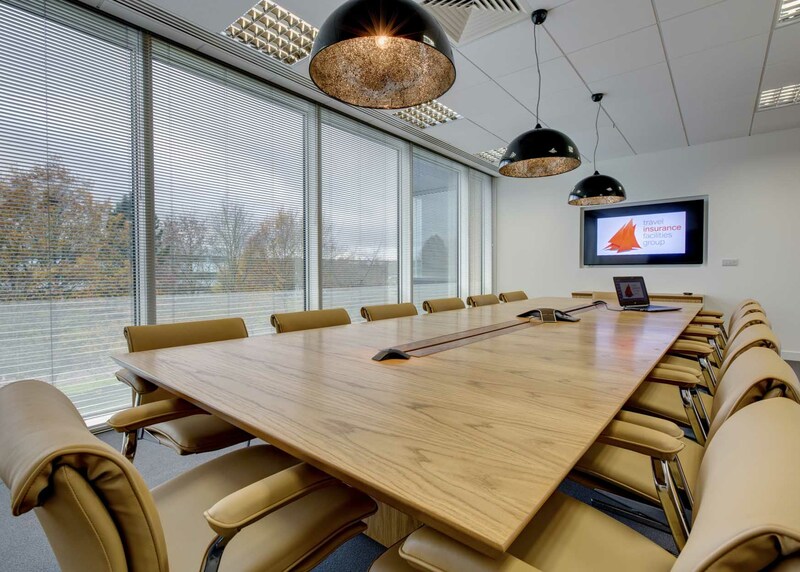 Seven Capital appointed Grey interiors to deliver the CAT A refurbishment of building 2 within their Meadows Business Park Scheme in Camberley. 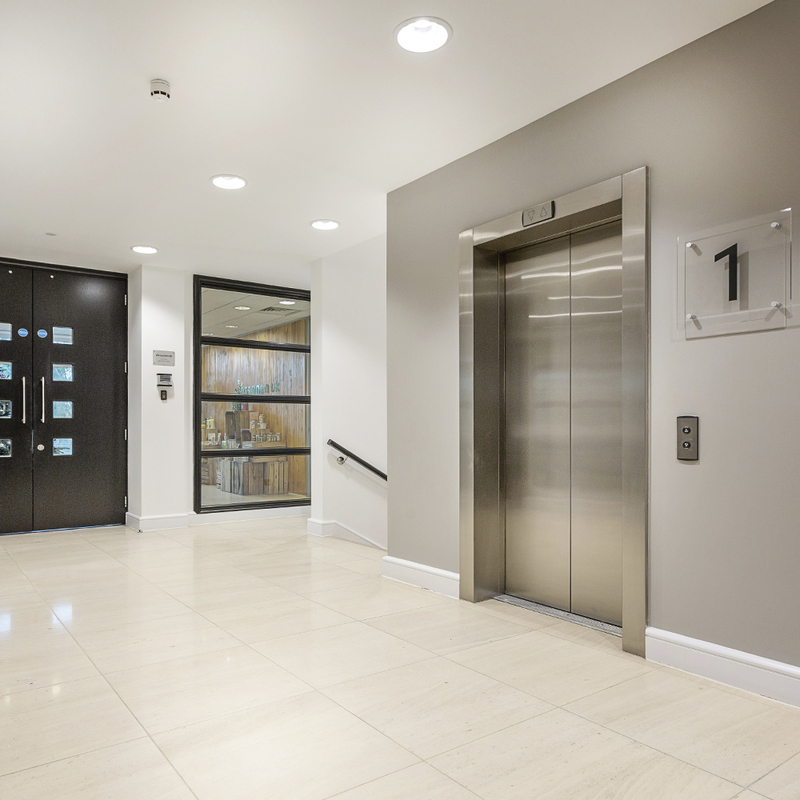 The project specification included feature bespoke joinery and furniture, feature flooring, feature walls and decorations, lift refurbishment, toilet refurbishment, mechanical and electrical repairs and overhaul. 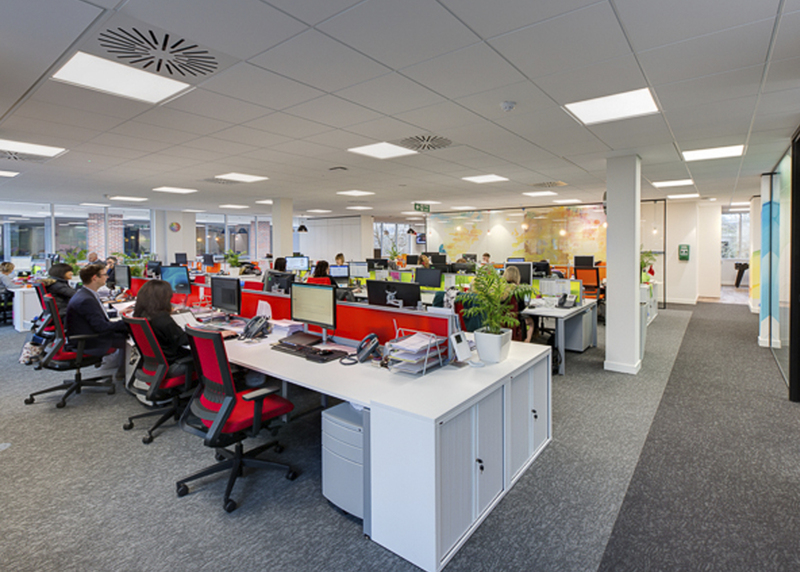 Grey have recently completed the fit out of Tempcover’s new HQ in Fleet. 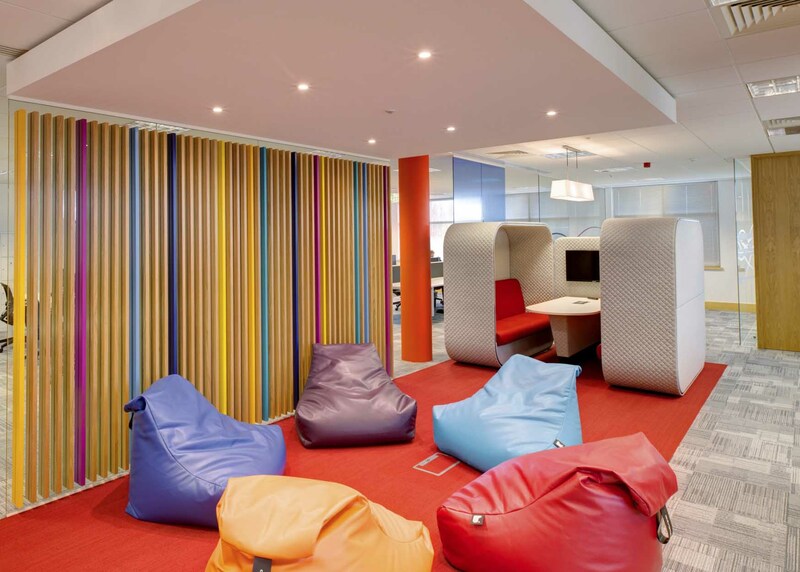 Our brief was to create a space which was inviting, fun and vibrant. 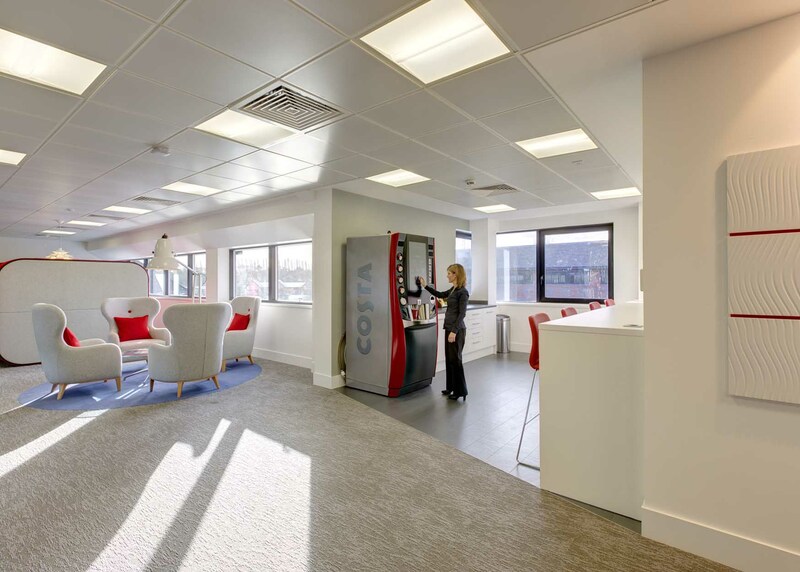 The space needed to include internal offices, meeting rooms and a large collaborative tea point. 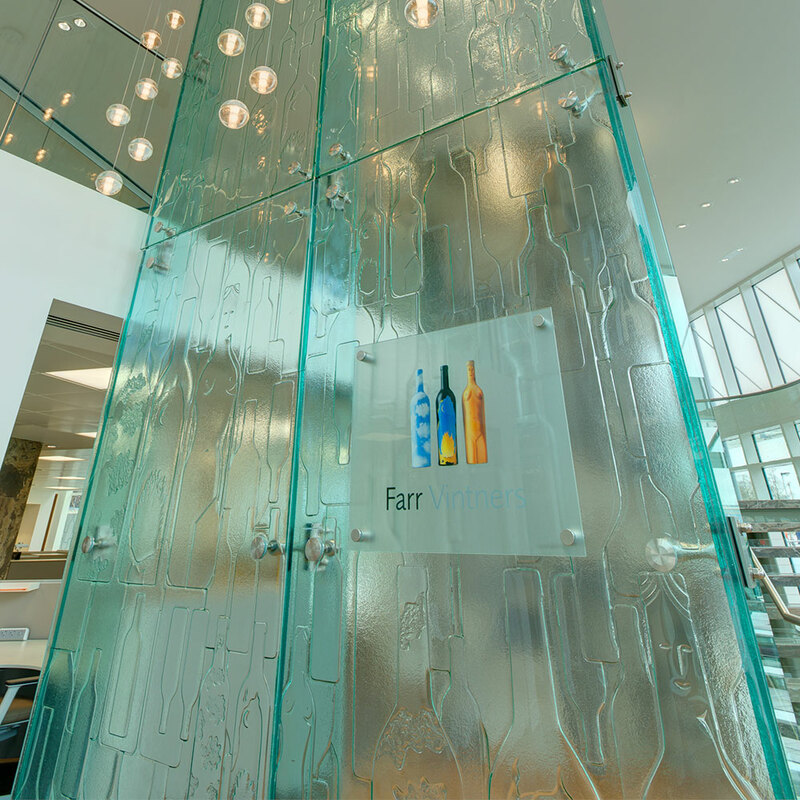 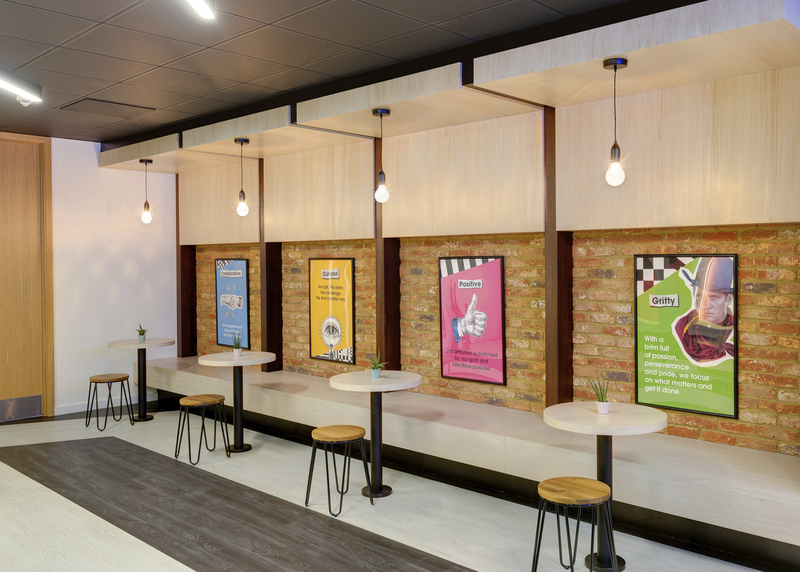 The design details include feature flooring, brand signage and bold graphics. 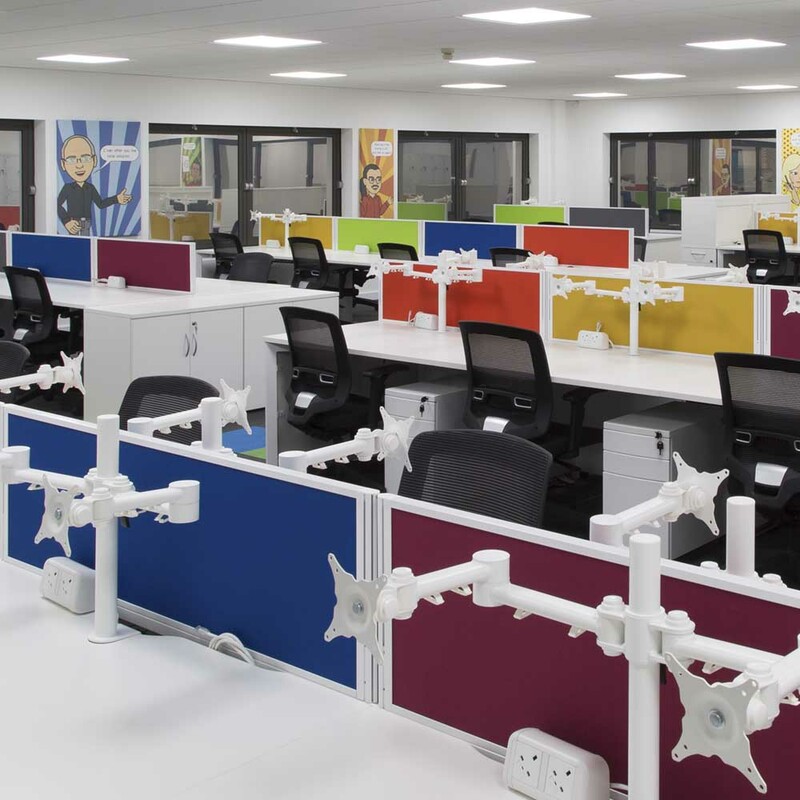 Grey also provided Tempcover with full AV supply, power and data infrastructure, furniture supply and move management. 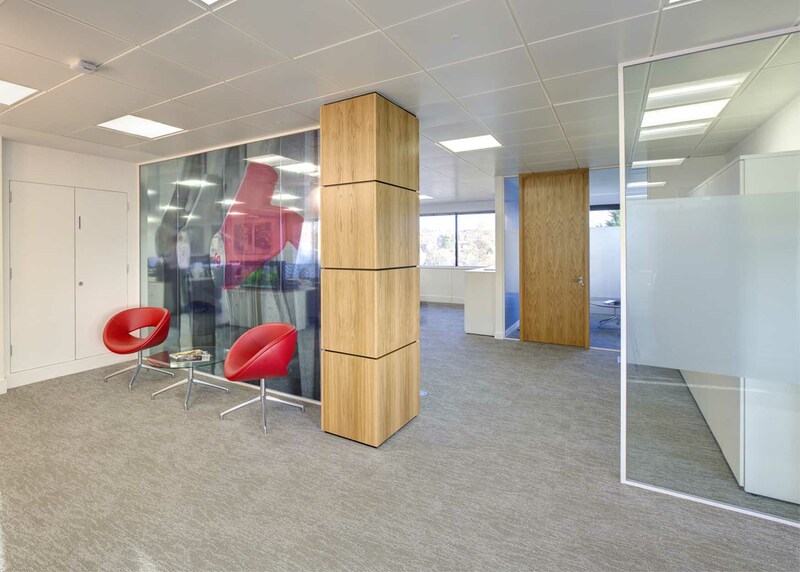 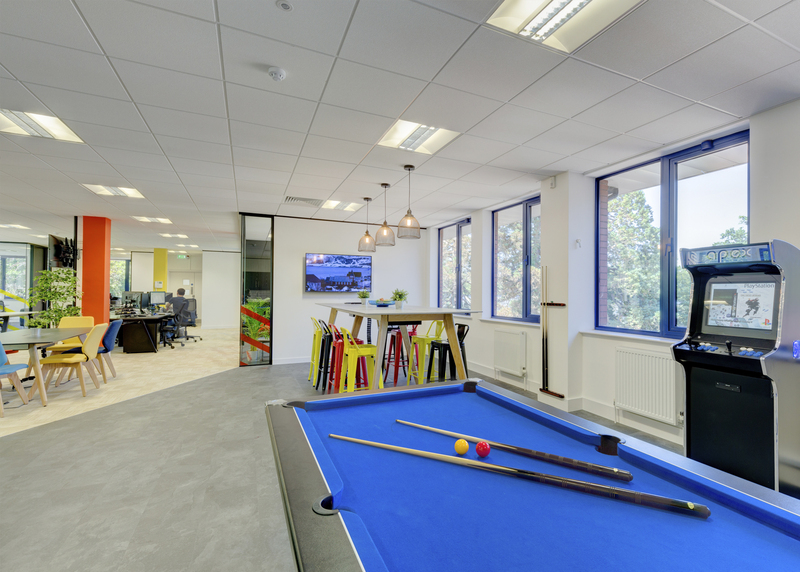 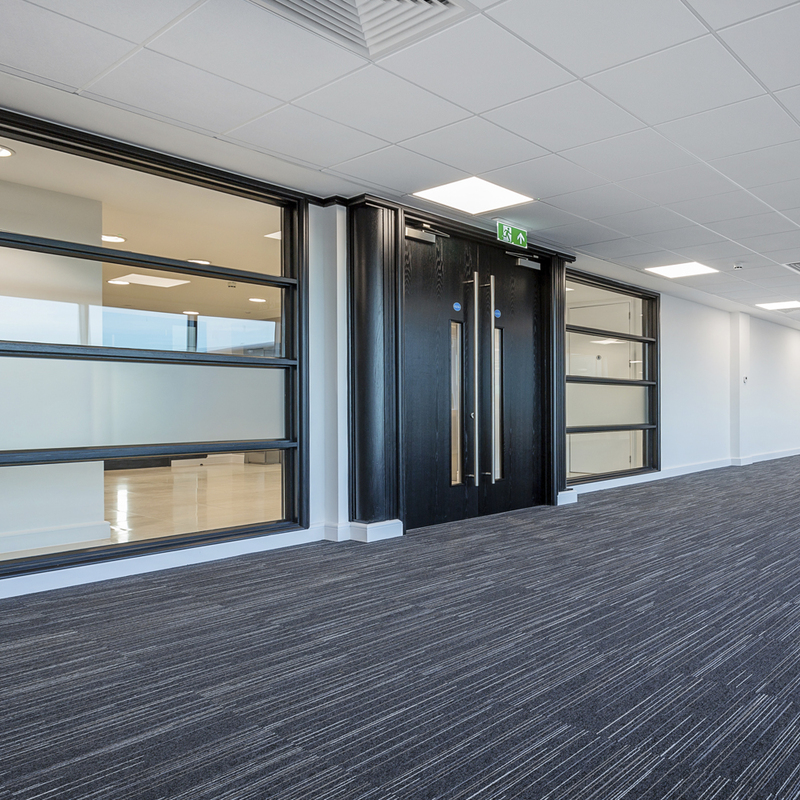 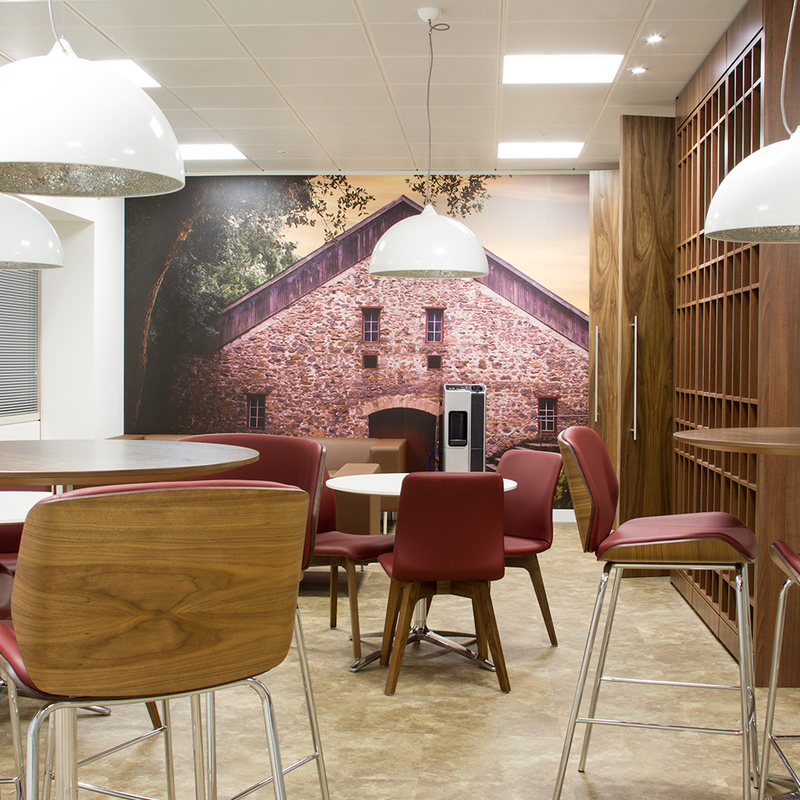 Grey has recently completed the fit out of Whiteoaks International’s new HQ in Hook. 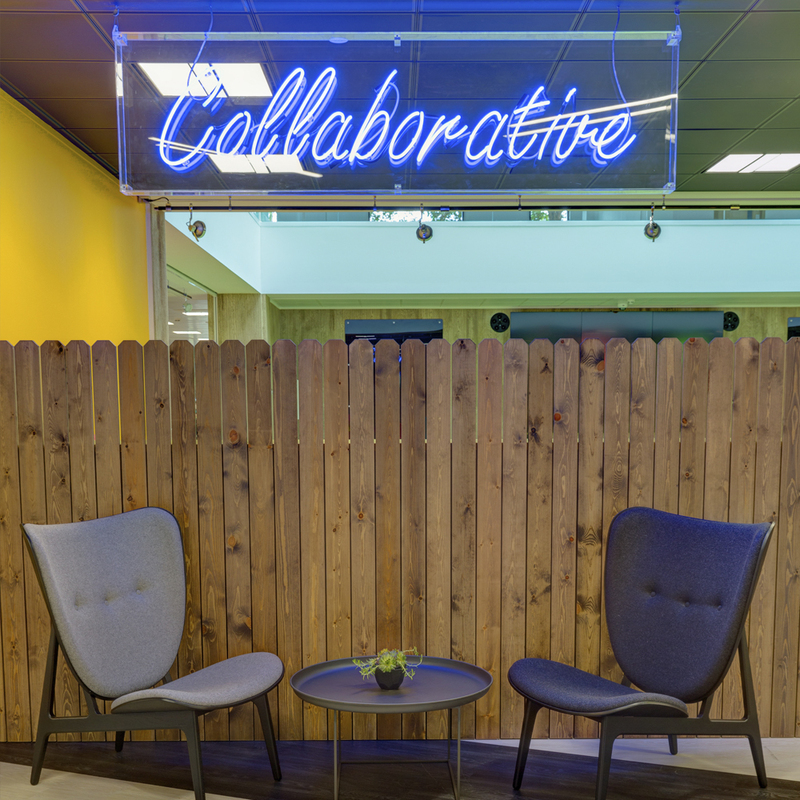 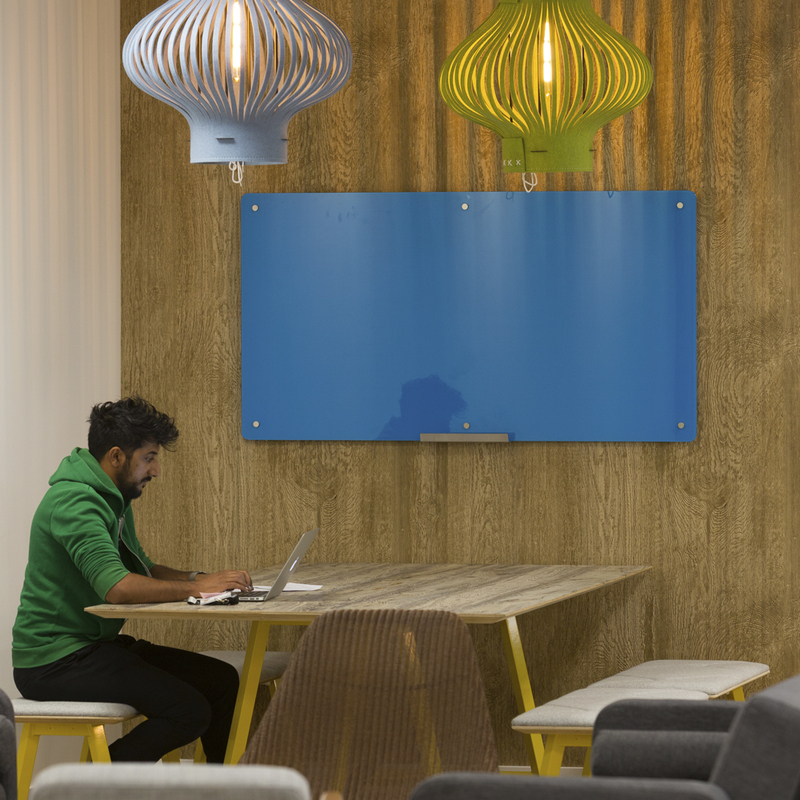 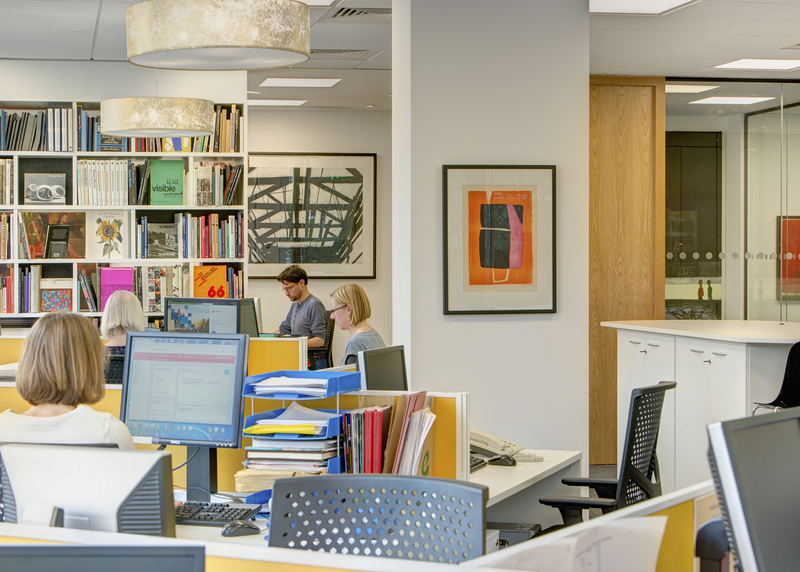 Our brief was to create a collaborative, flexible and inspiring space to work. 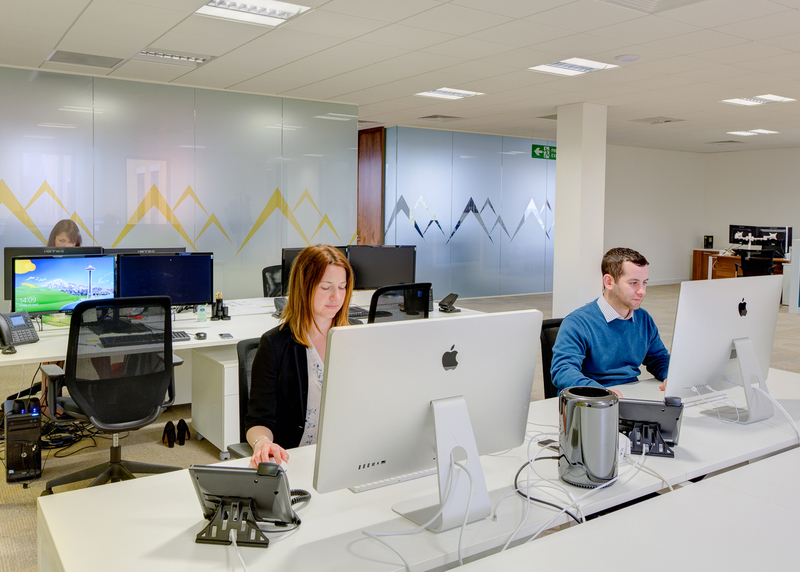 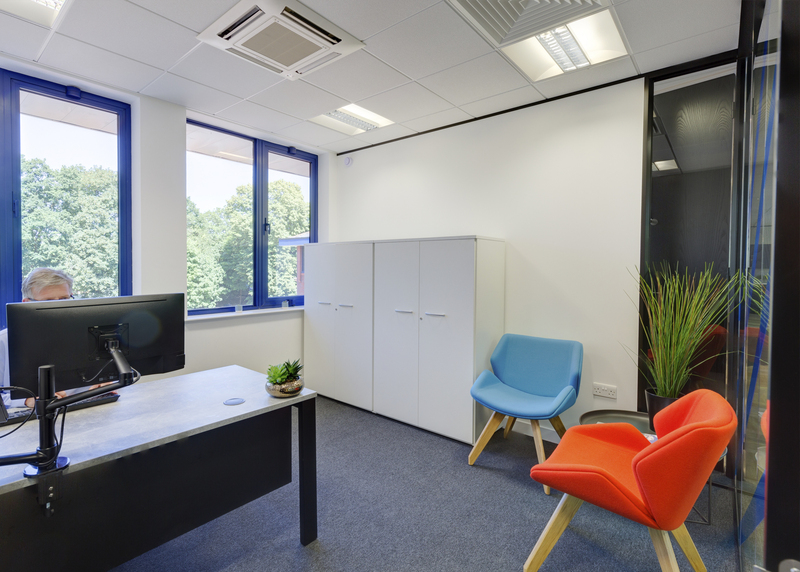 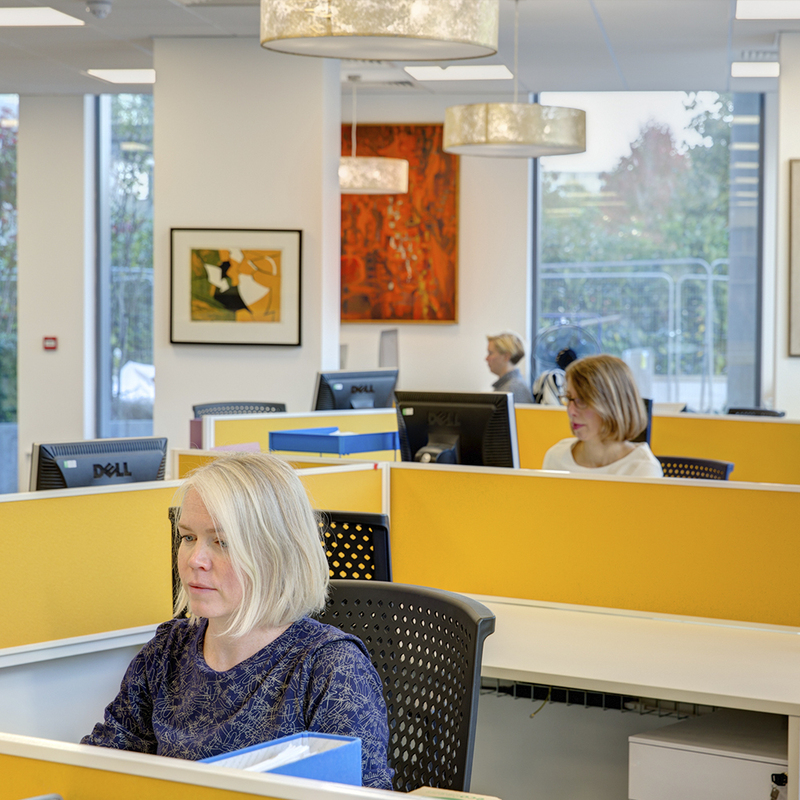 The relocation of Whiteoaks’ office from Farnham to Hook meant the space had to have maximum flexibility with minimum constraints. 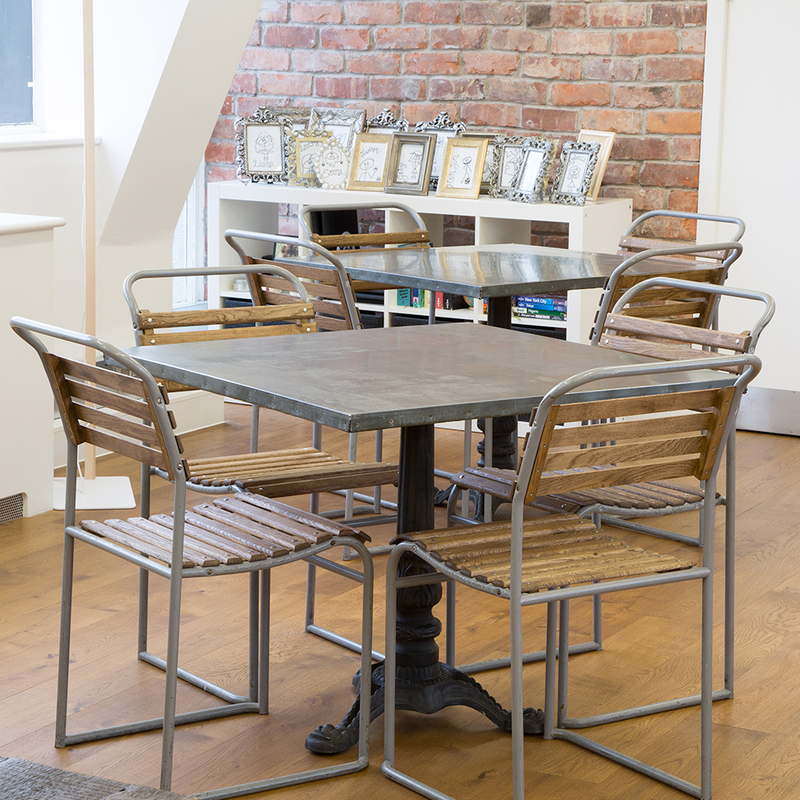 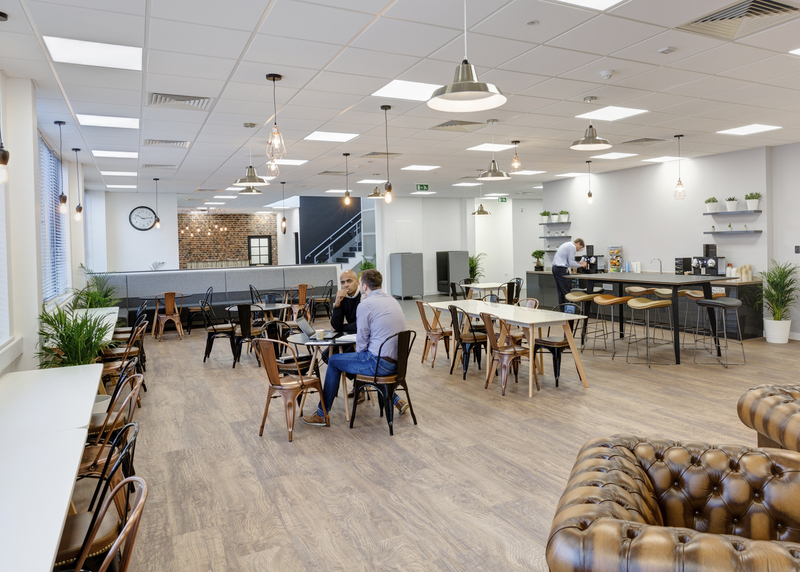 The space needed to be adaptable and work hard for the Whiteoaks team, whether that be formal meetings, team lunches, after-work drinks or corporate events. 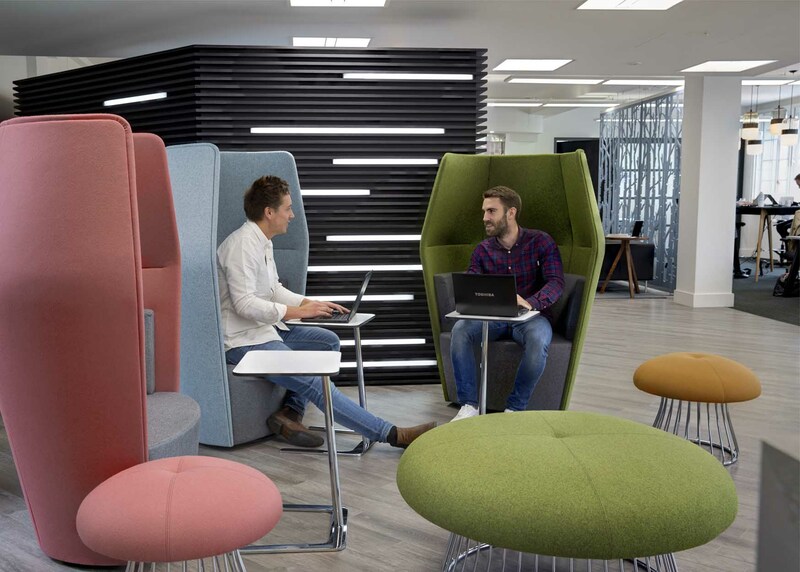 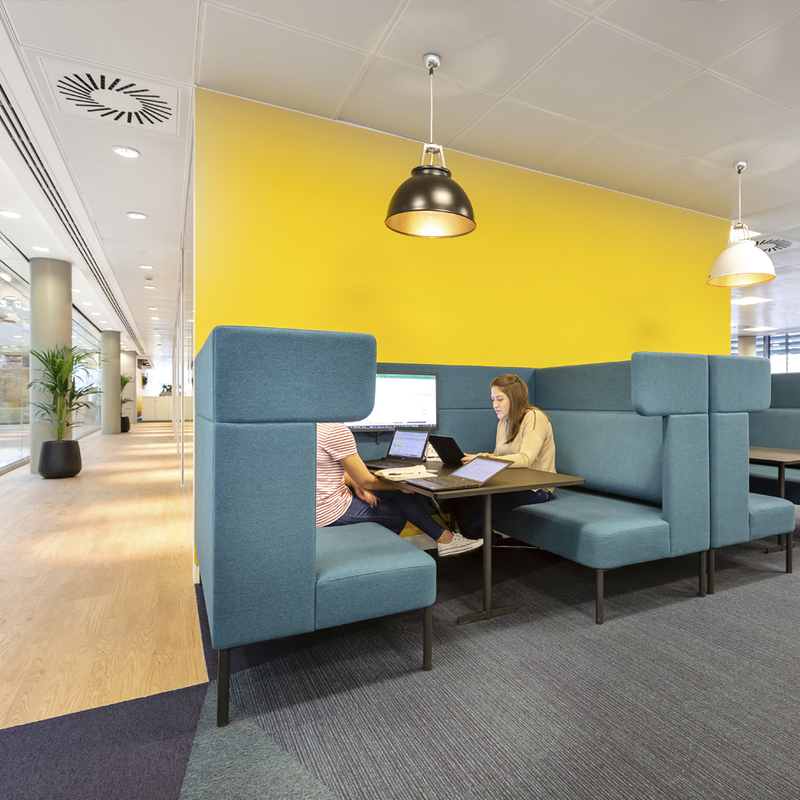 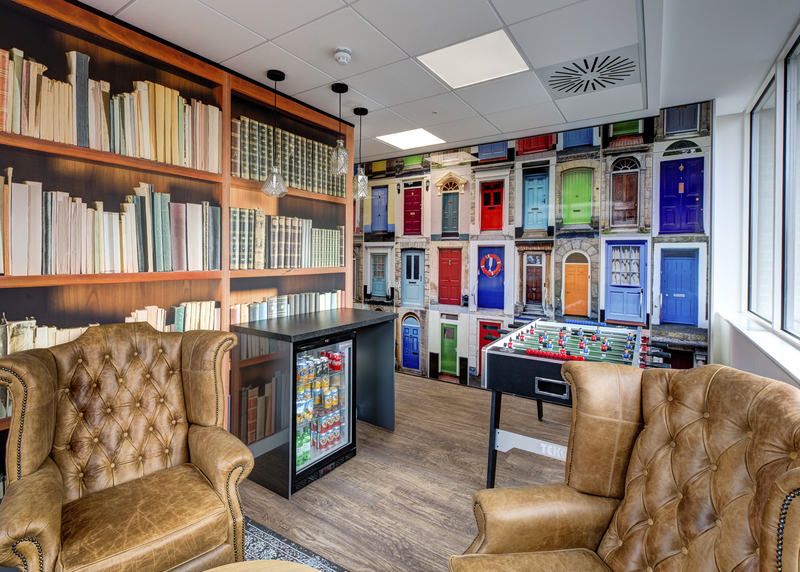 We did this by introducing a feature folding wall, agile working booths, internal meeting rooms and an open and collaborative break out area, which creates a front of house feel. 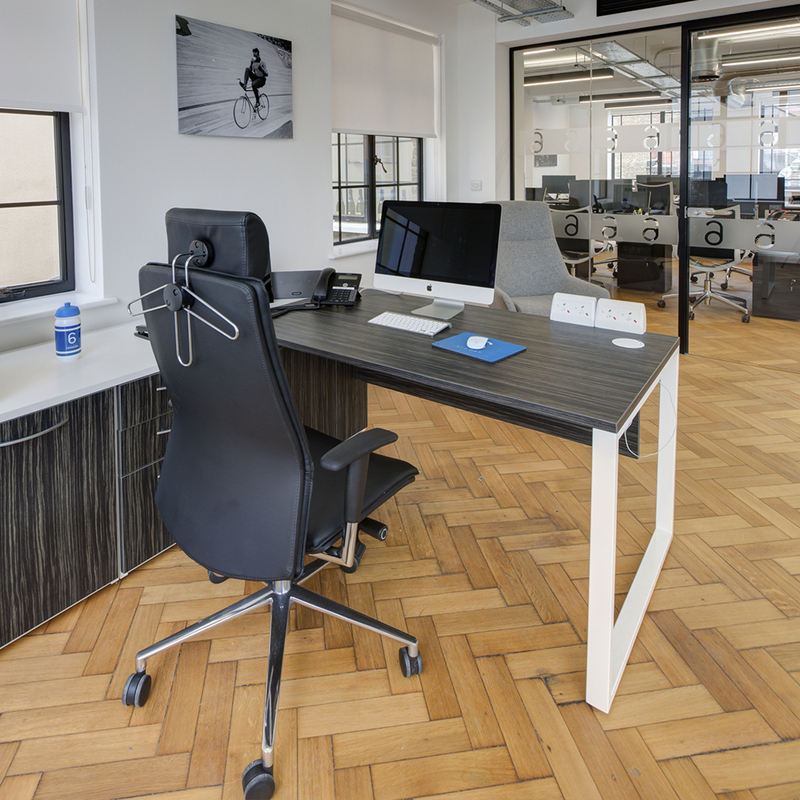 The design details include feature flooring, bold brand colours, hints of copper and desks with feature finishes such as rust, slate and concrete. 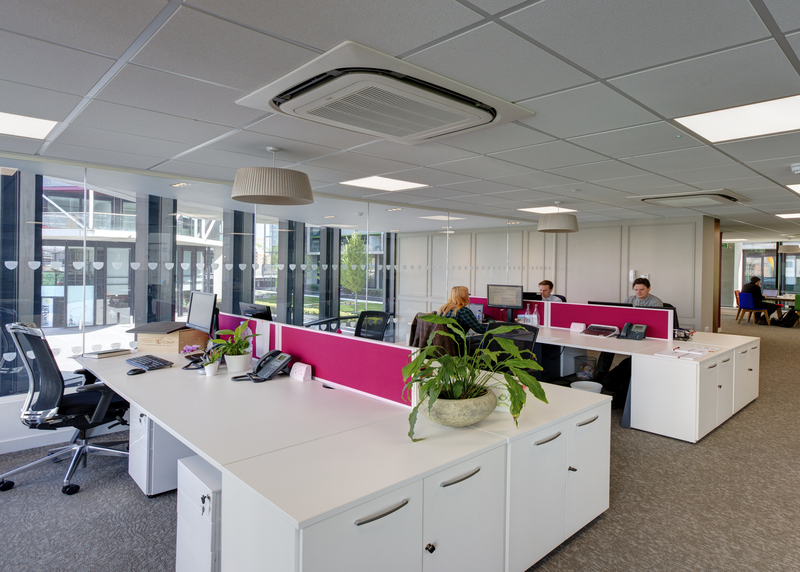 Grey also provided Whiteoaks with full AV supply, power and data infrastructure, furniture supply and move management. 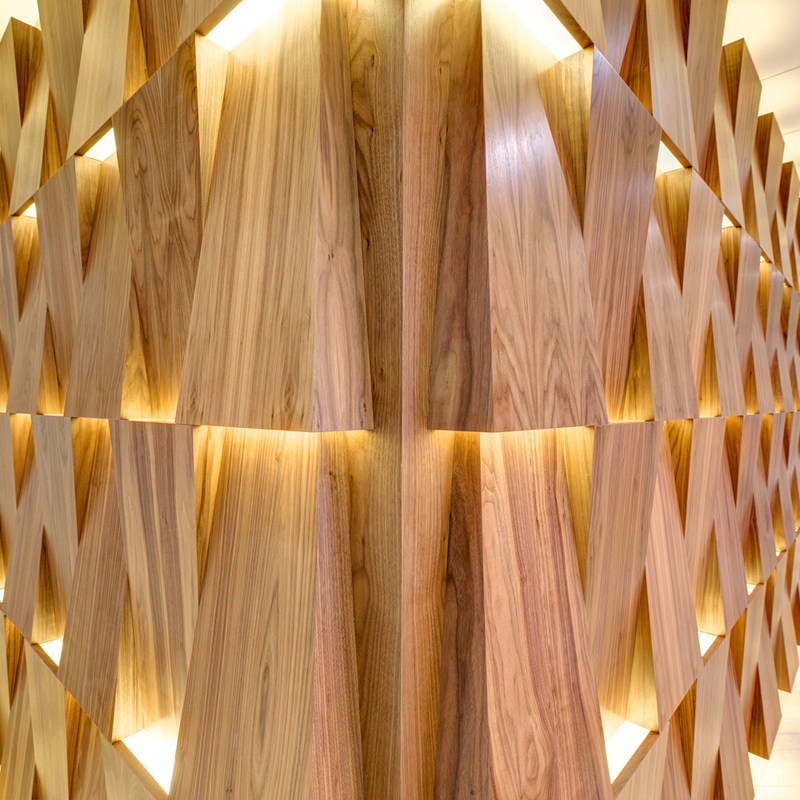 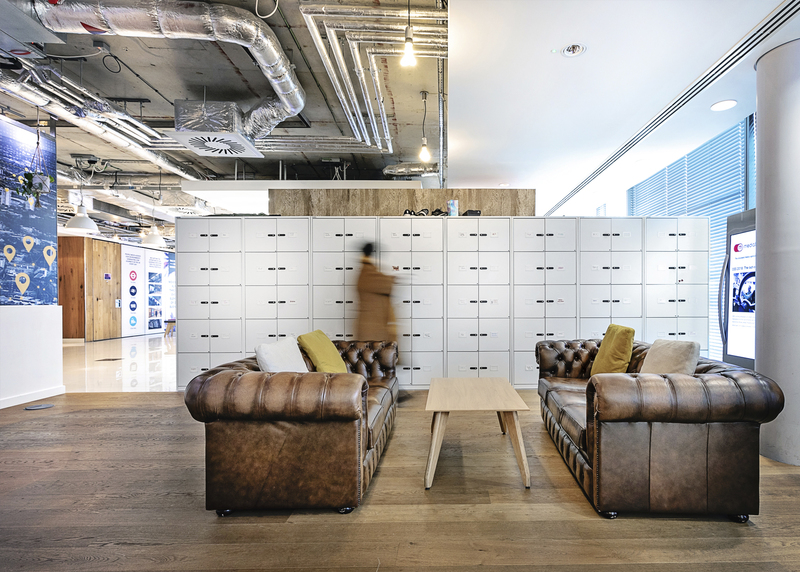 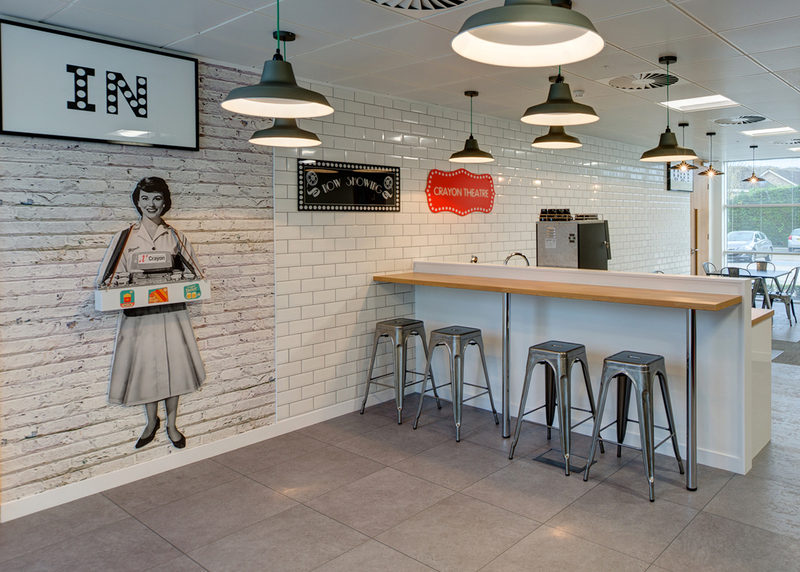 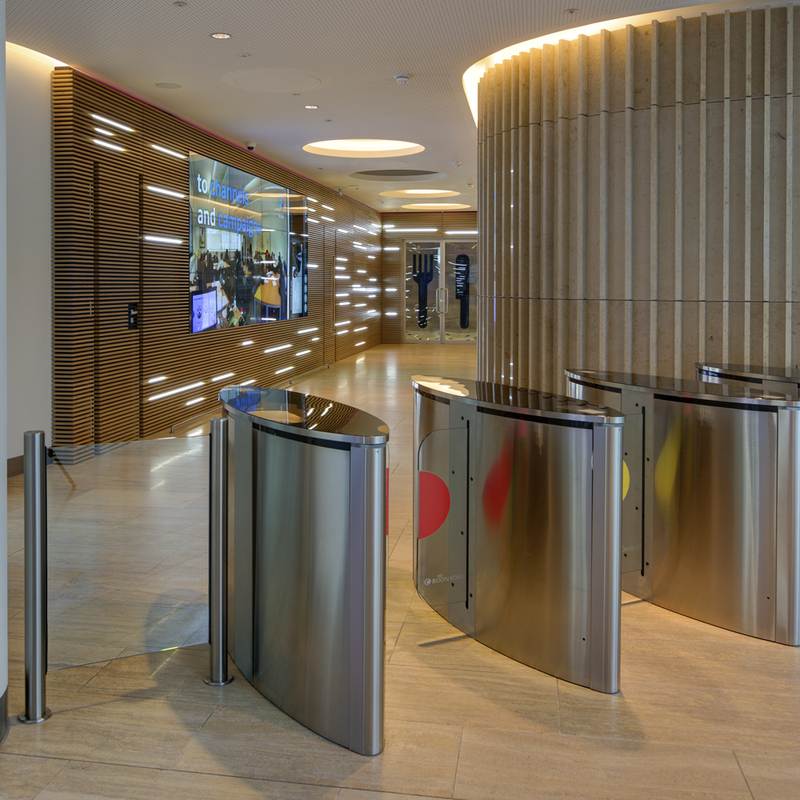 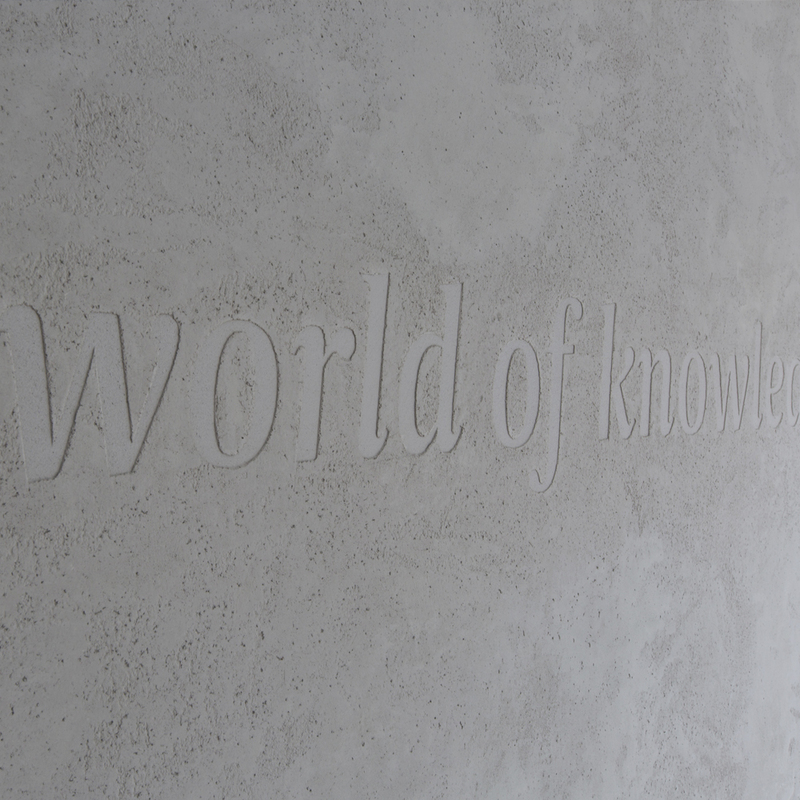 Grey have recently completed the transformation of Dentsu Aegis Media global London office. 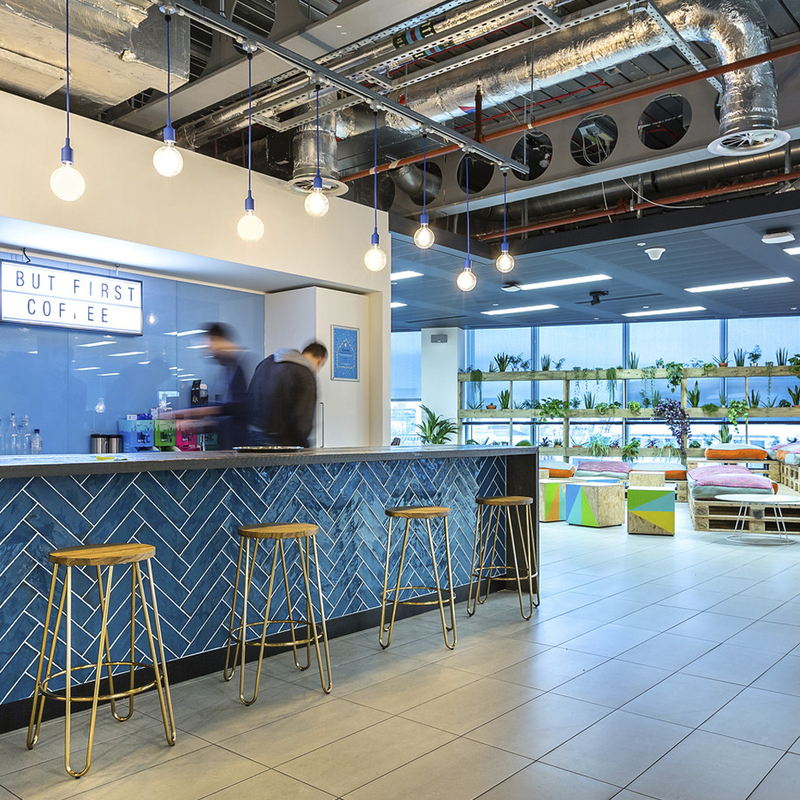 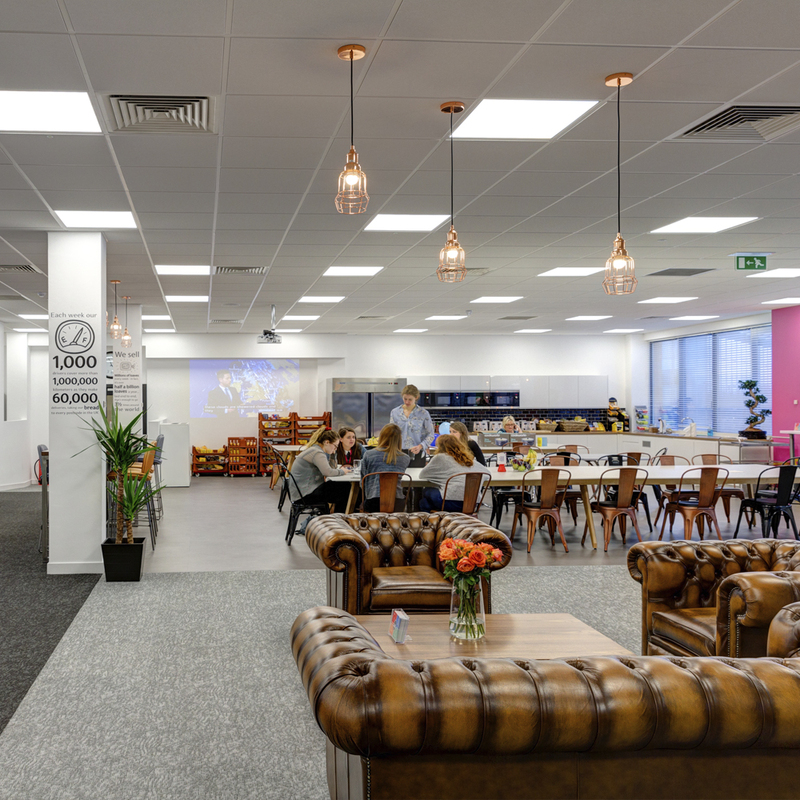 The brief for the first floor was to create an agile and collaborative space for the brands to work in with designated areas for meeting rooms, working booths, soft seating, open plan desking and offices. 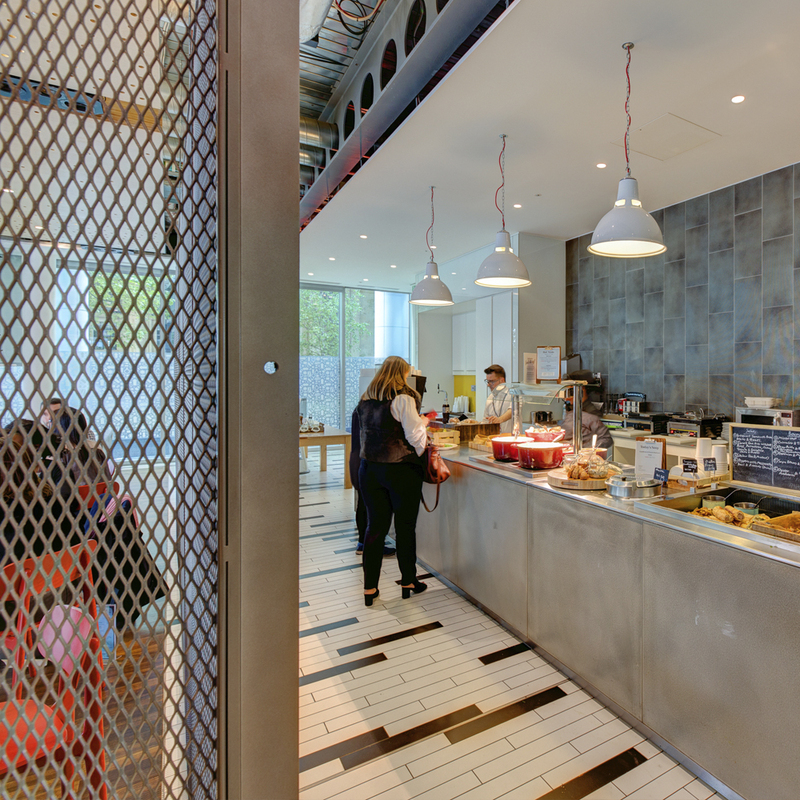 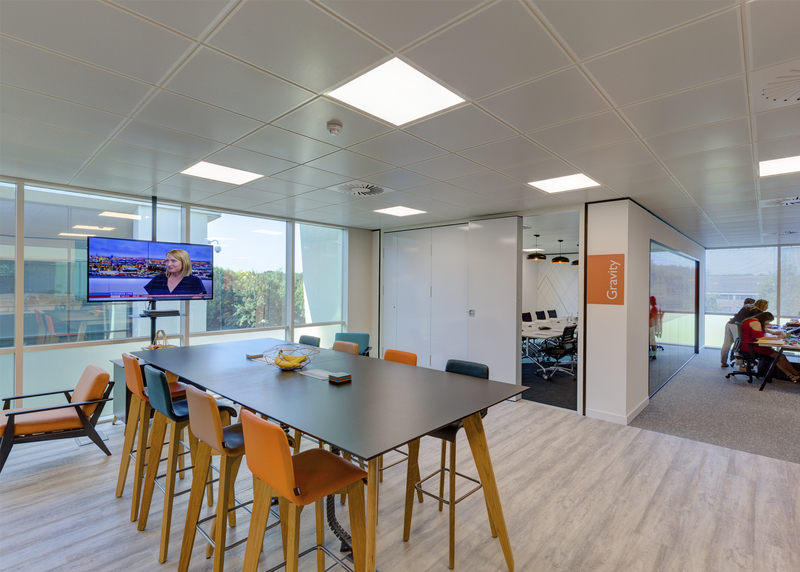 On the ground floor, the project specification included meeting room suites, grab and go café, amphitheatre set up with audio visual supply and feature walls. 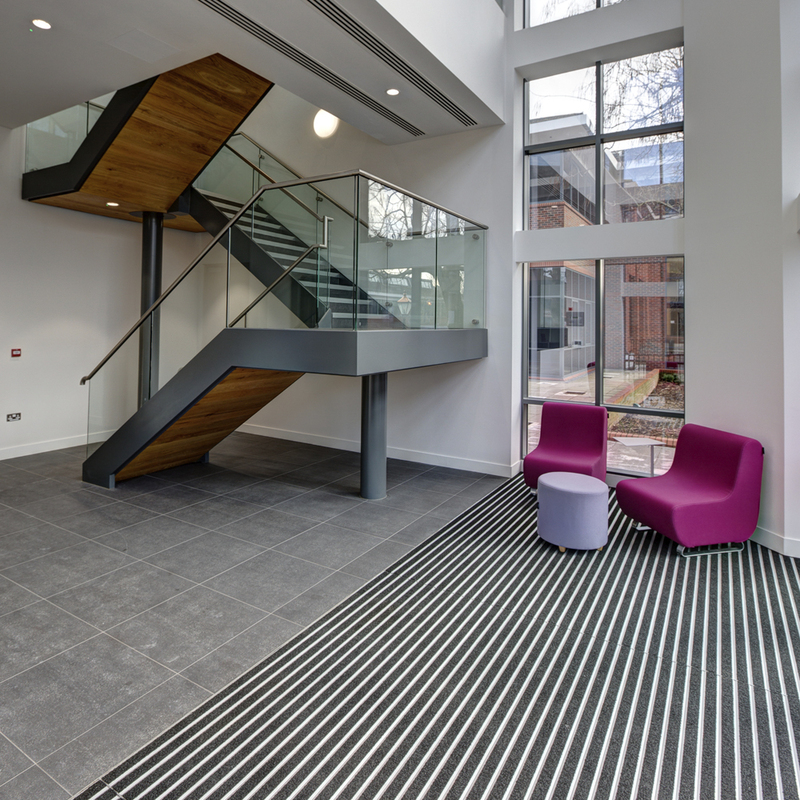 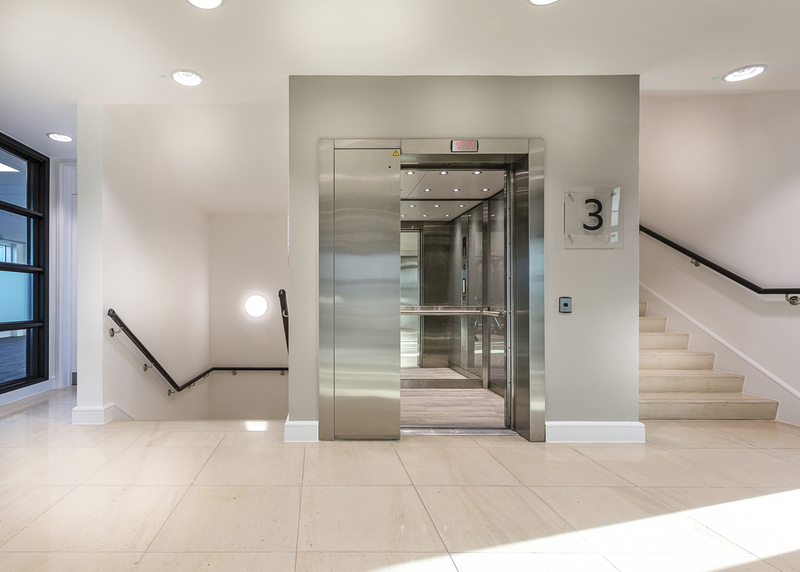 This was completed alongside a full mechanical and electrical infrastructure package throughout both floors. 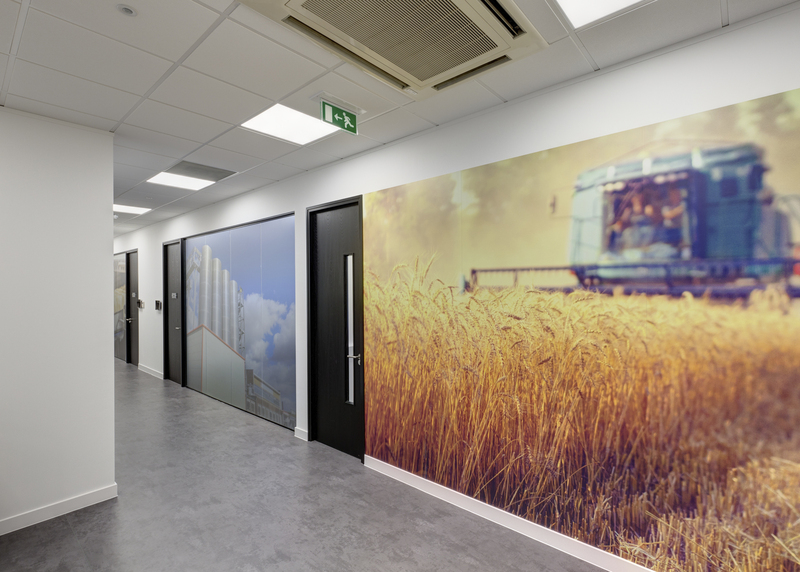 Grey have recently completed a transformation of Allied Bakeries Head Office in Maidenhead. 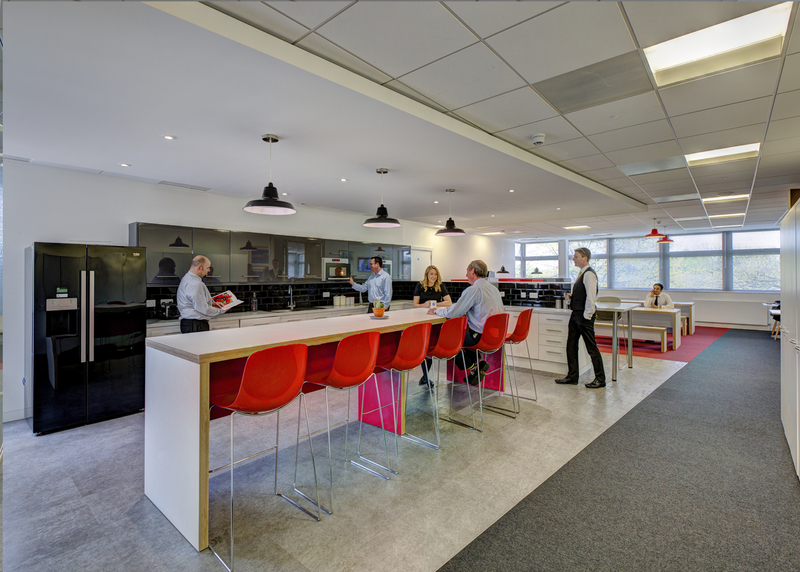 Following a tender process we worked with a project management team to provide a solution that delivered on brief and budget. 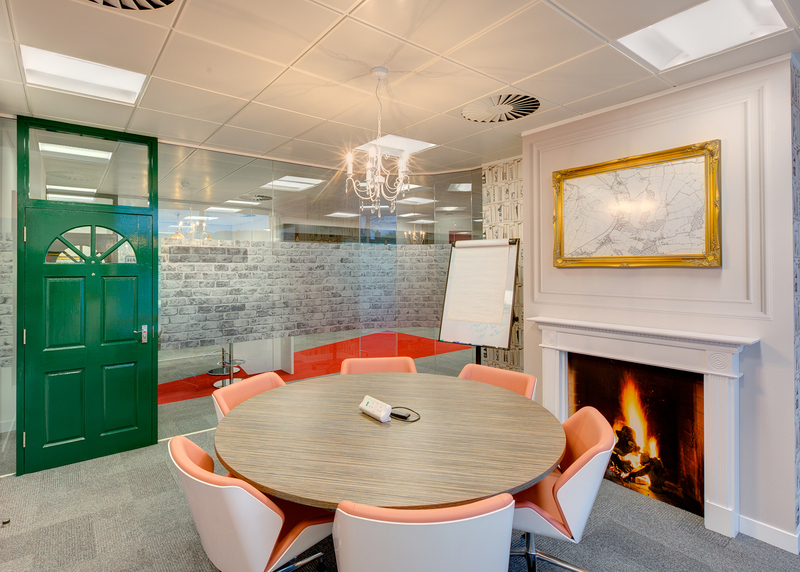 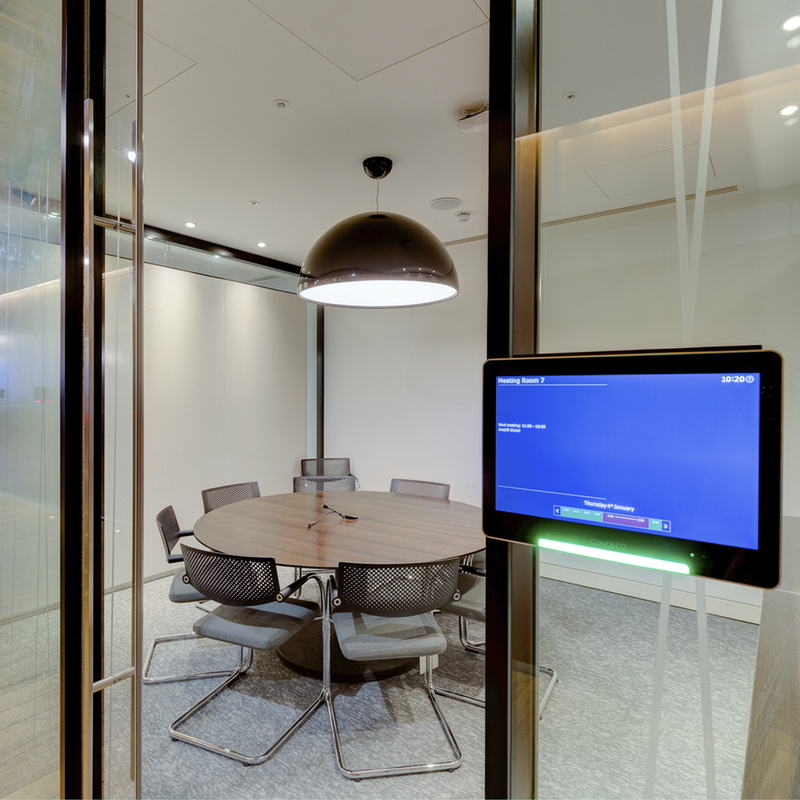 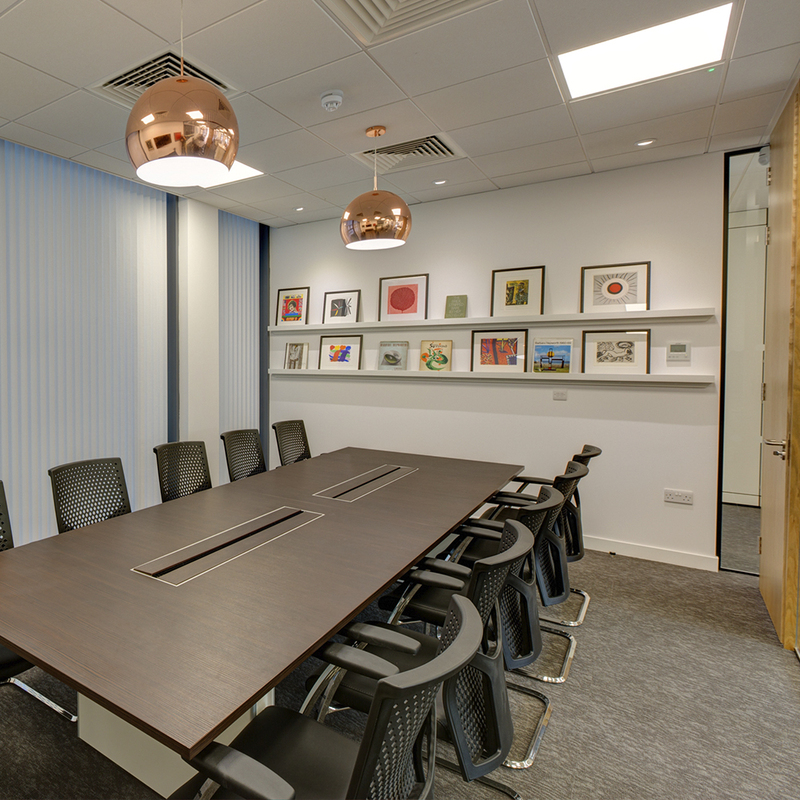 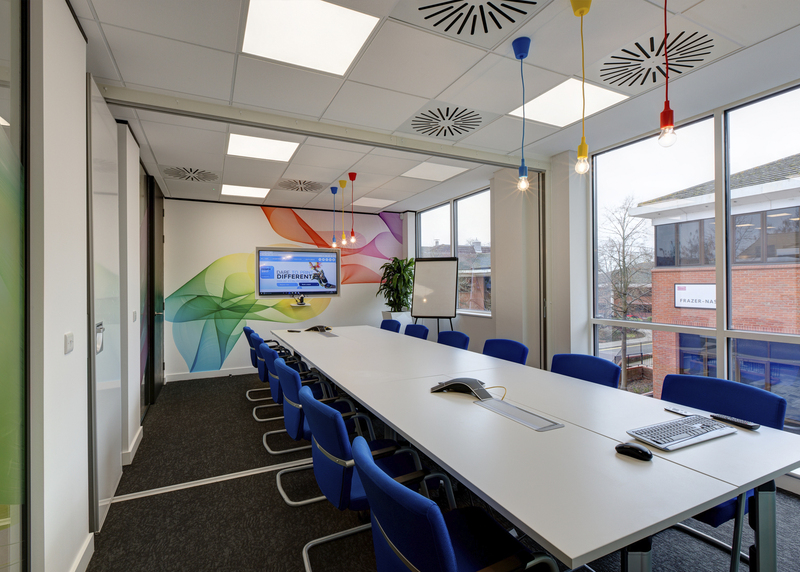 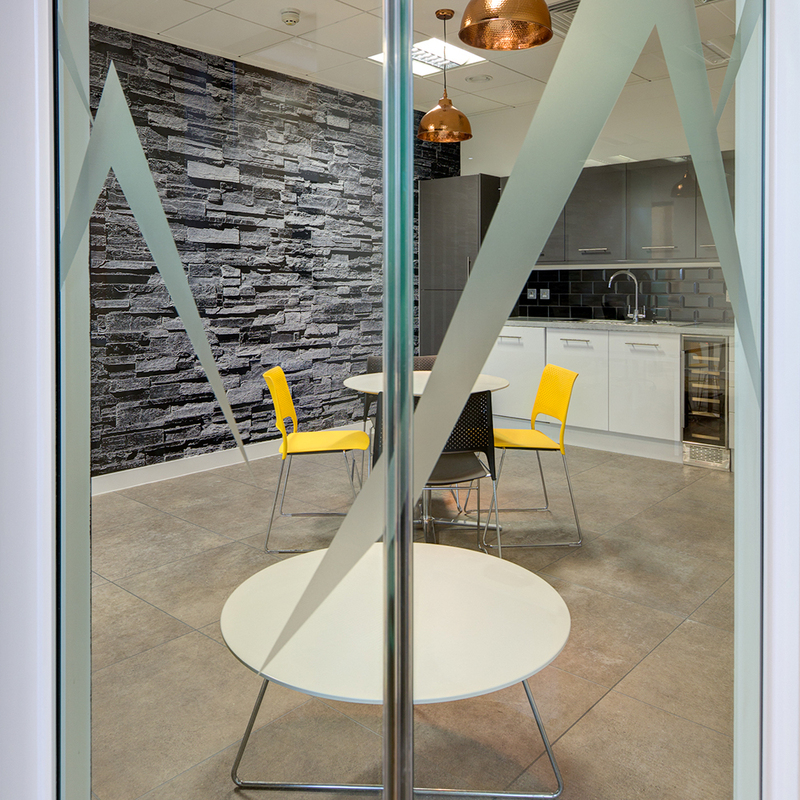 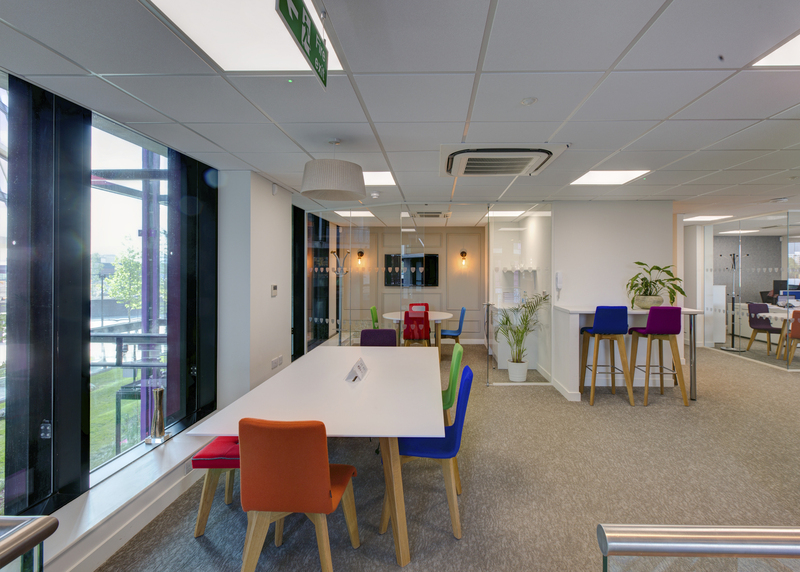 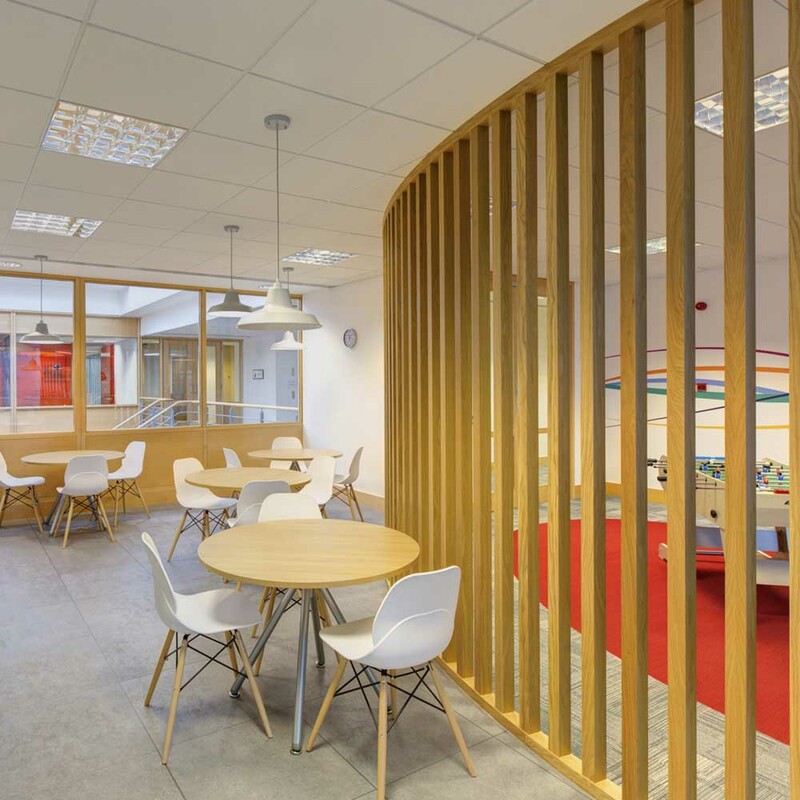 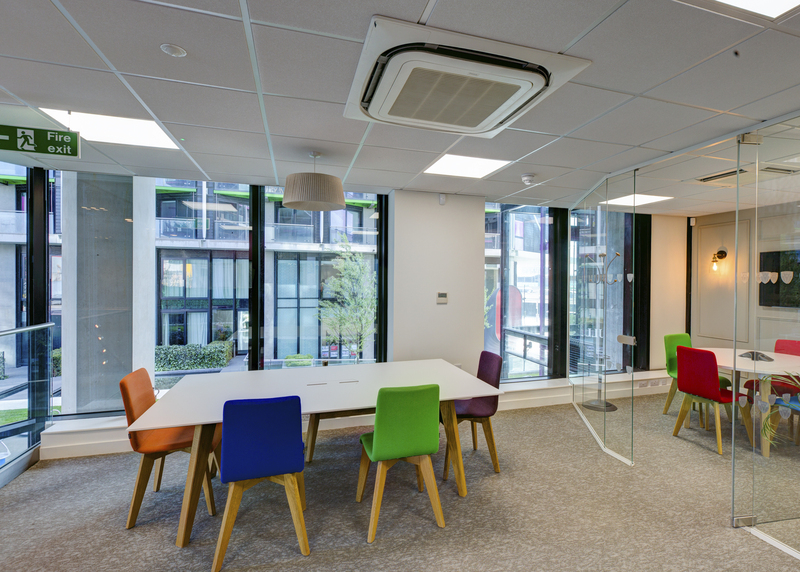 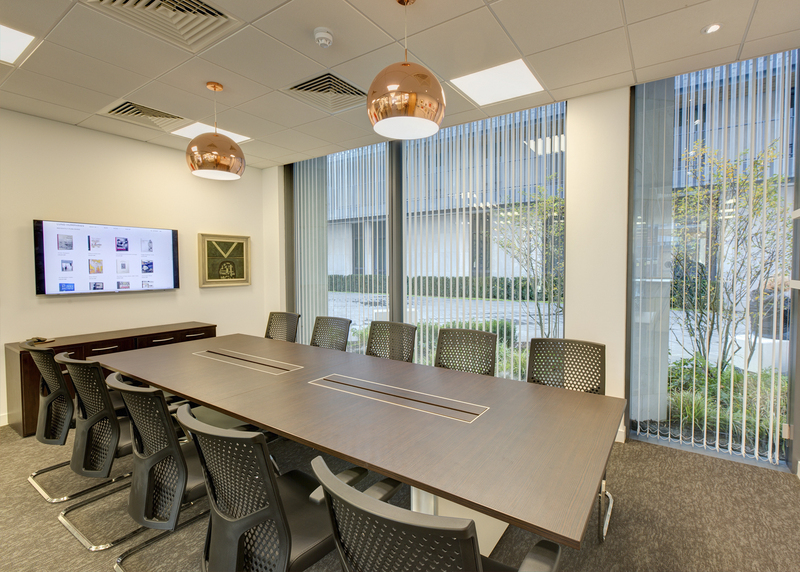 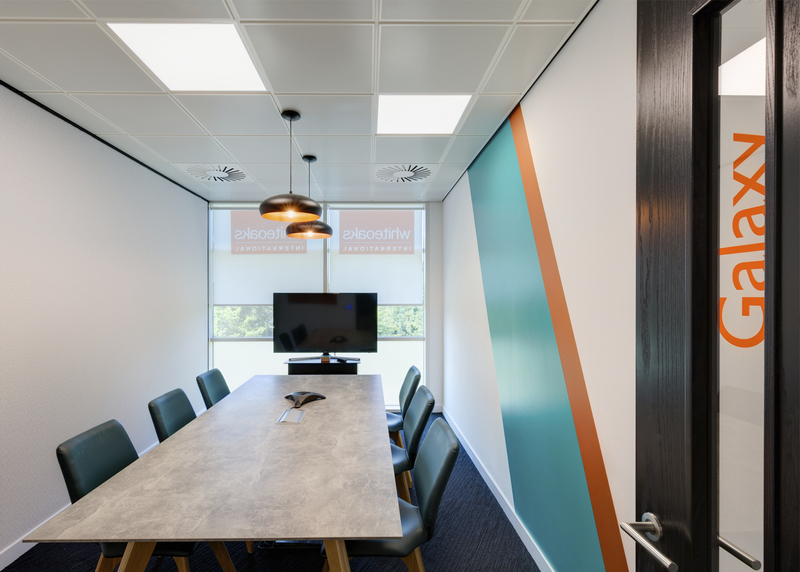 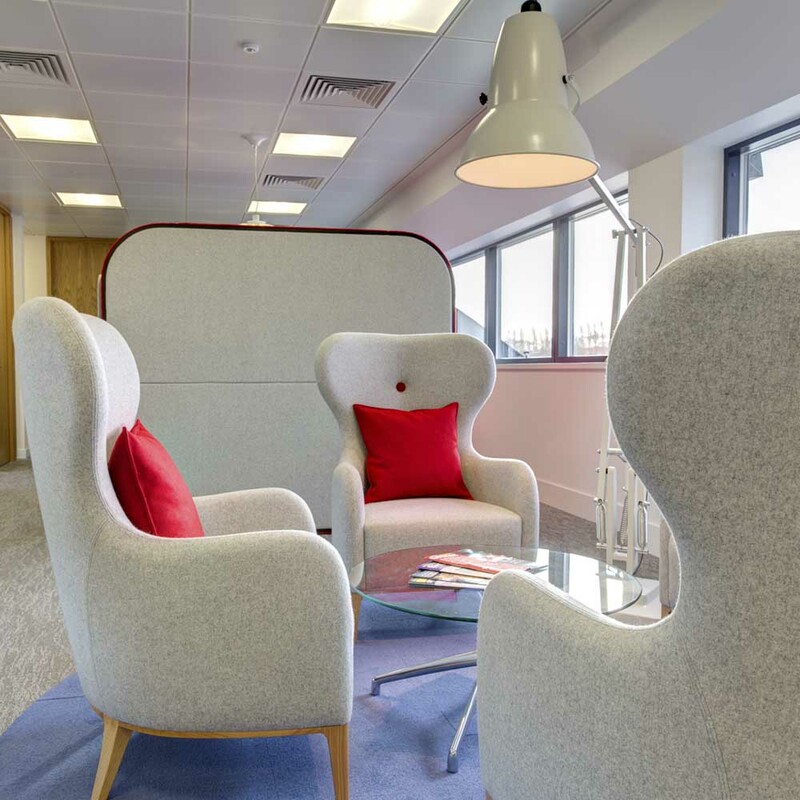 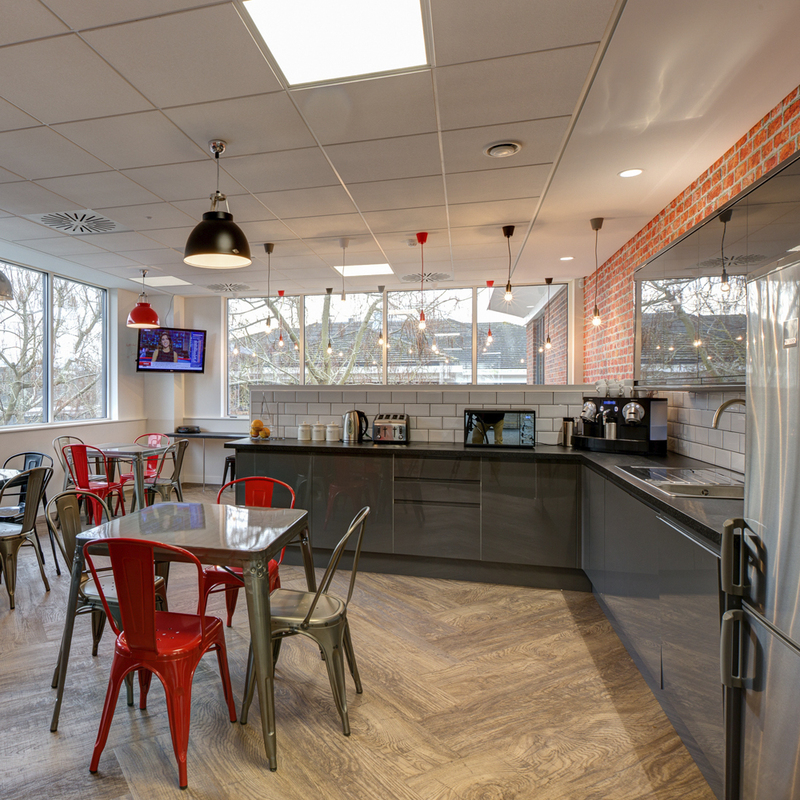 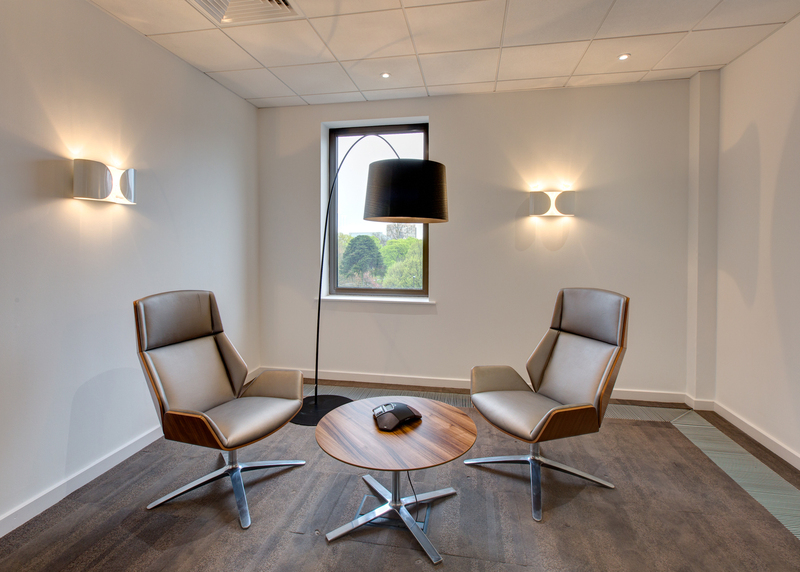 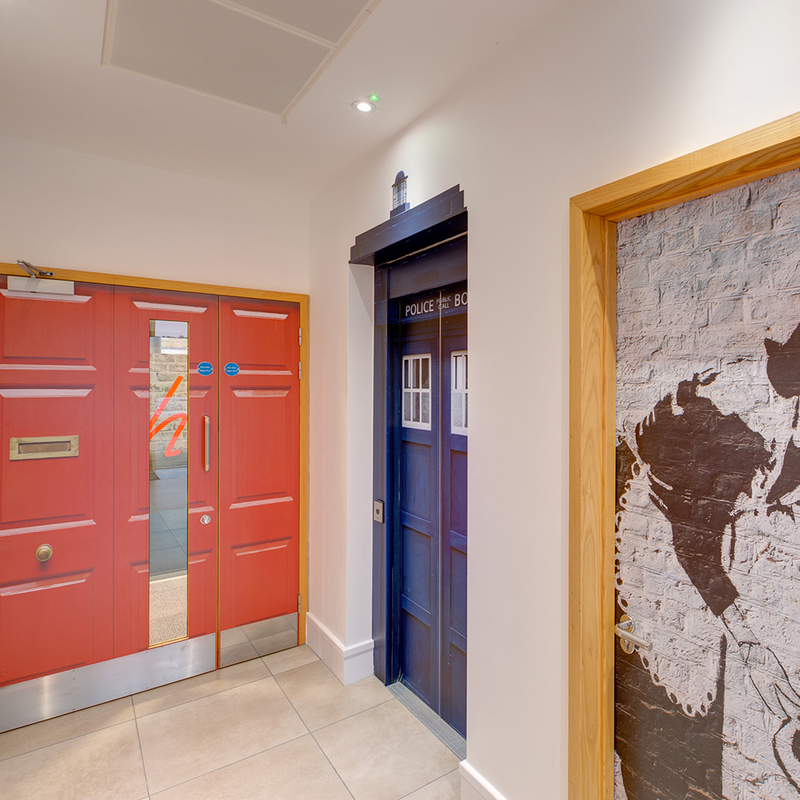 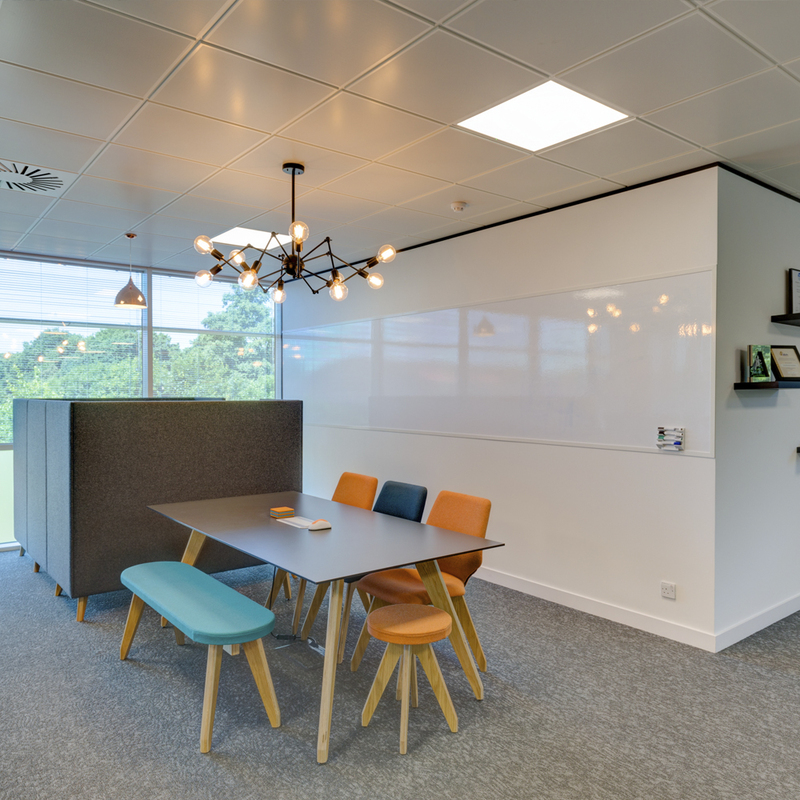 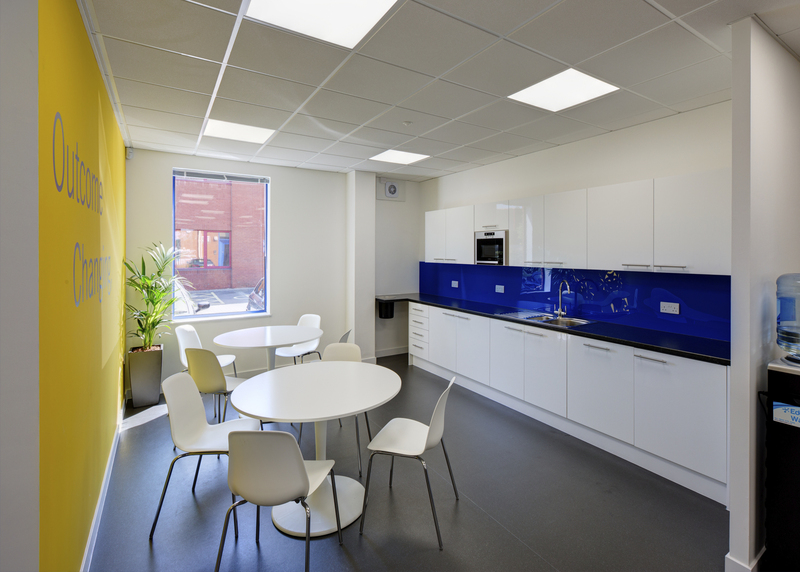 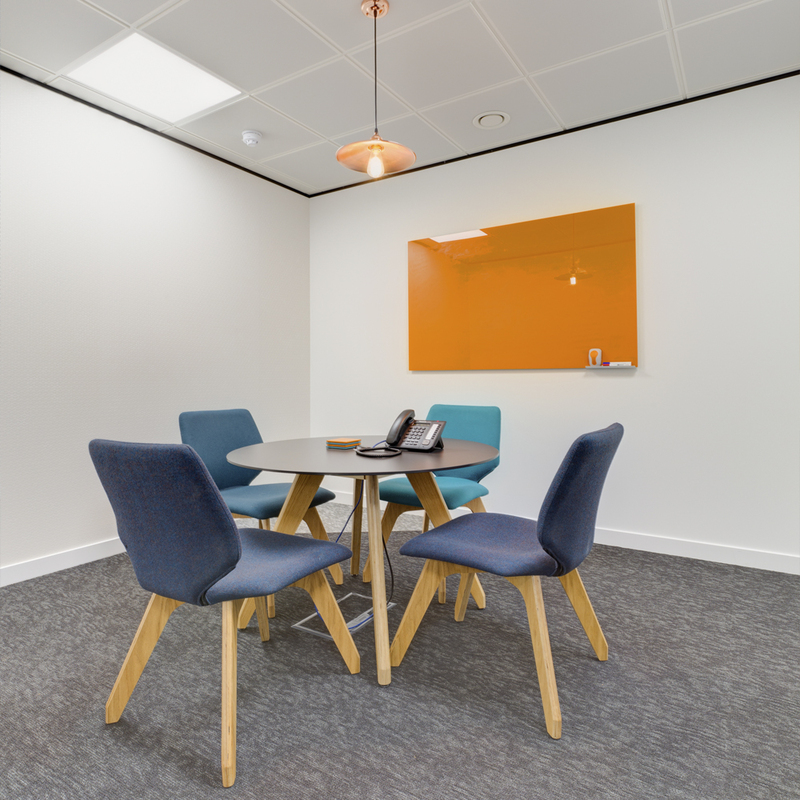 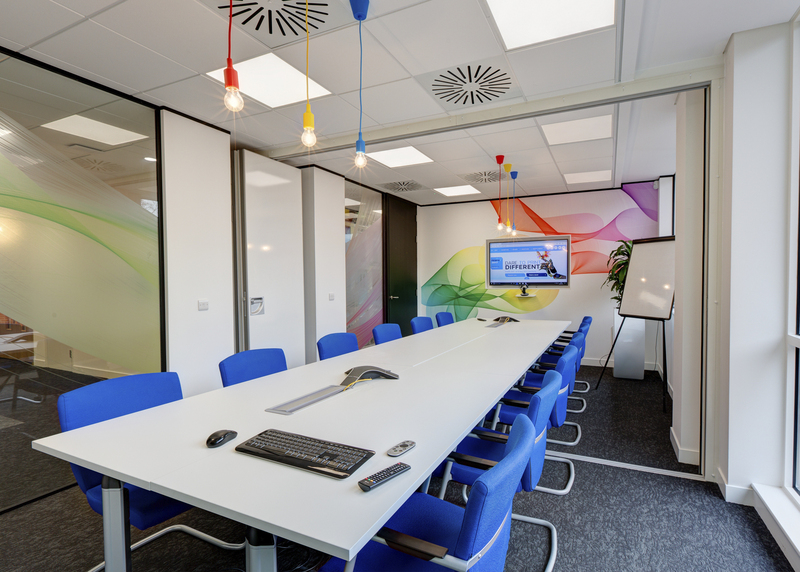 Our brief was to provide a collaborative and agile working space with a meeting suite and breakout to the ground floor. 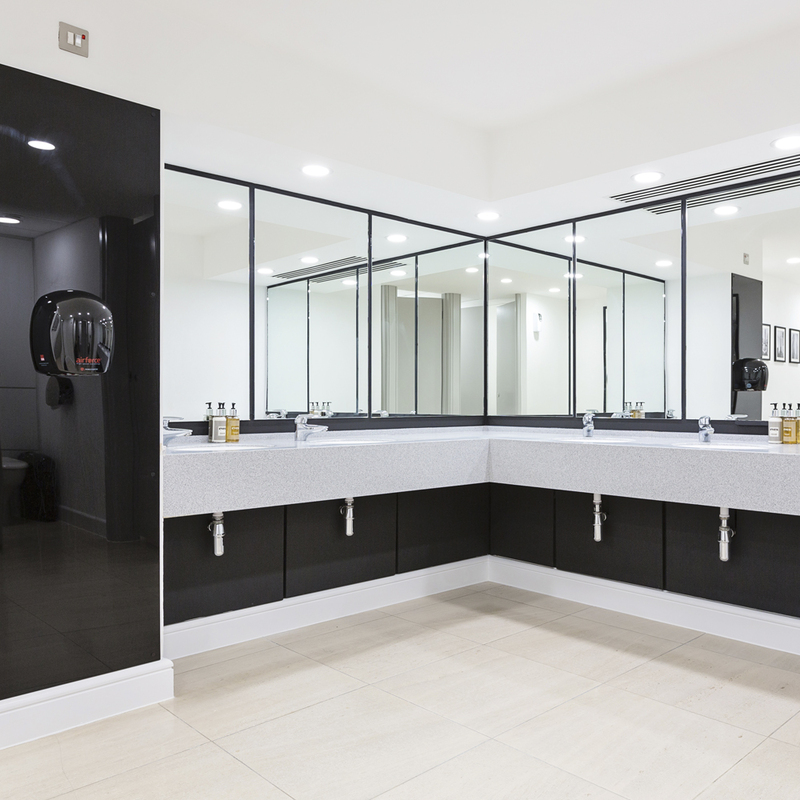 The project specification included bespoke furniture, feature flooring, creative wall finishes and branding, refurbished toilets and showers along with a full mechanical and electrical infrastructure solution. 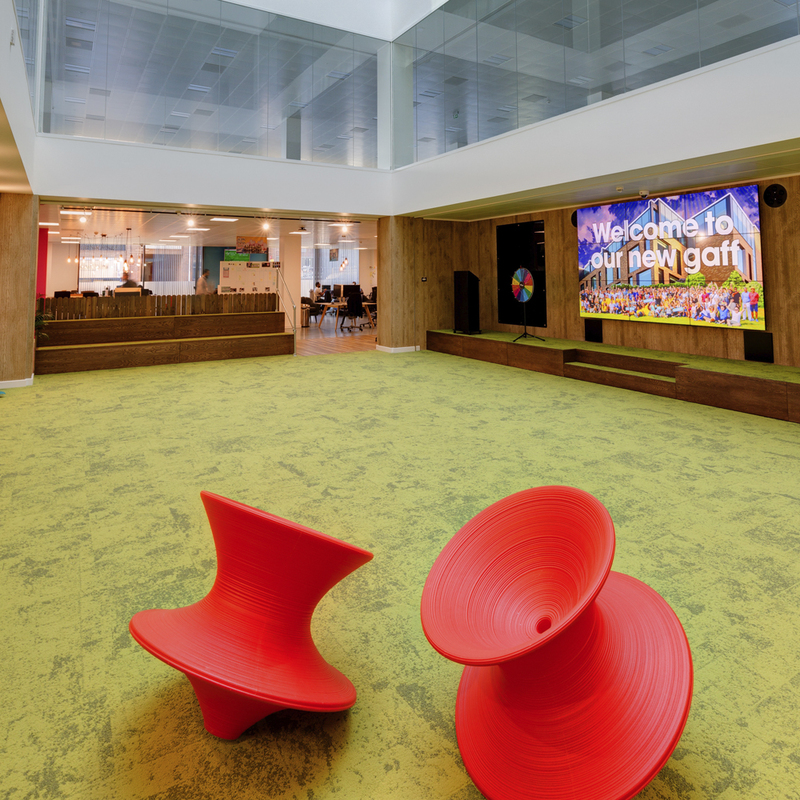 Watch 360i come to life. 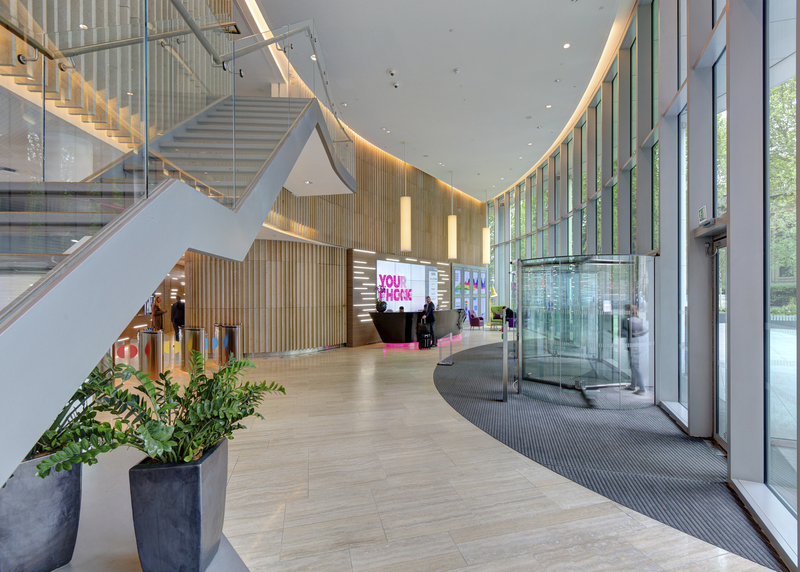 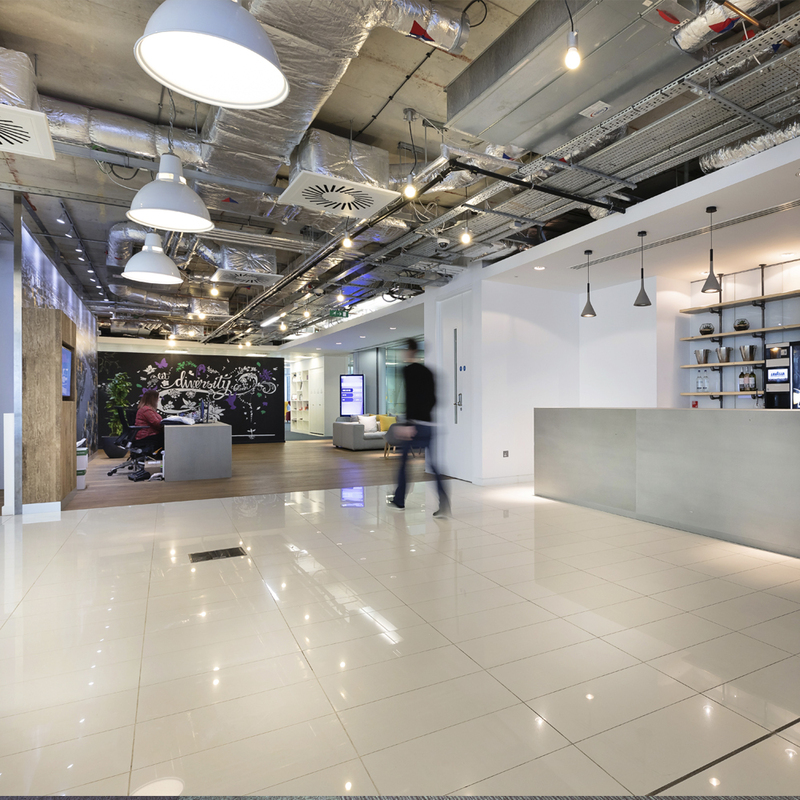 A 360 degree view of 360i’s new ‘Agile’ HQ London office. 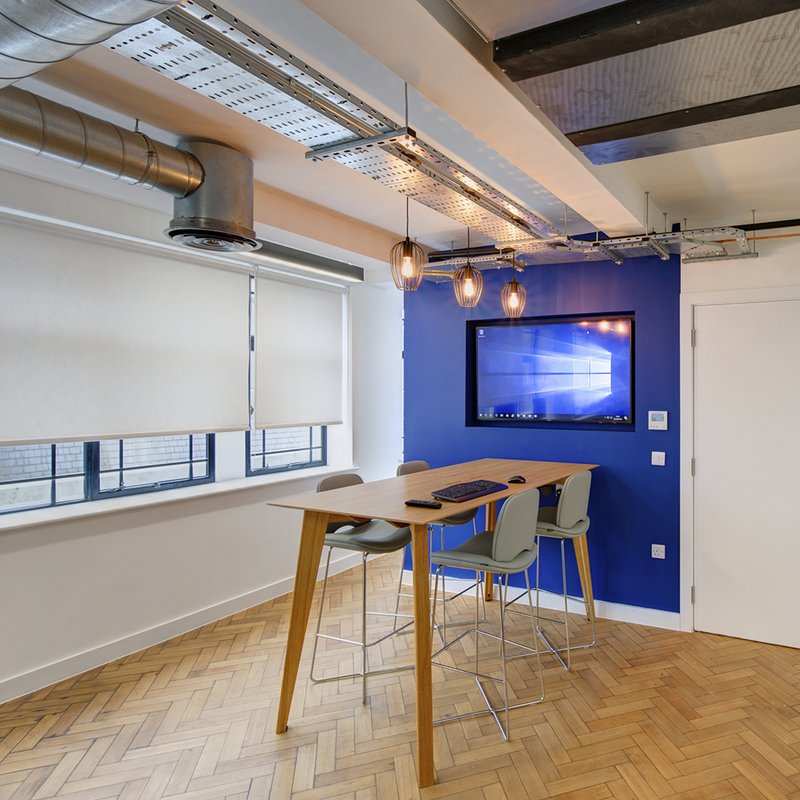 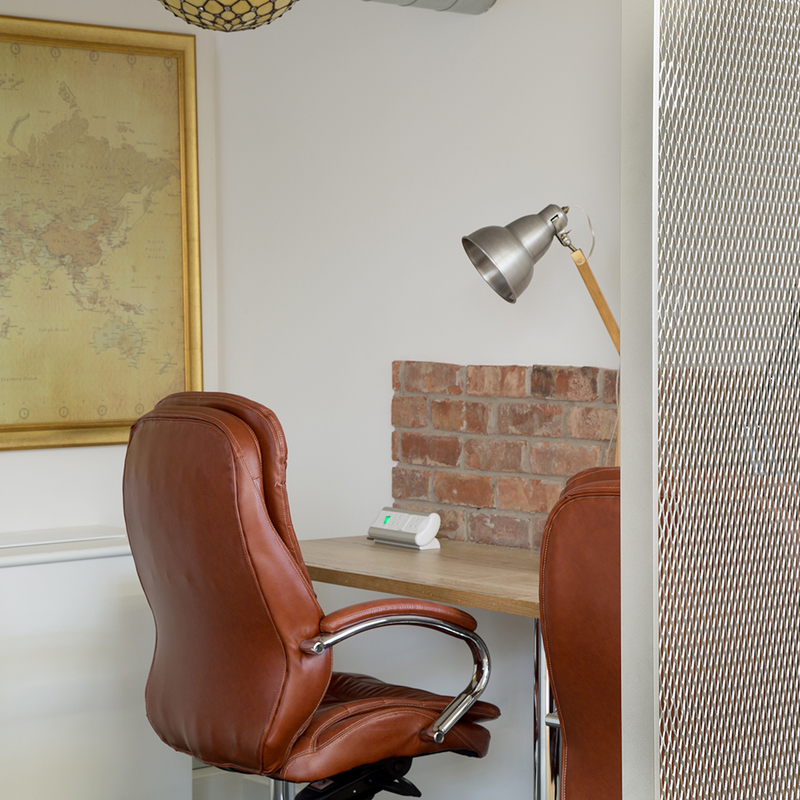 The Grey team designed the office for Agile working in its true form, pushing the space to work hard for our client. 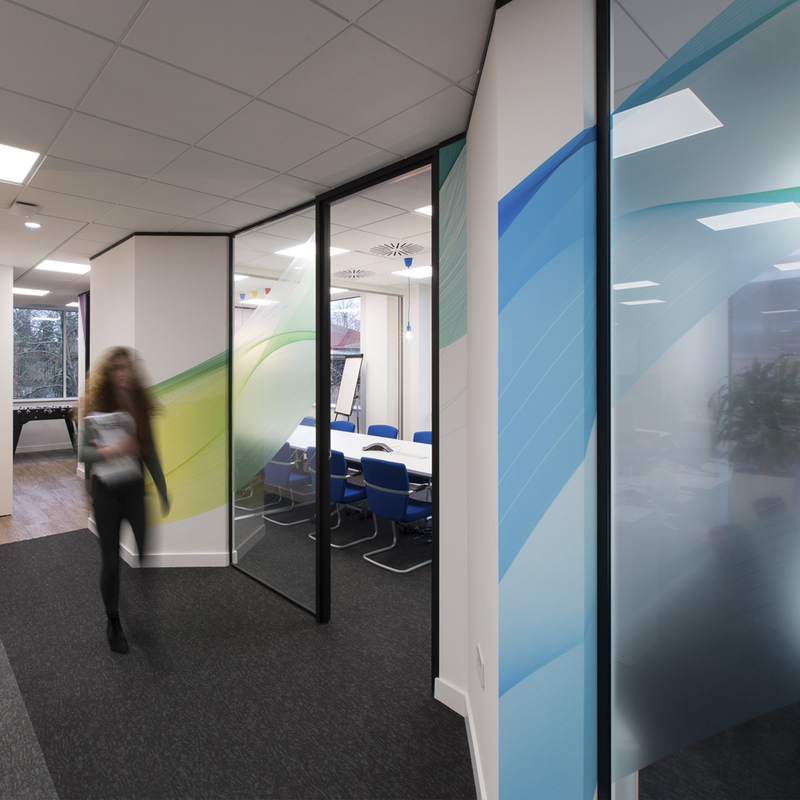 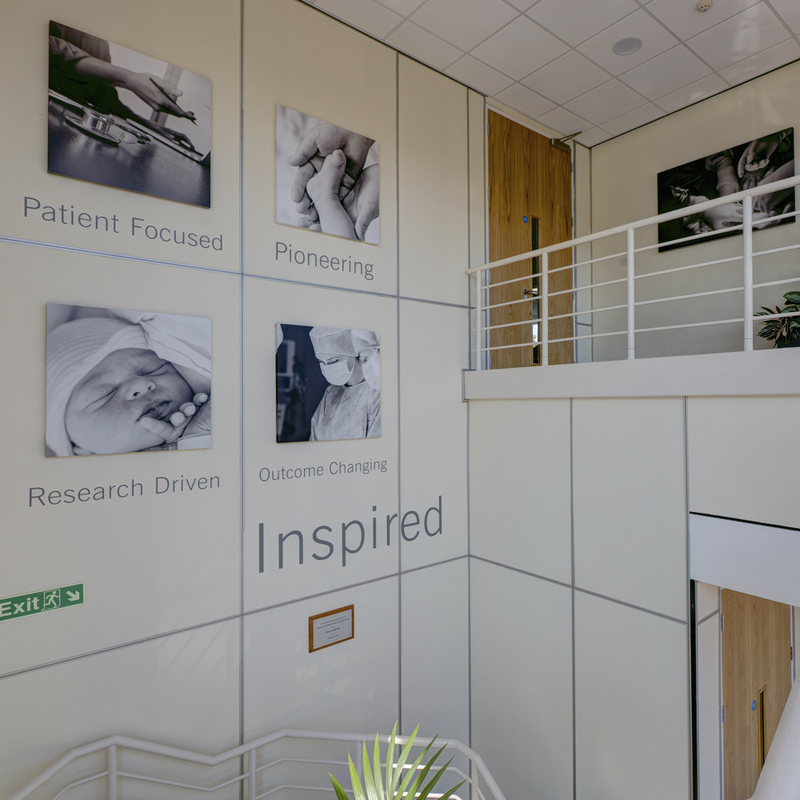 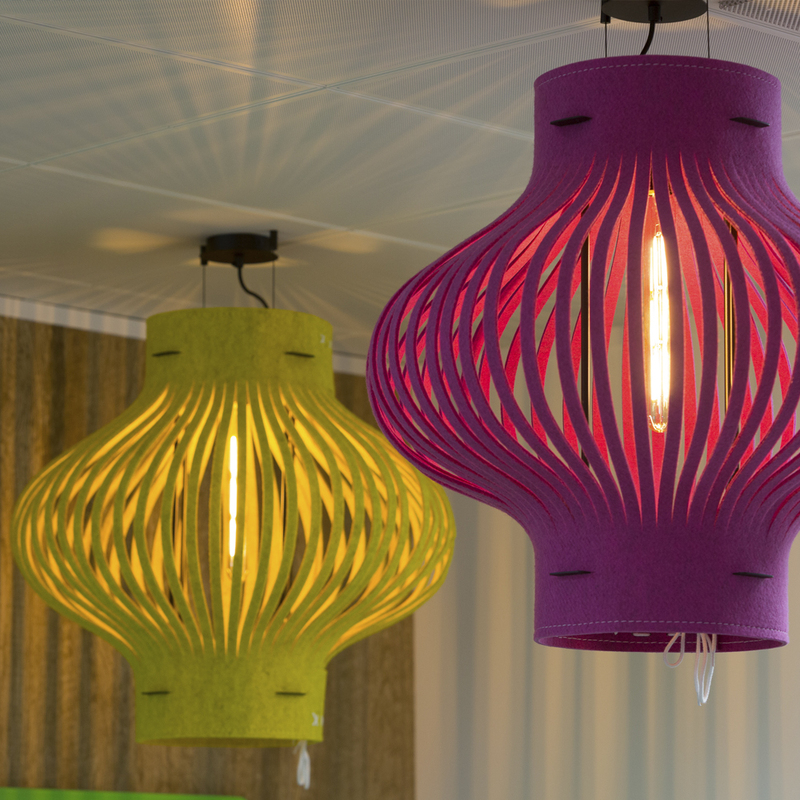 The focal point of the design was to foster collaboration between the three key areas of the business. 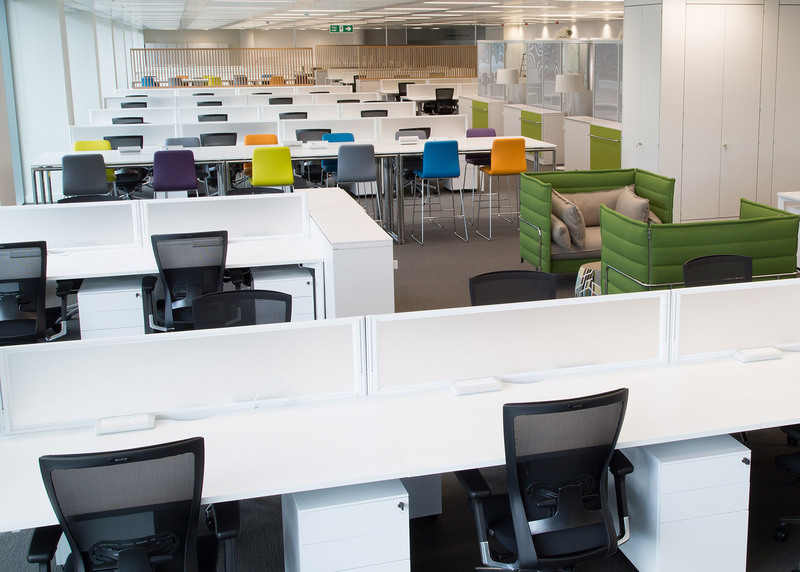 With elbow room to grow, the landlines and standardised desks are gone. 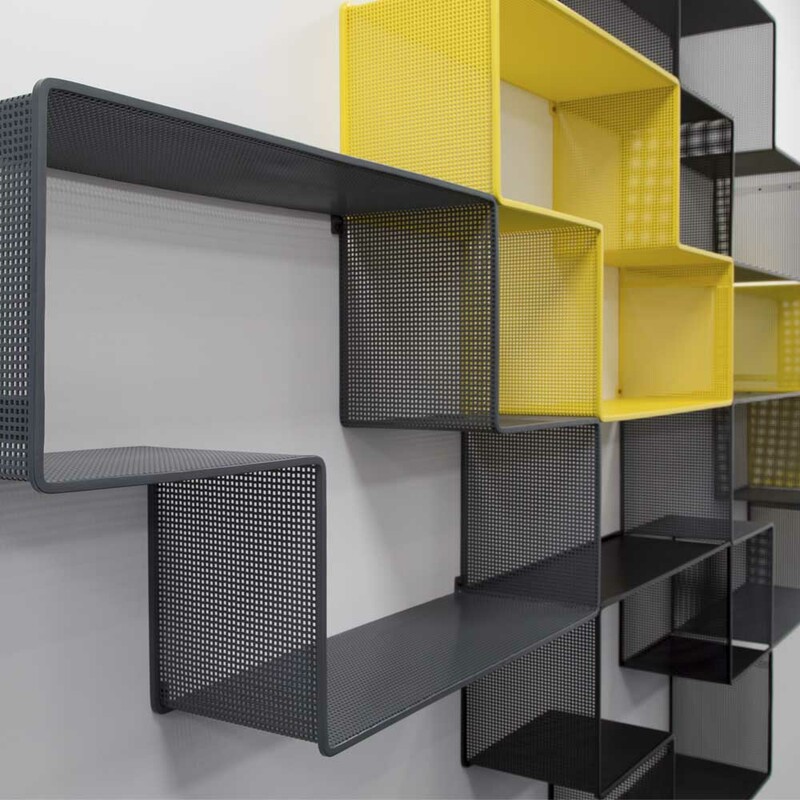 In their place is a modular “blank canvas” that can adapt to any working set up thrown its way. 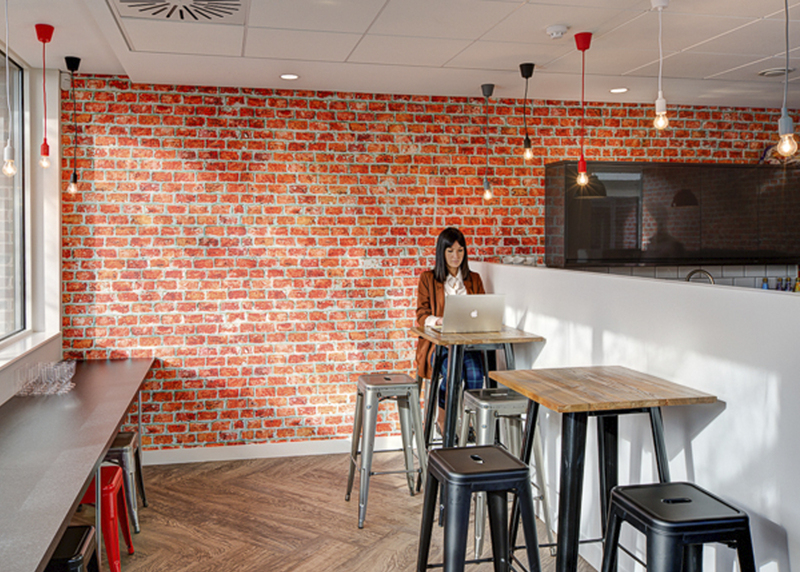 Staff have the freedom to work wherever they want. 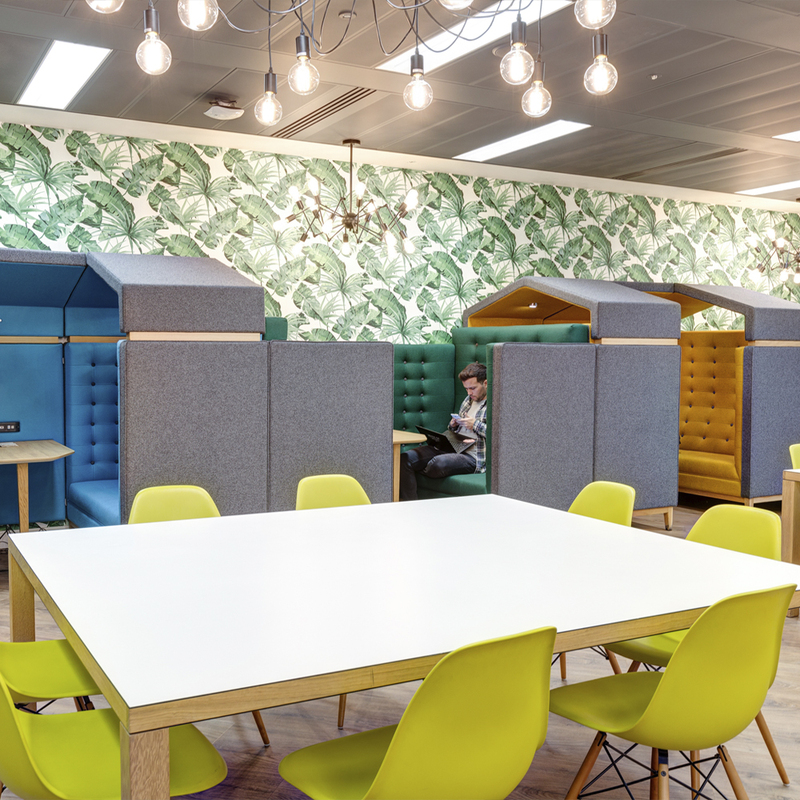 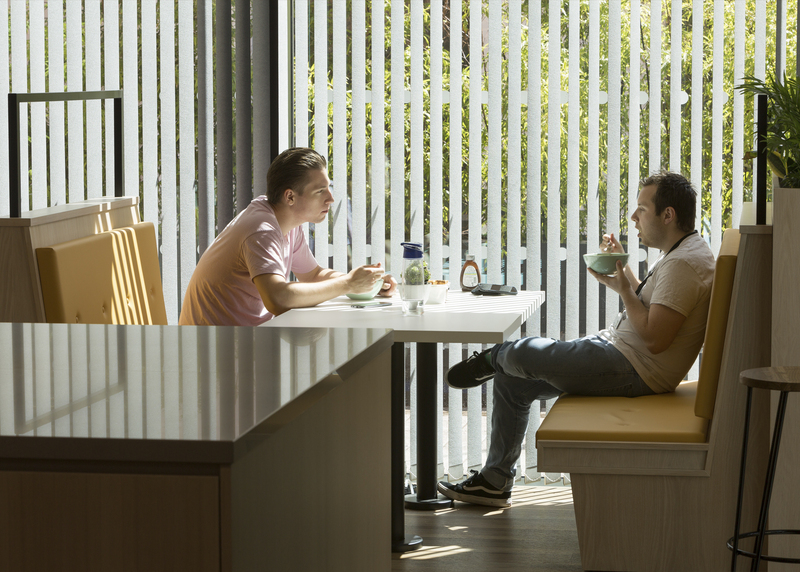 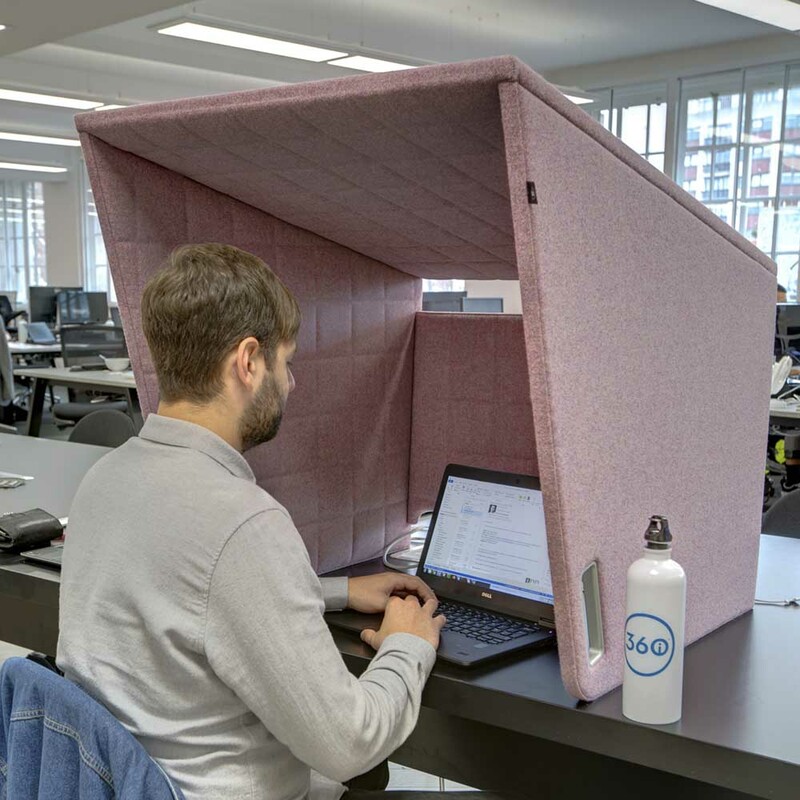 Be it in the noise-cancelling felt booths, the shared benches or the open-plan kitchen with Spotify playing. 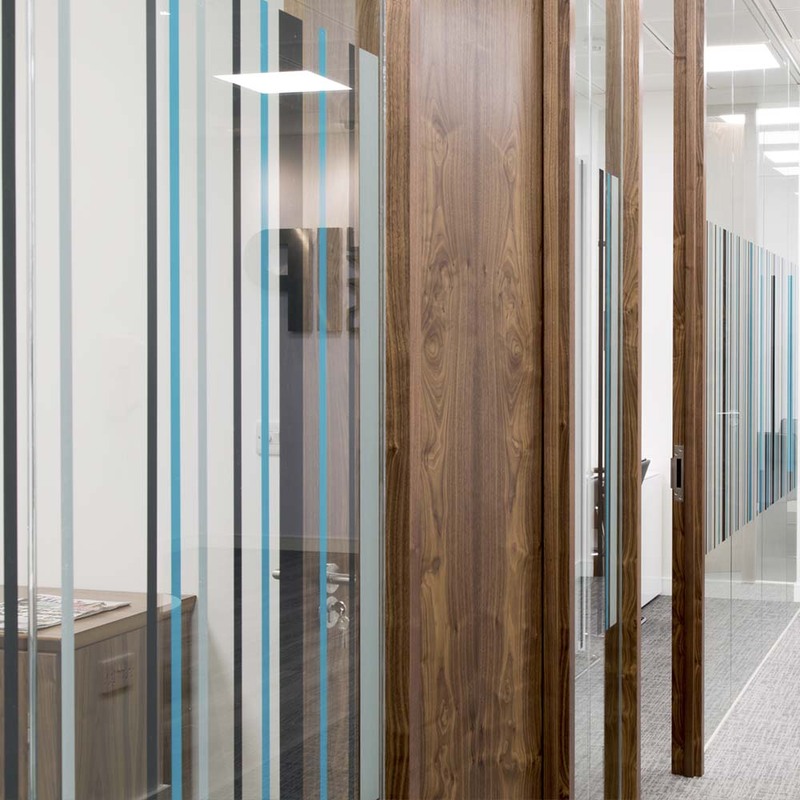 The details; Pivot doors and wooden framed partitioning, lighting, bespoke joinery walls for AV and lighting, feature flooring, feature wall finishes, AV supply, power and data infrastructure, bespoke furniture supply, contemporary furniture supply and move management. 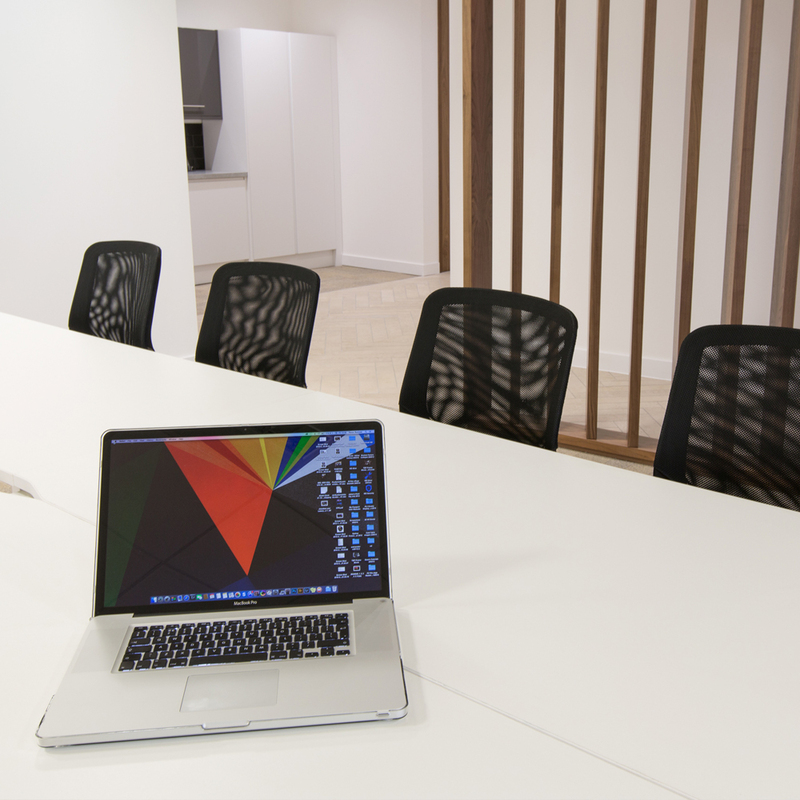 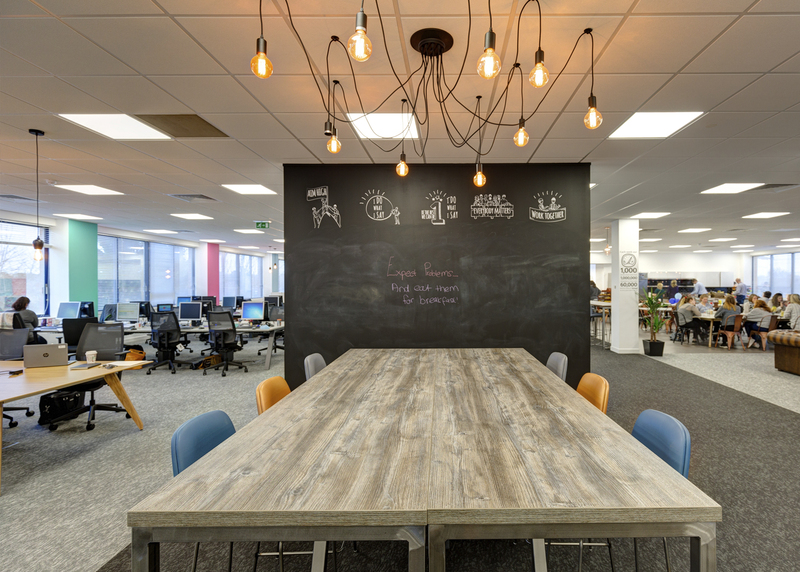 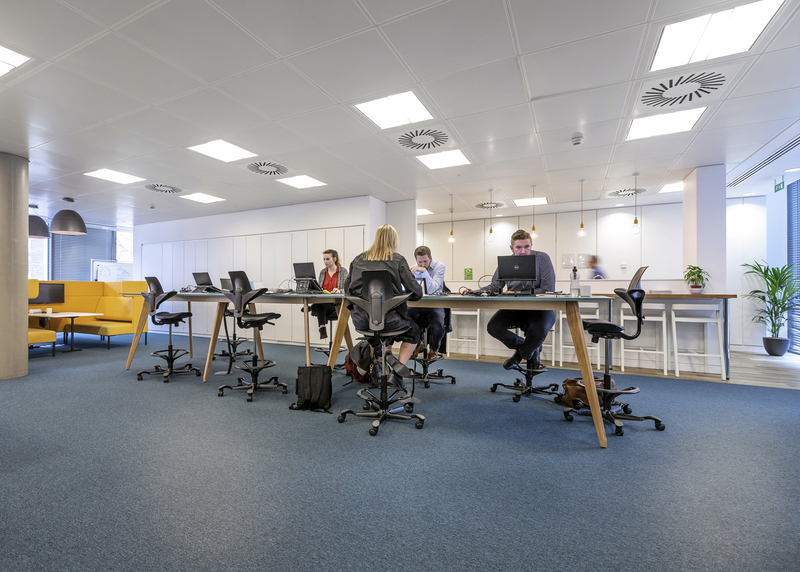 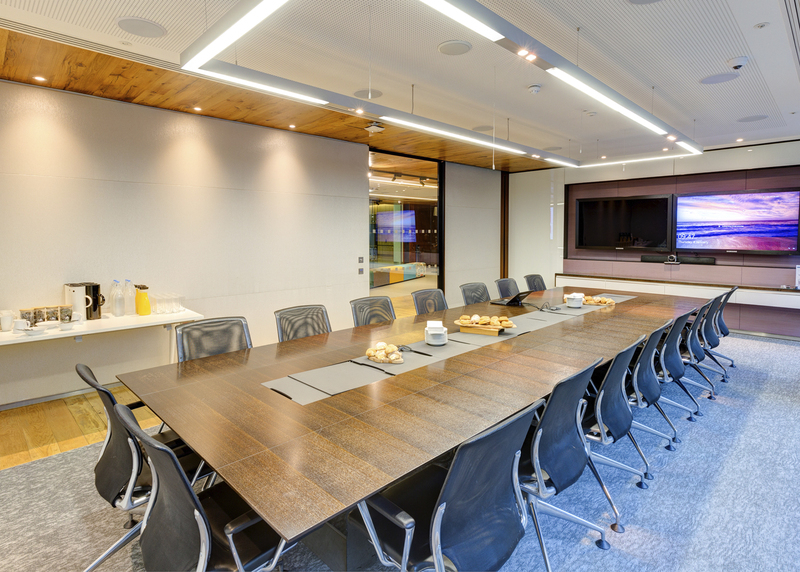 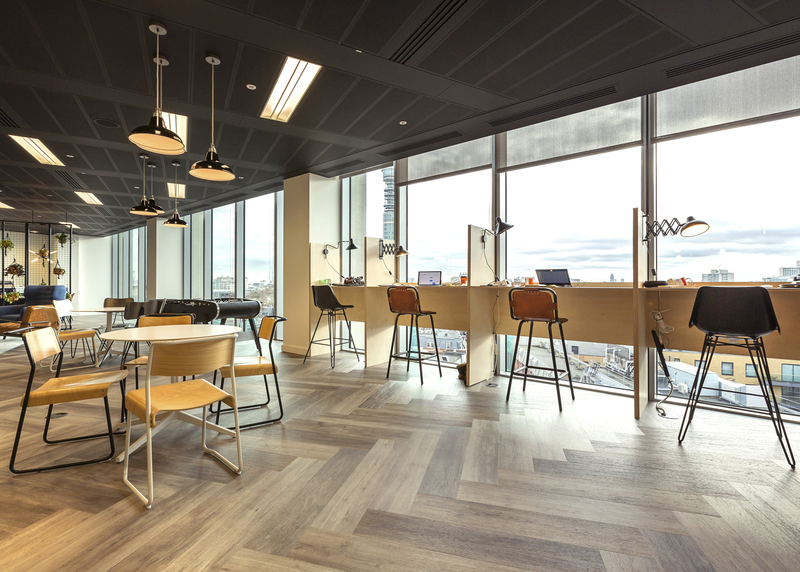 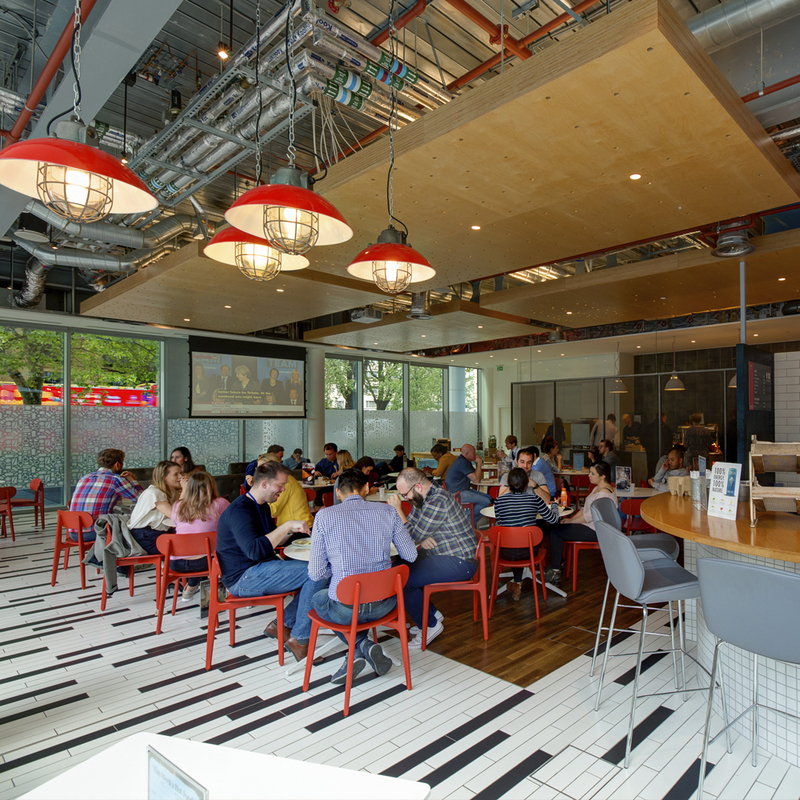 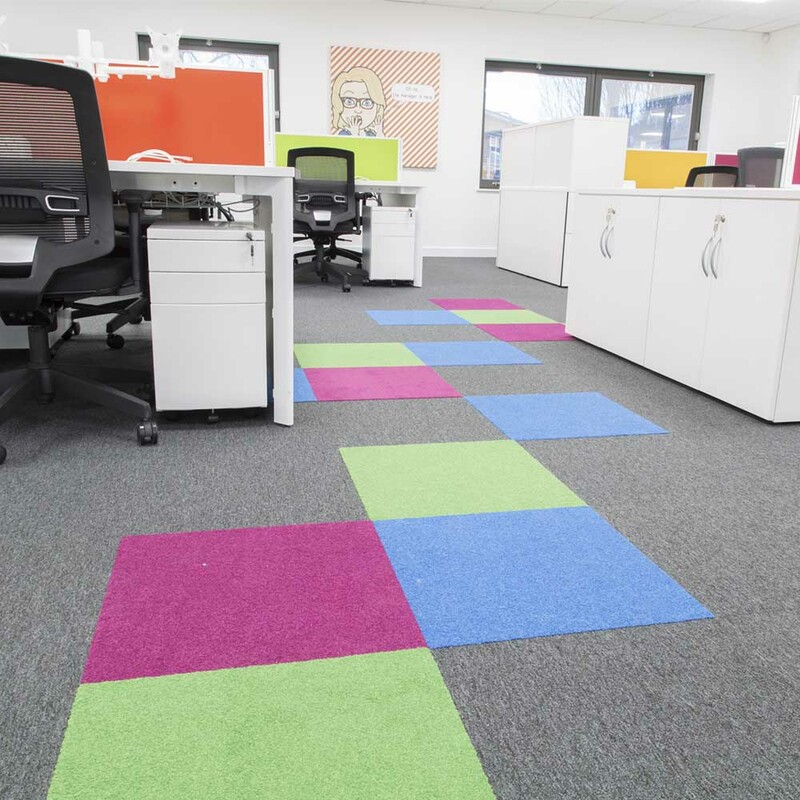 ​The GREY team updated the whole floor of a previous fitout scheme to meet new agile working needs. 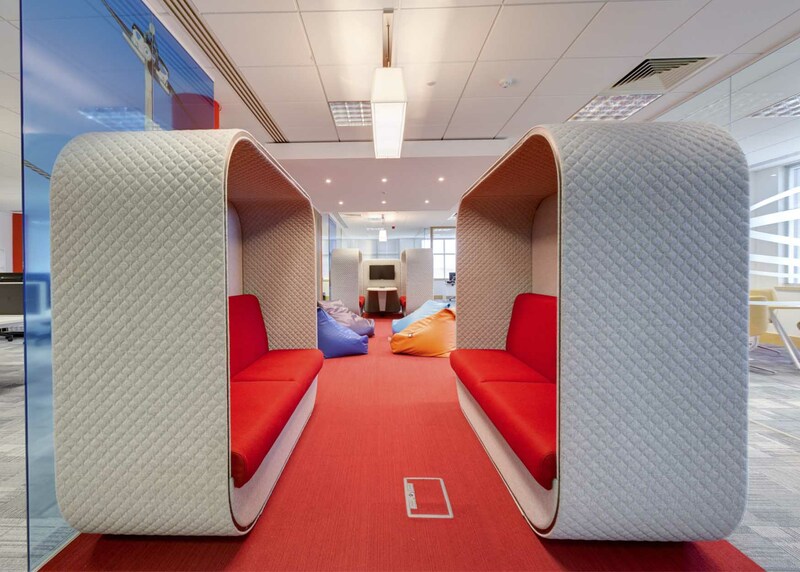 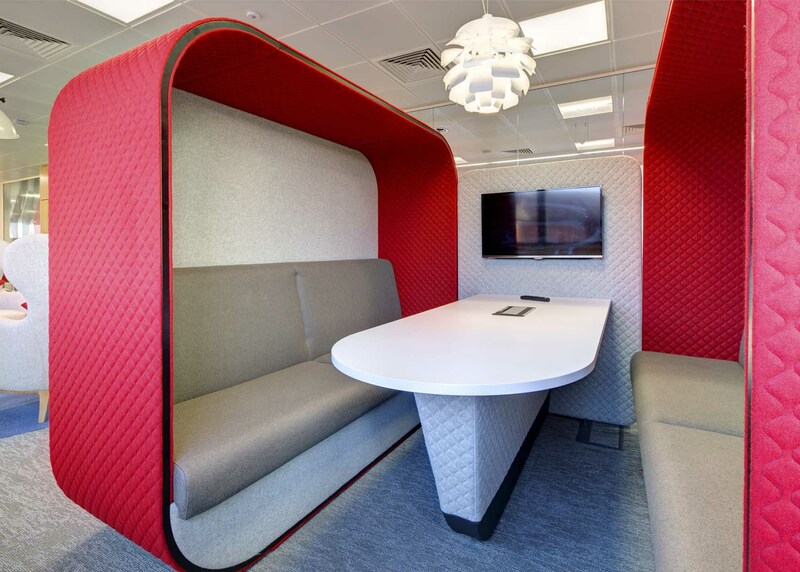 The focal point of the design was to foster an idea of agile working within teams and as individuals. 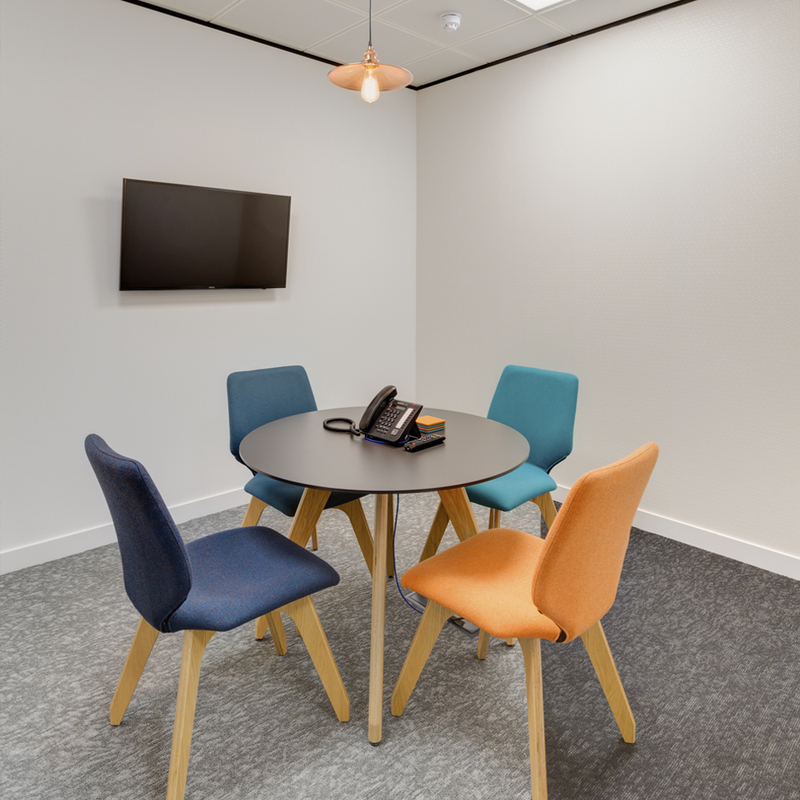 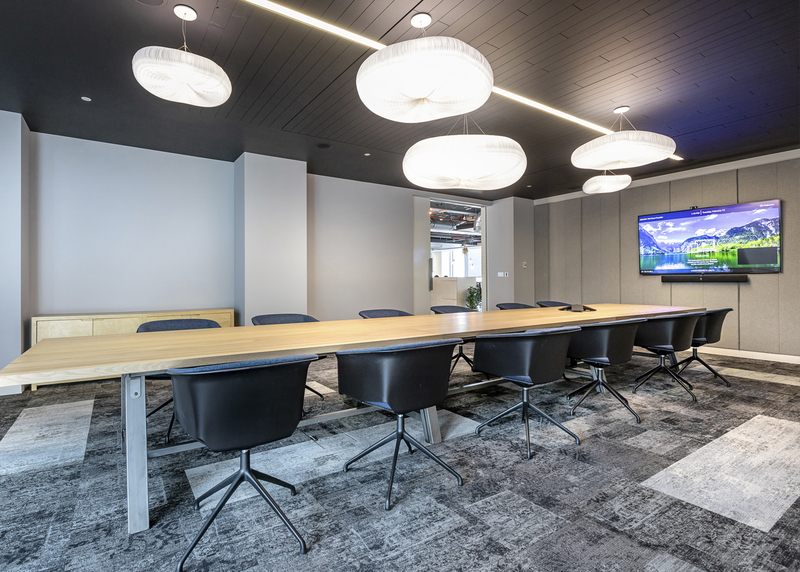 GREY introduced high and low break out tables, informal meeting booths, new meeting room, breakout space, feature carpet and lighting and a new touch card locker system. 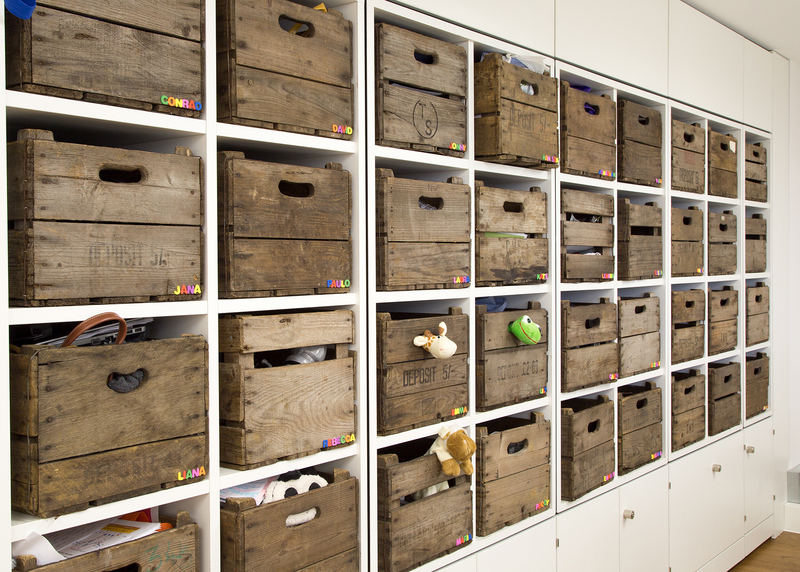 This was all completed out of hours while the office was in full operation. 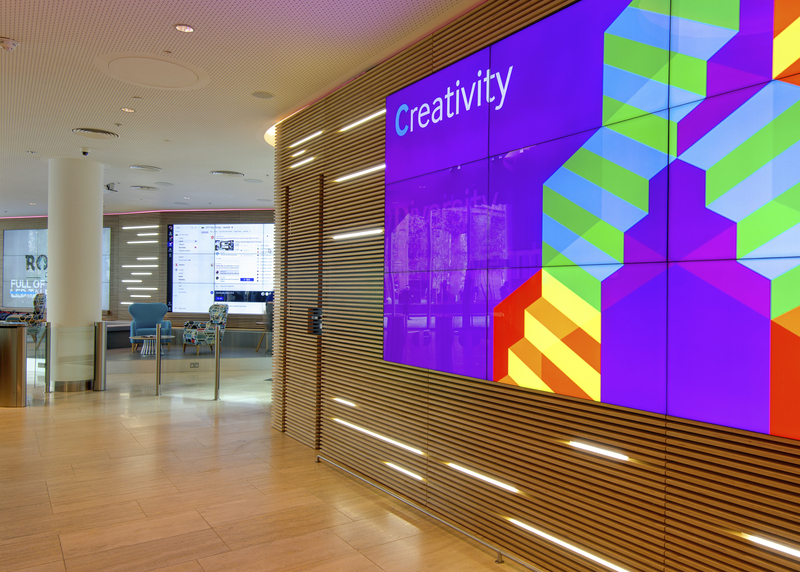 Watch Dentsu Aegis Network come to life. 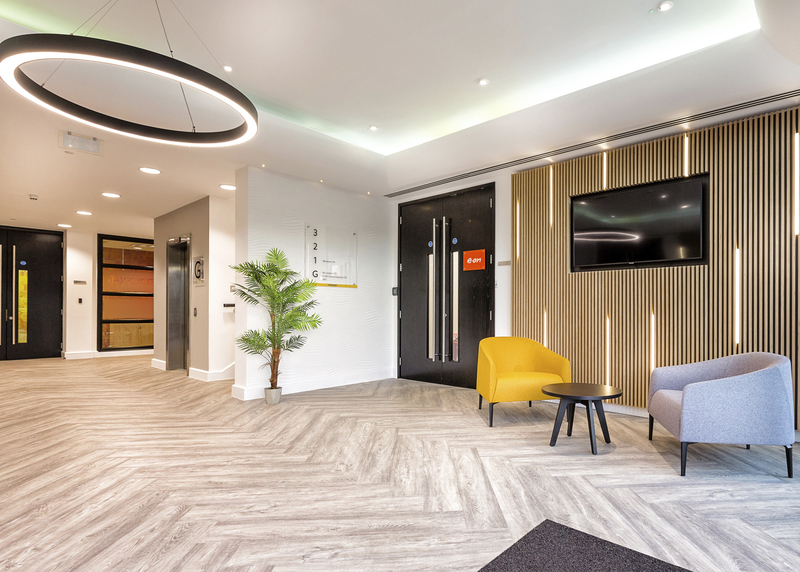 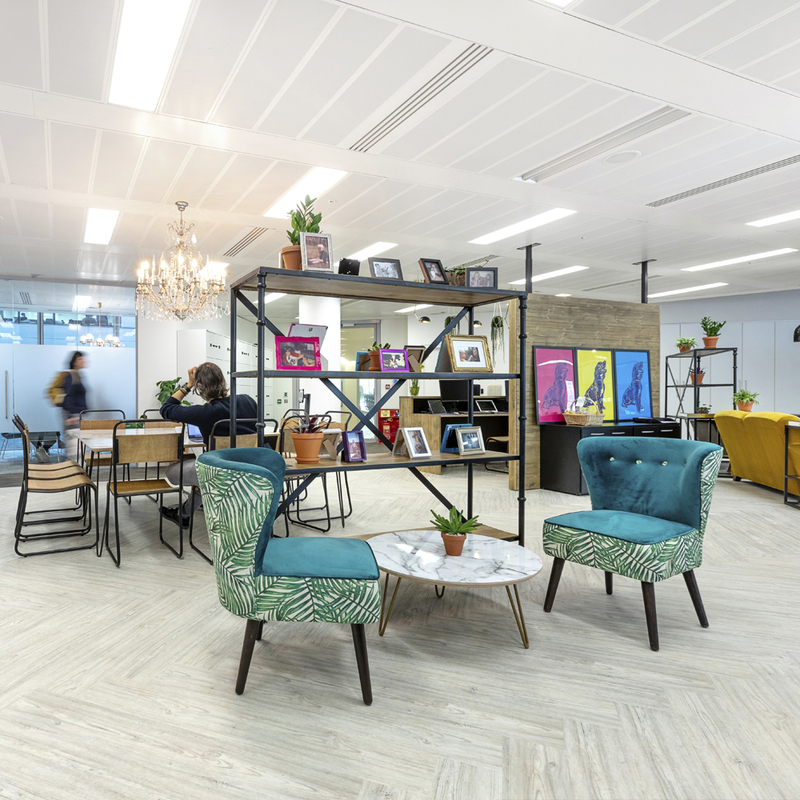 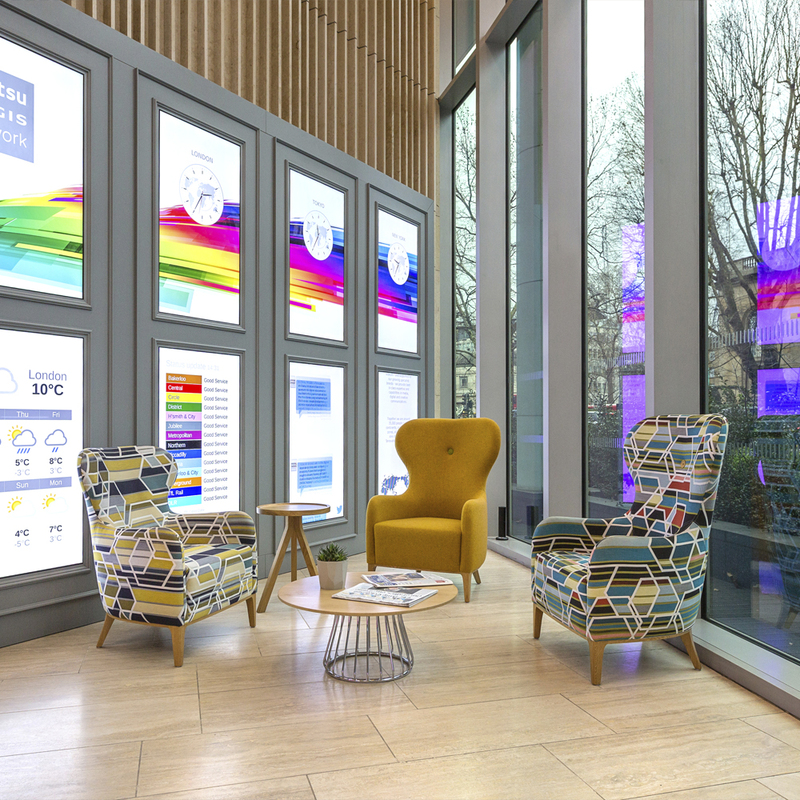 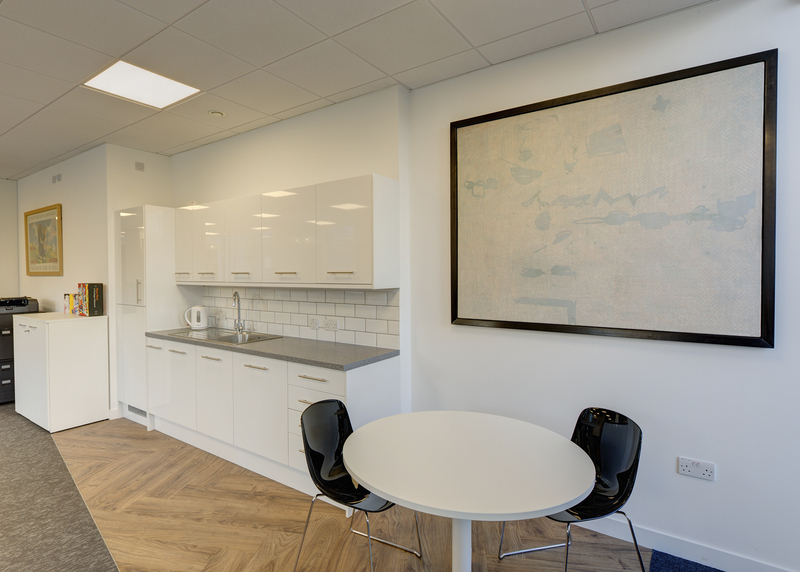 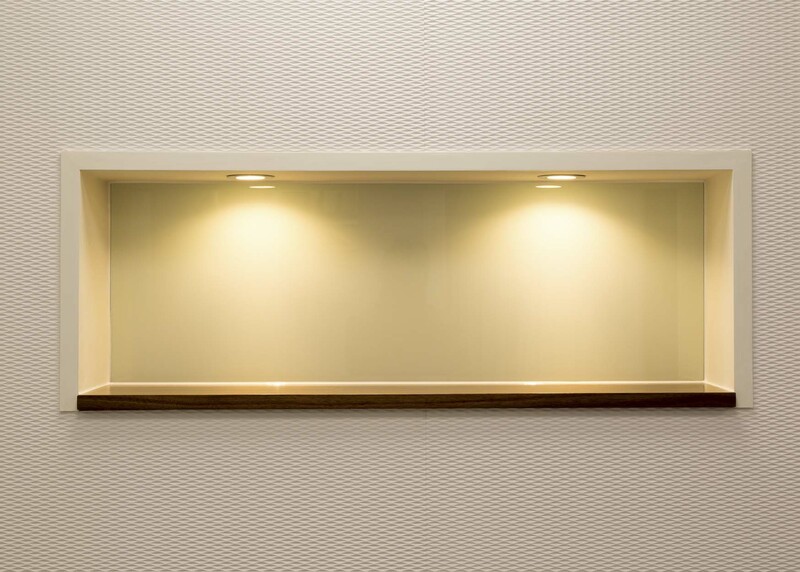 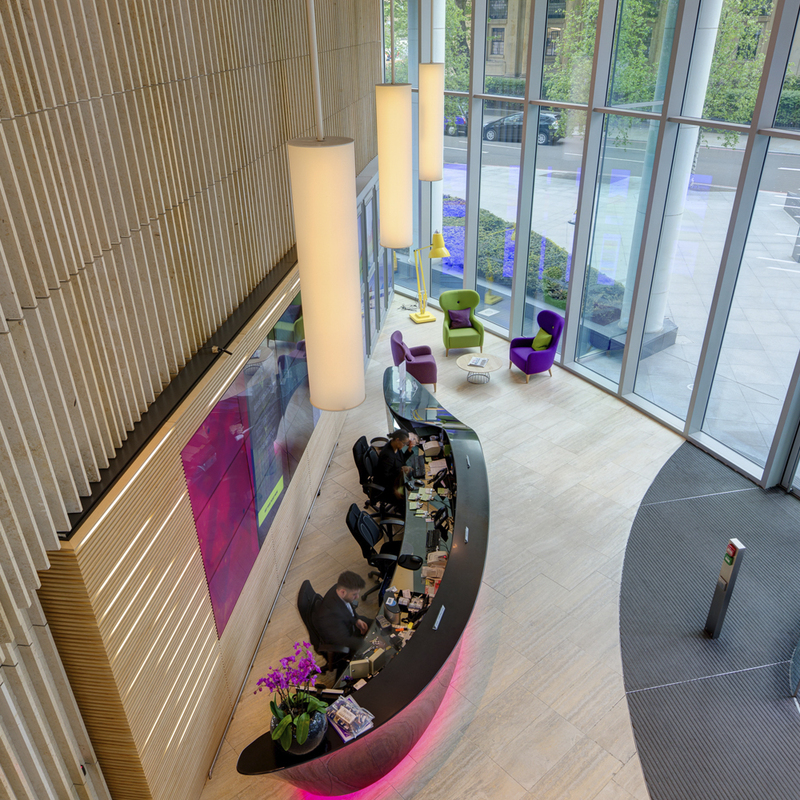 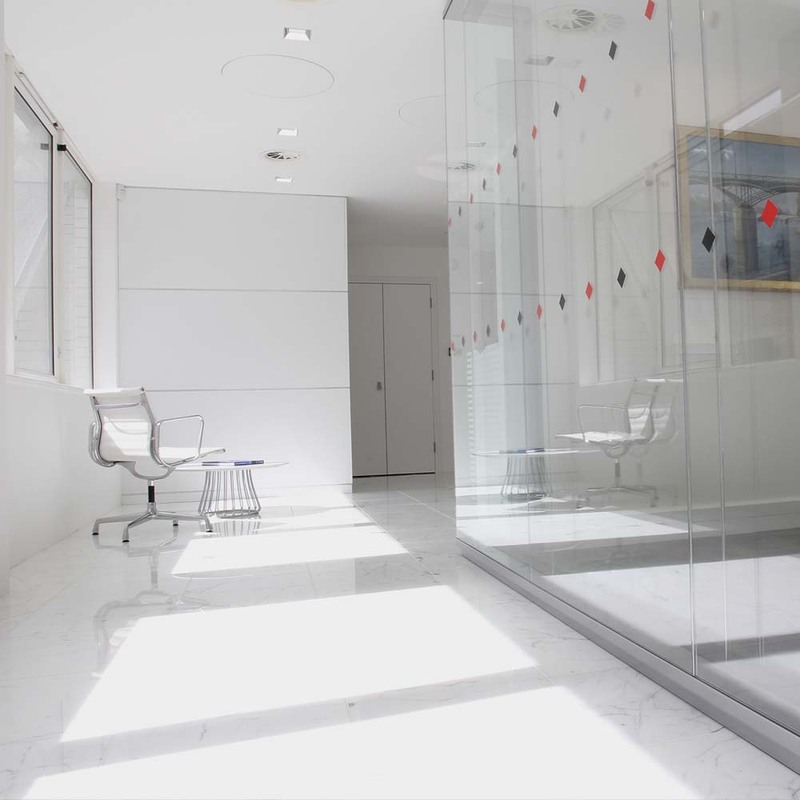 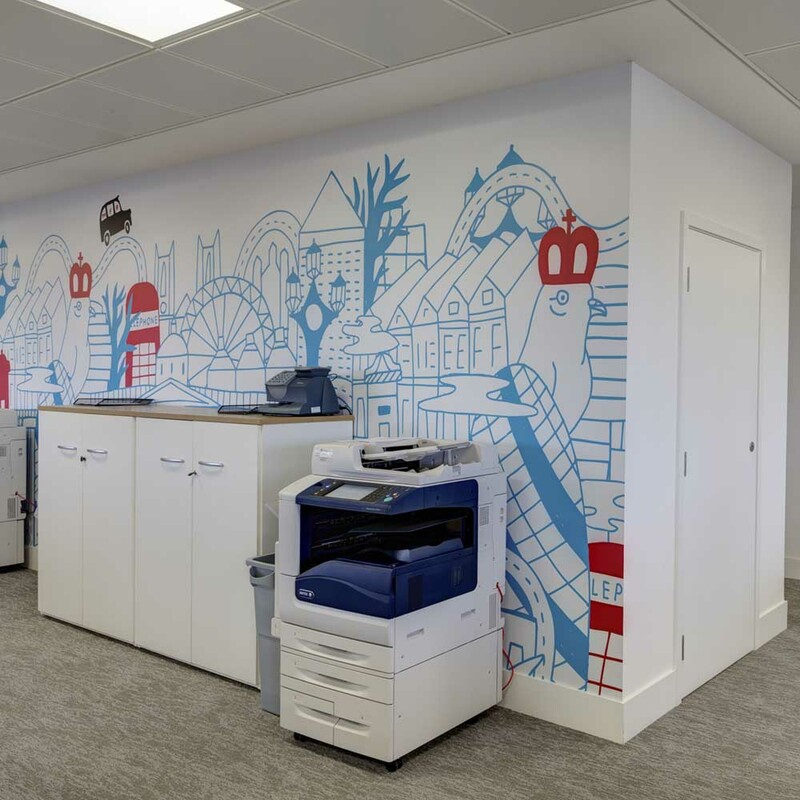 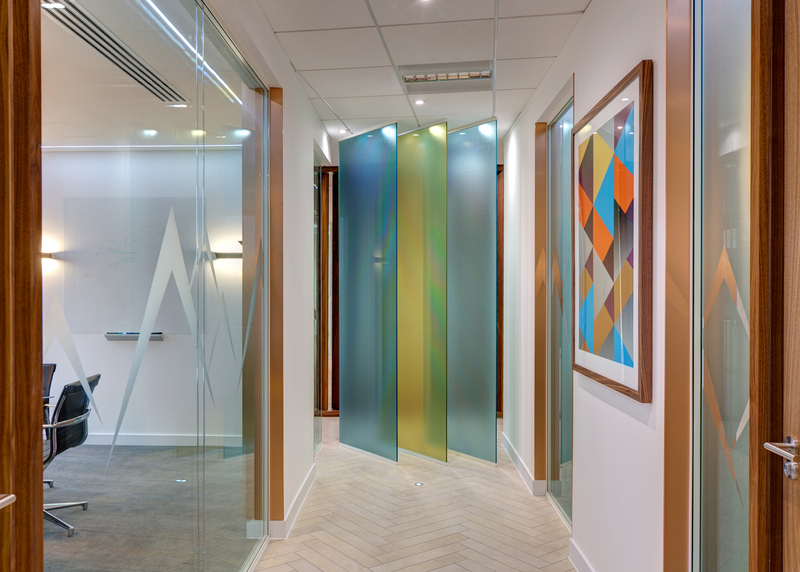 Grey Interiors were appointed by the Global media giant, Dentsu Aegis Networks, to re-design and deliver a high level specification refurbishment of their London HQ reception area. 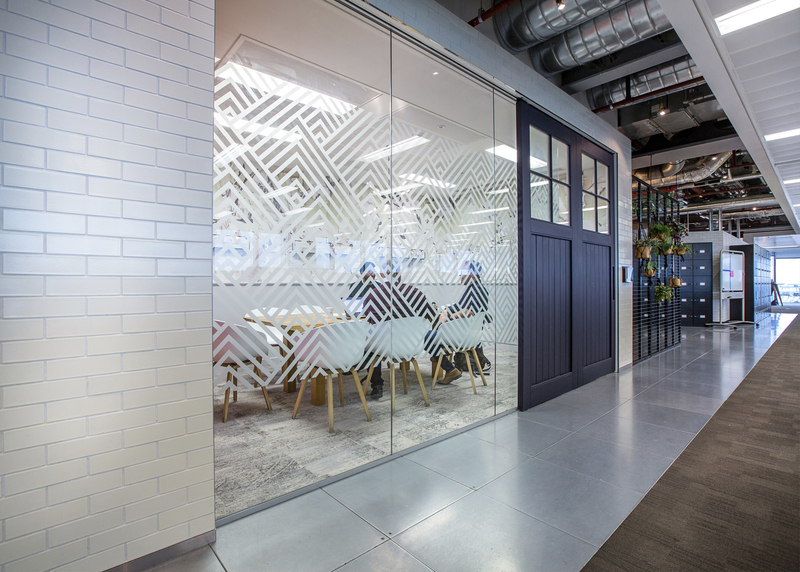 The design had to reflect their position as one worlds leading digital media agencies. 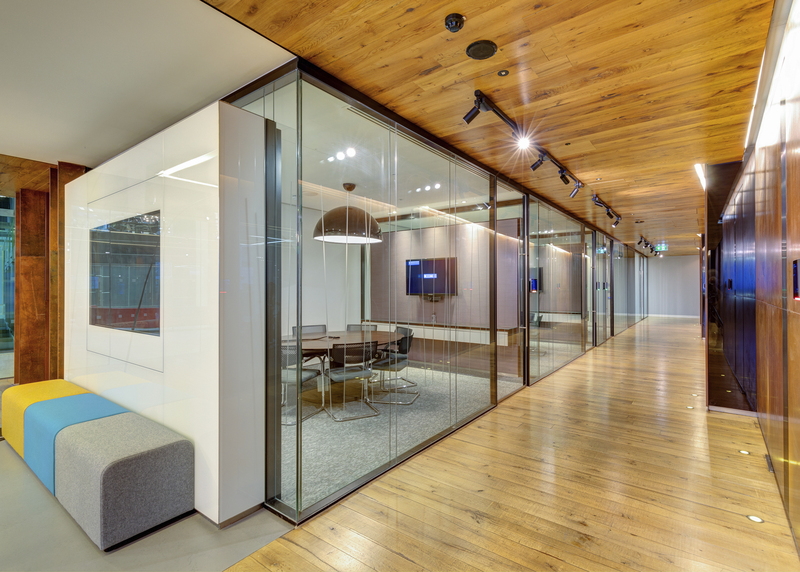 The project was carried in a phased approach while in occupation with minimum disruption to DAN’s daily business operation. 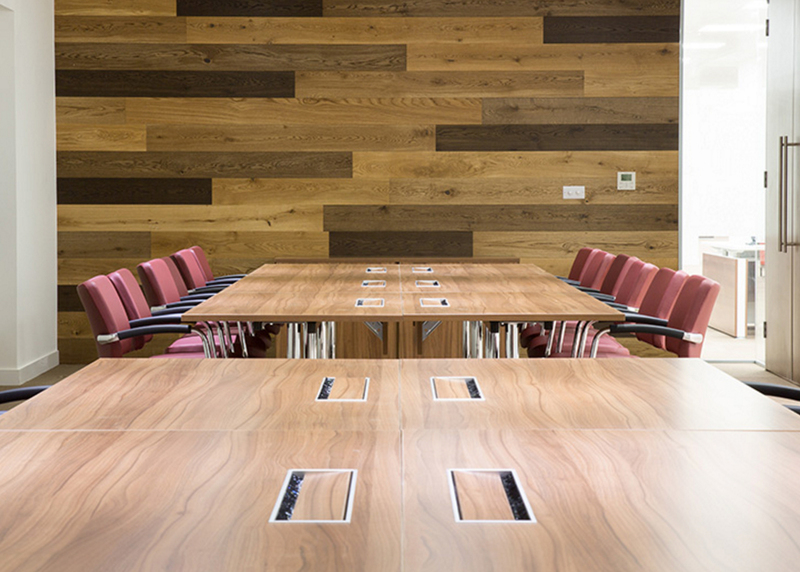 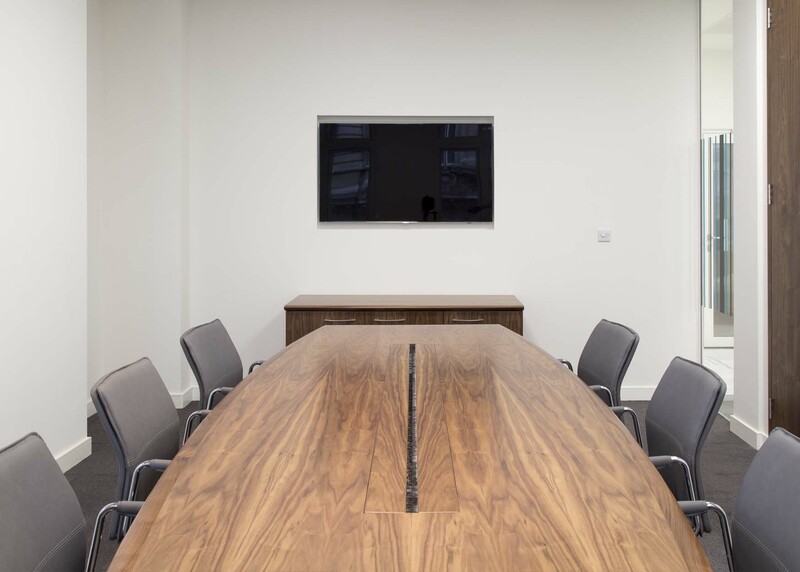 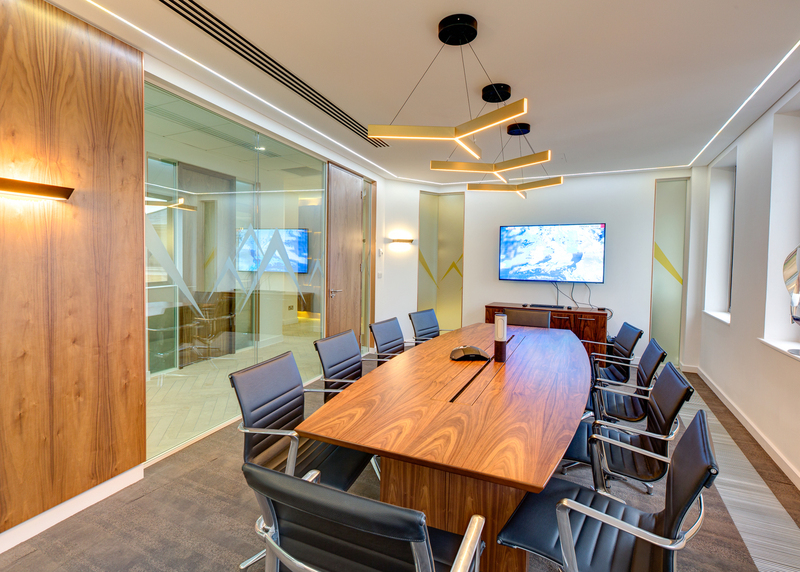 The high level design specification included feature bespoke joinery and furniture, feature flooring, feature walls, feature panelling, feature branding installation and state of the art Audio visual supply and installation. 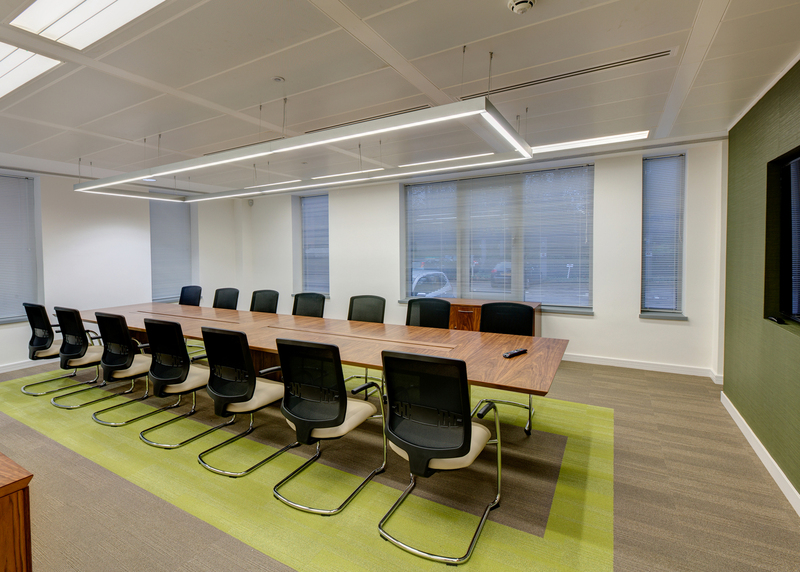 Interior fit-out, high end specification design with glazed partitioning, bespoke joinery, feature flooring, feature wall panelling, feature wall finishes, AV supply, power and data infrastructure, general furniture supply and move management. 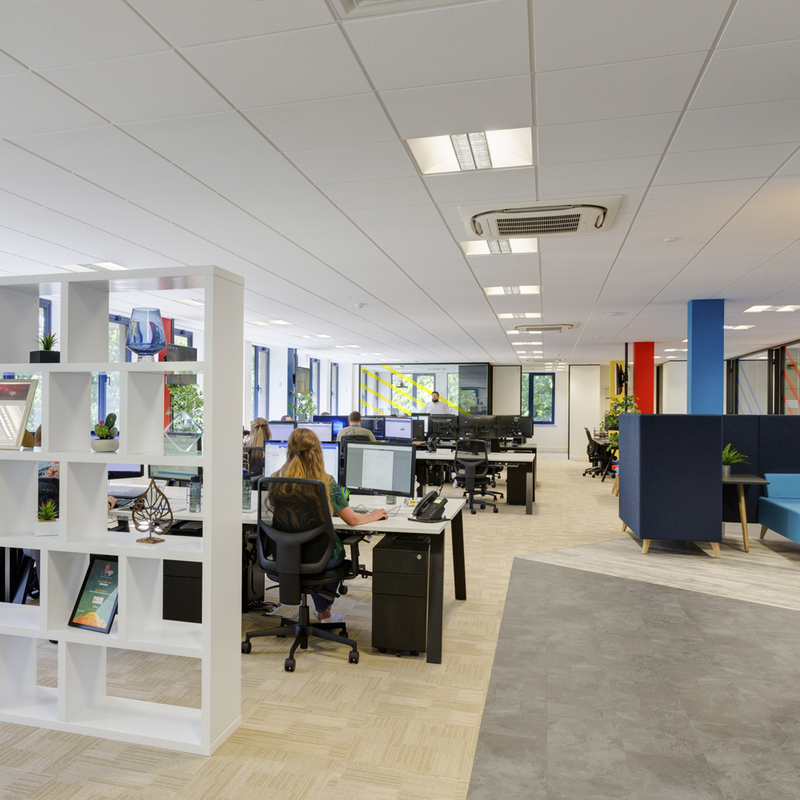 Grey were appointed by Fespa to deliver their new HQ office in Dorking. 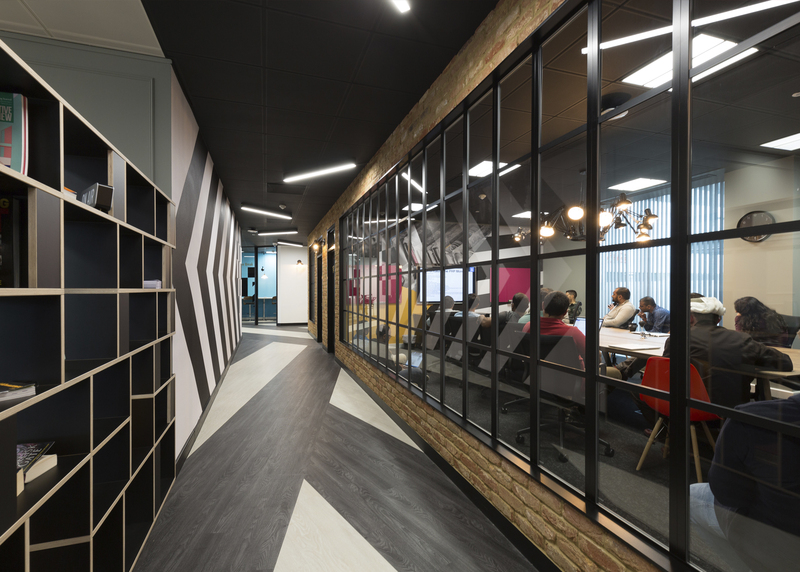 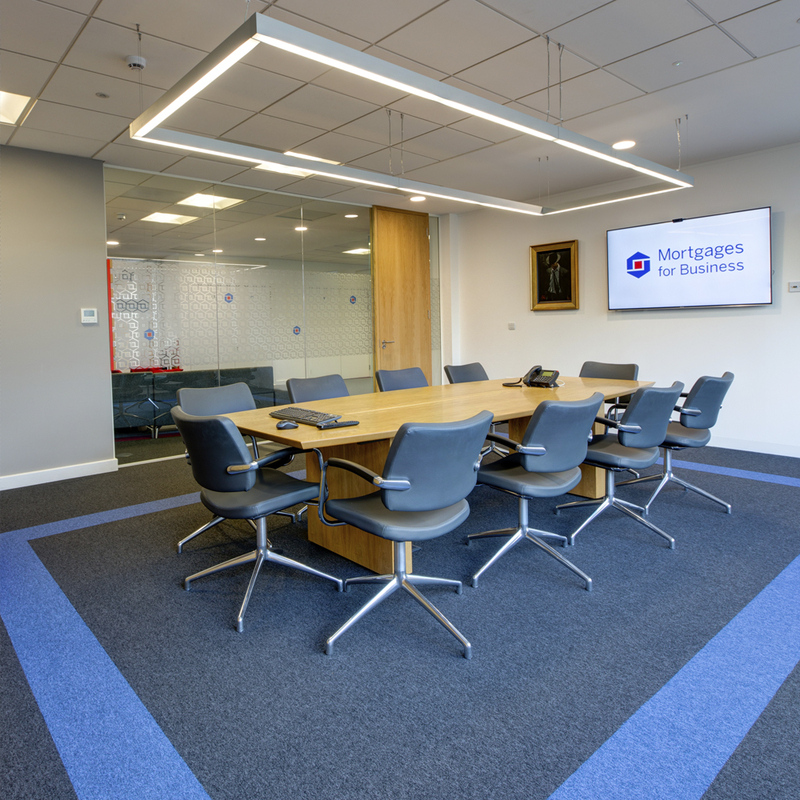 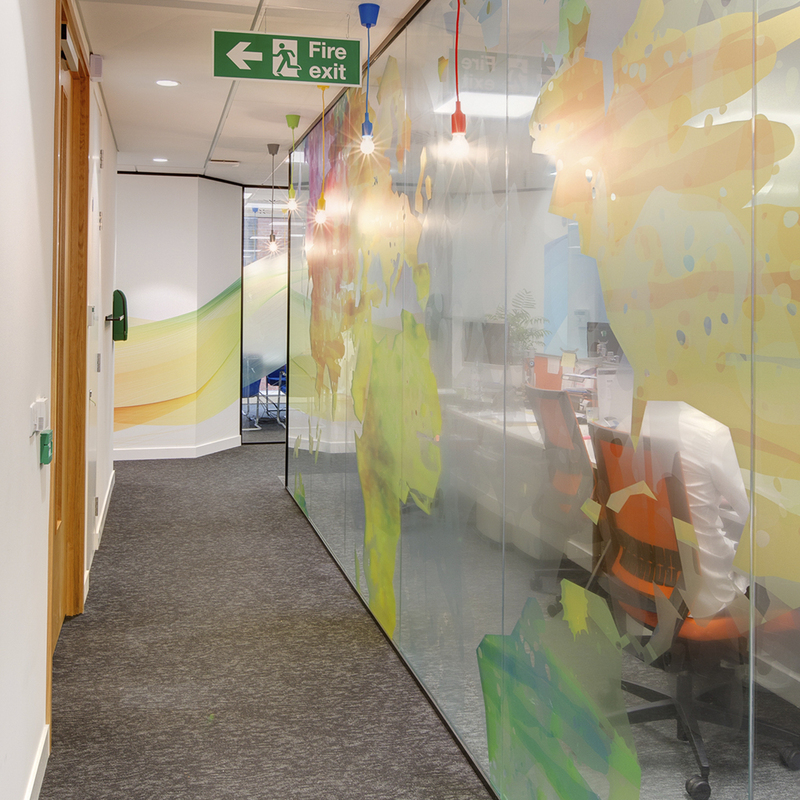 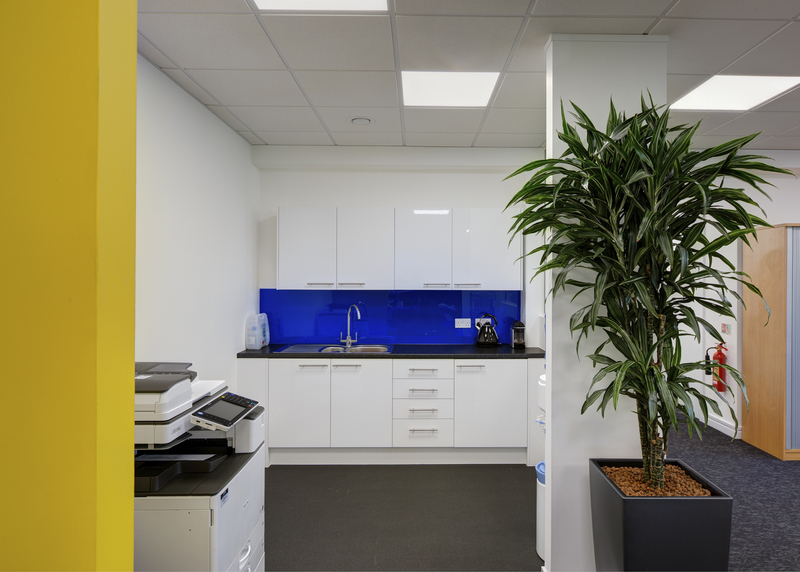 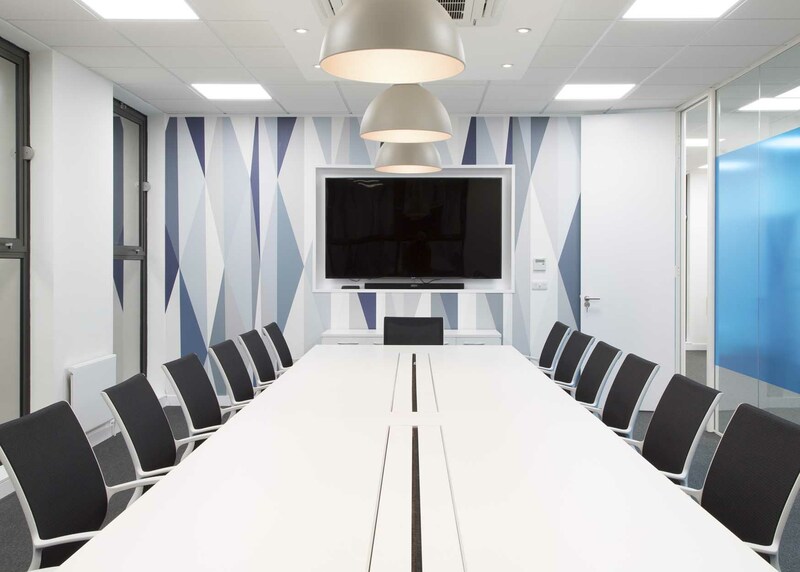 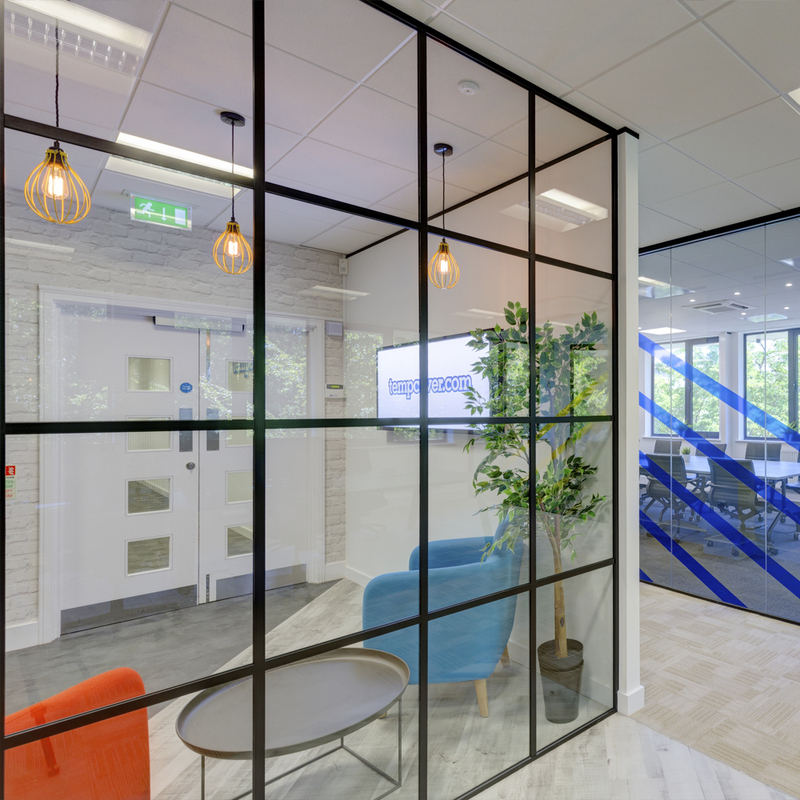 The Interior fit-out was medium specification design with glazed partitioning, bespoke joinery, feature flooring, feature wall graphics, AV supply, power and data infrastructure, general furniture supply and move management. 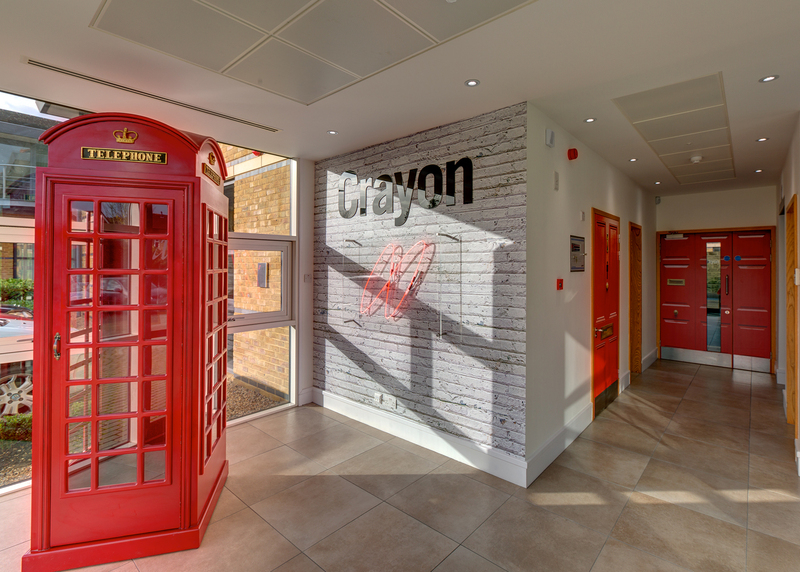 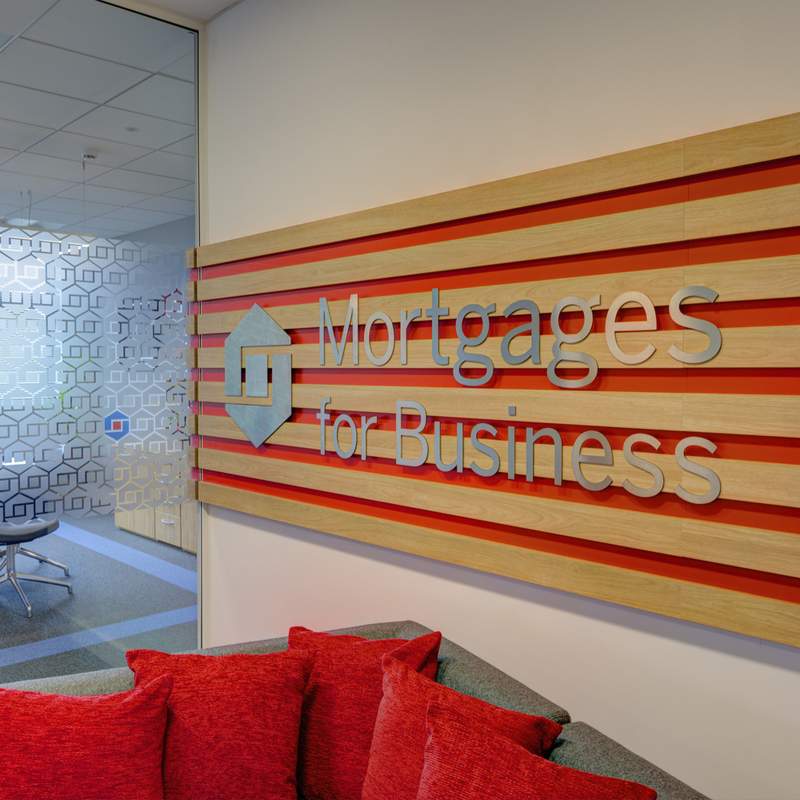 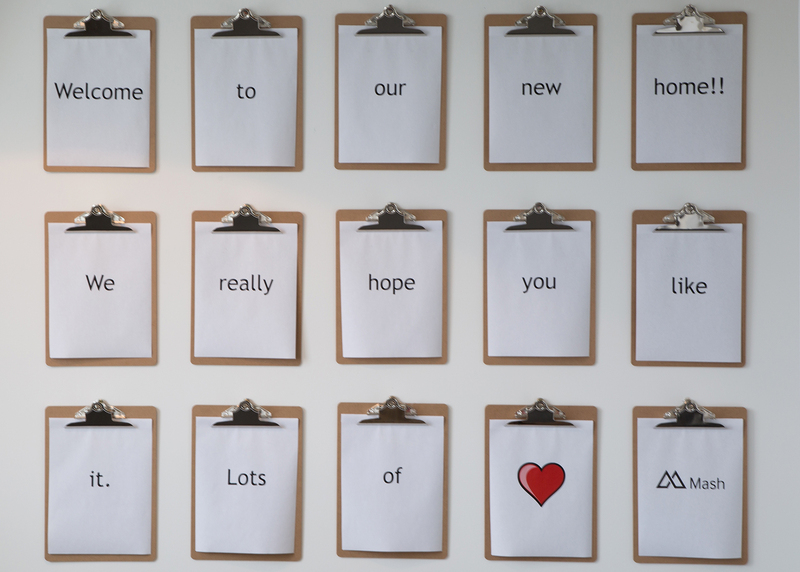 Grey were appointed by Mortgages for Business to deliver their new HQ office in West Malling. 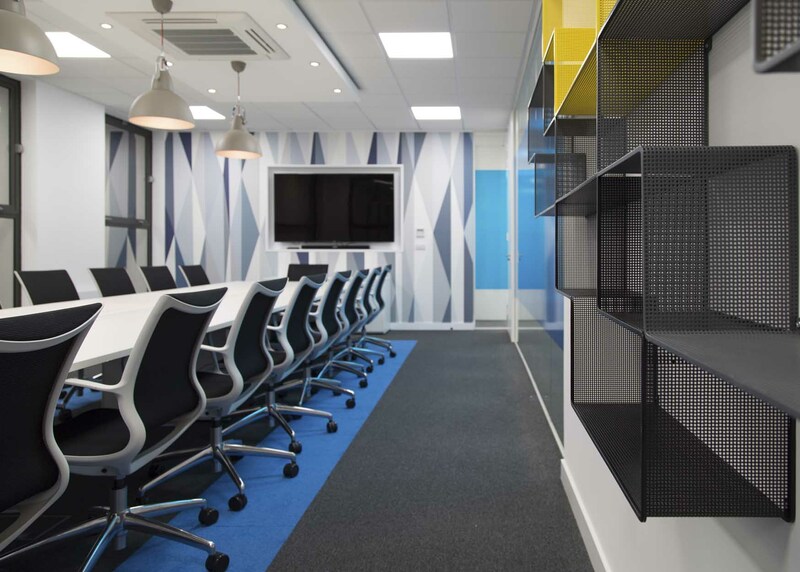 The Interior fit-out was medium specification design with glazed partitioning, bespoke joinery, feature flooring, feature wall graphics, AV supply, power and data infrastructure, general furniture supply and move management. 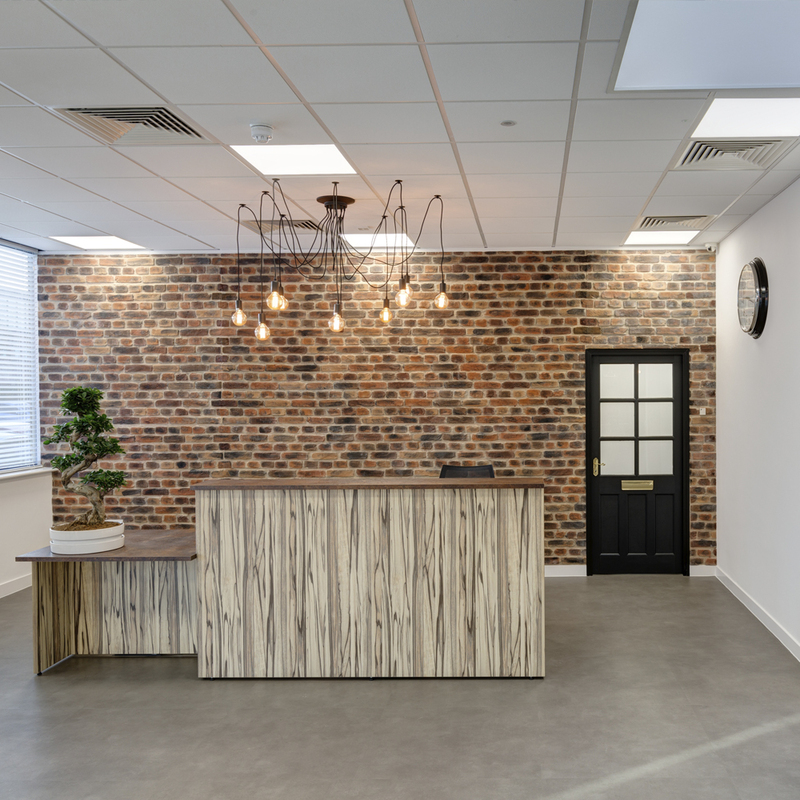 GREY were appointed to fit out two floors of this boutique office space for Madison Sports Group / Six Day London in Poland Street. 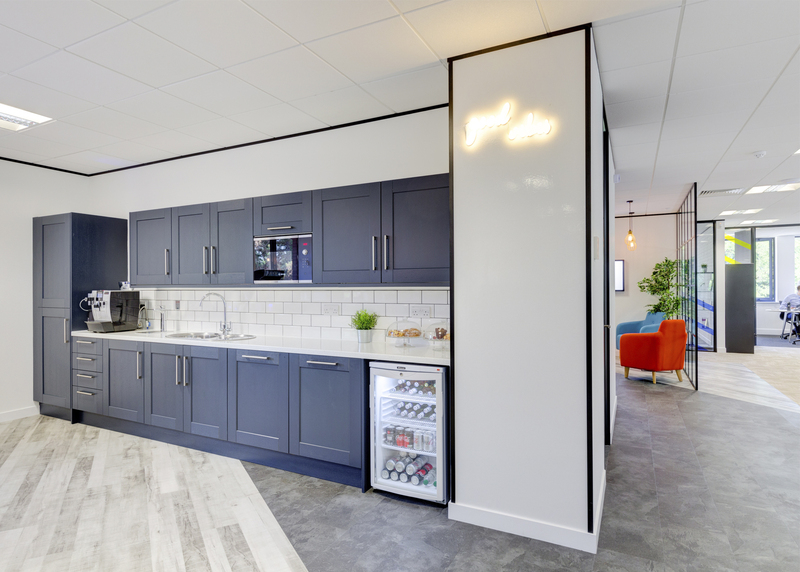 The project specification included and new teapoint, power and data installation, reconfigured AC system, new furniture thoughout, AV installation, feature lighting, feature glazed partitions and bespoke joinery. 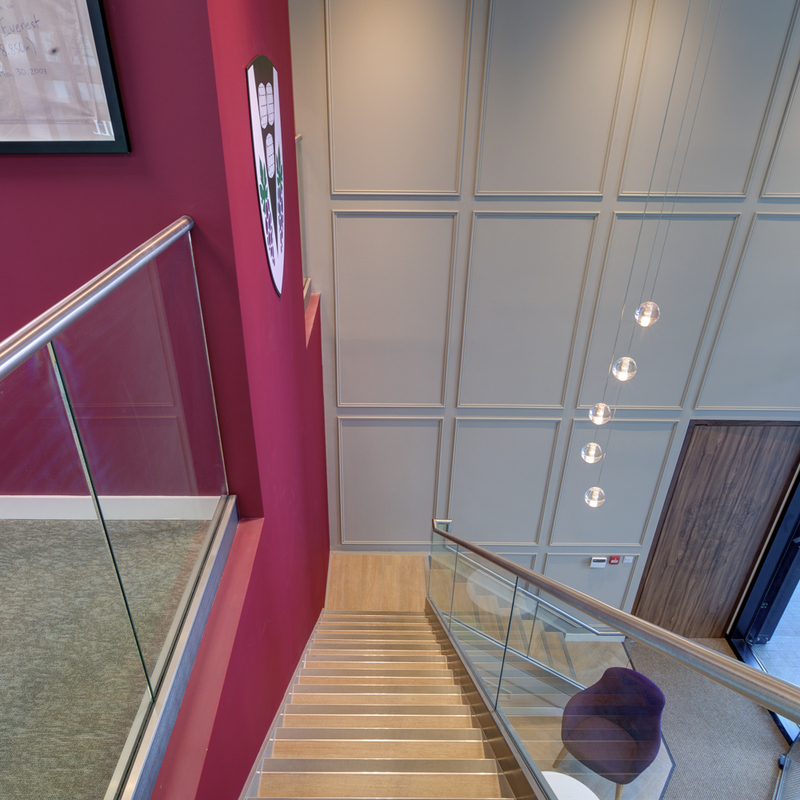 Sympathetic design features were incorporated to complement the existing character of the building. 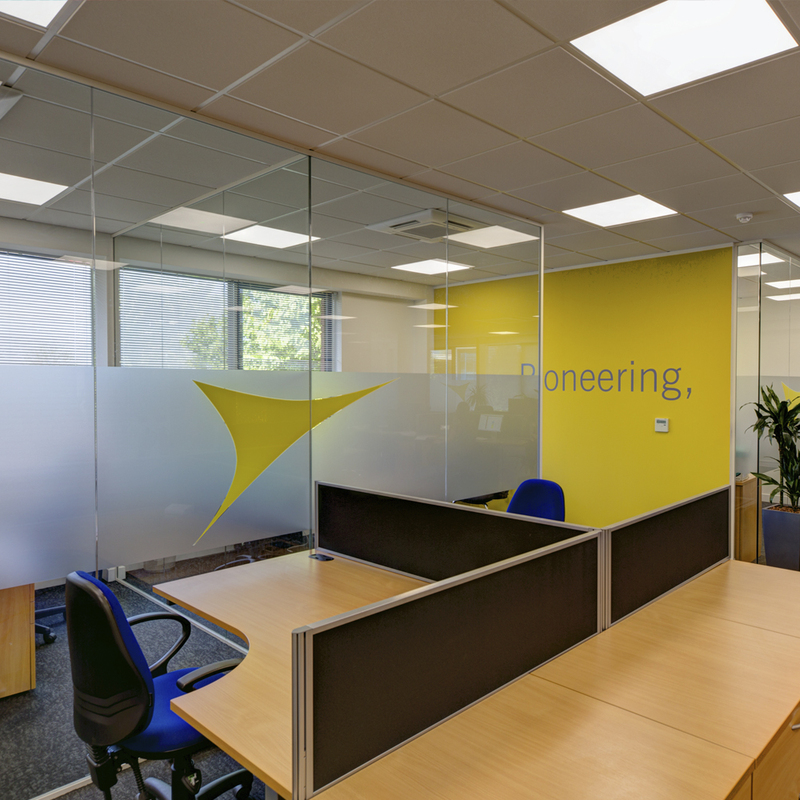 ​GREY were appointed to fit out from a bare shell and core for both CAT A and CAT B works. 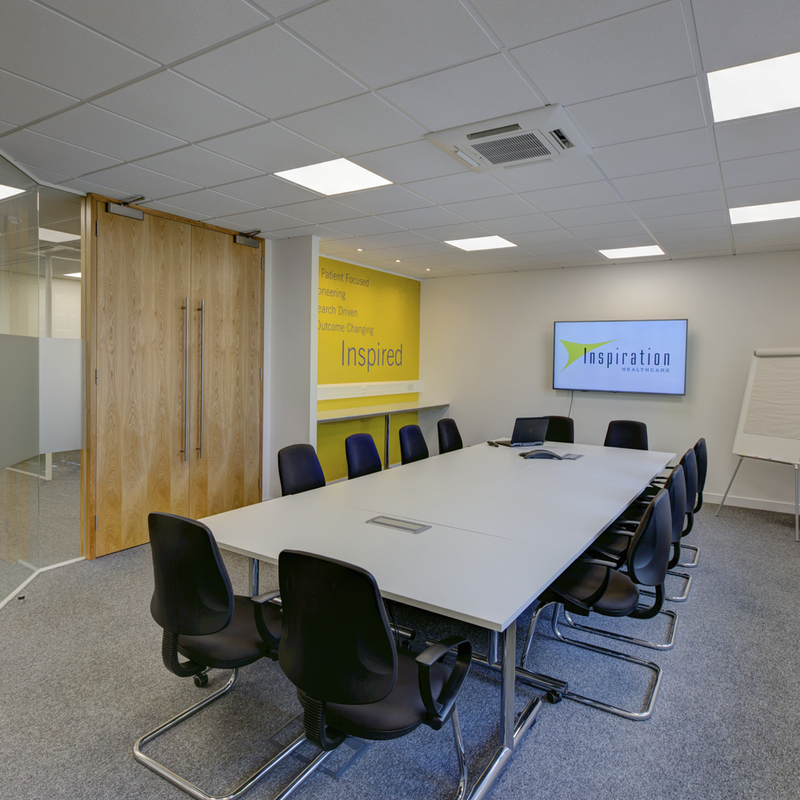 The project works included new raised access floor, new AC system, new ceilings, glazed partitions, new finishes and furniture throughout. 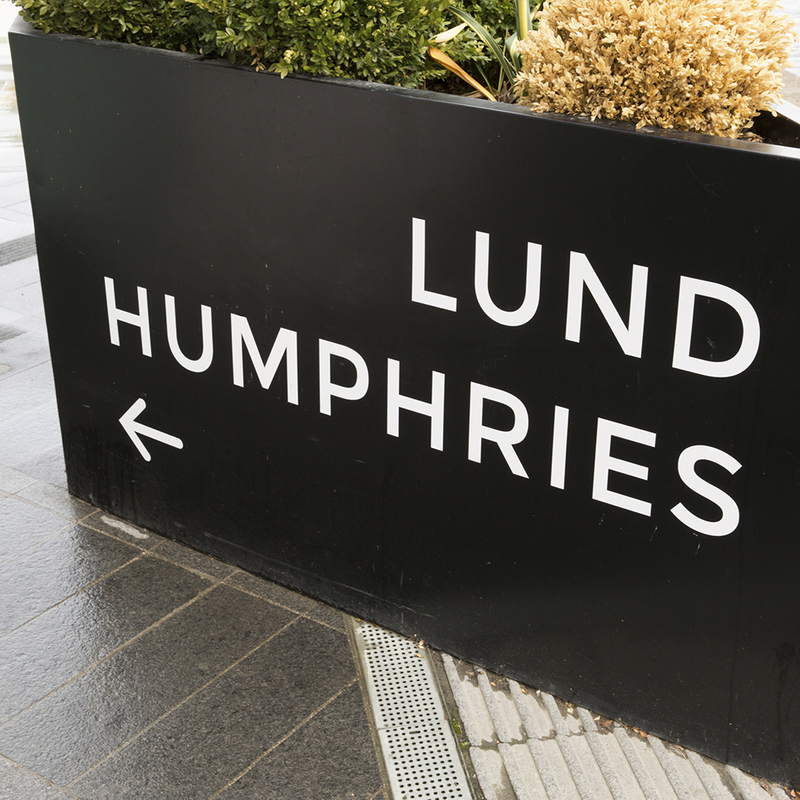 Lund Humphries publish art books, and their artwork and publications look stunning in this simple design scheme. 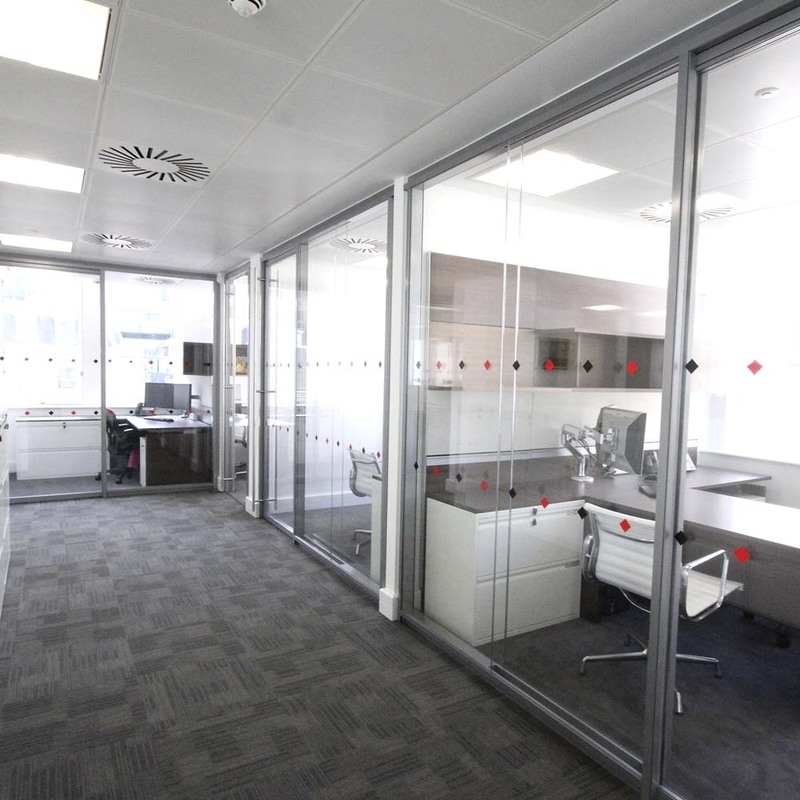 Interior fit-out, high end specification design with feature double glazed partitioning, glass sliding doors, bespoke joinery, feature flooring, bespoke breakout area, feature wall panelling, feature wall finishes, AV supply, power and data infrastructure, bespoke furniture supply, contemporary furniture supply and move management. 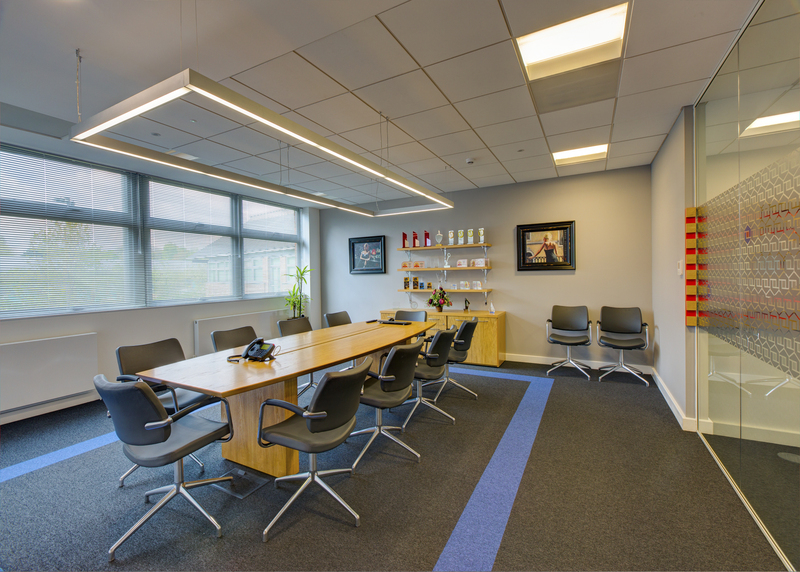 ​Interior fit-out, medium specification design with glazed partitioning, bespoke joinery, feature flooring, feature wall panelling, feature wall finishes, AV supply, power and data infrastructure, bespoke furniture supply, general furniture supply and move management. 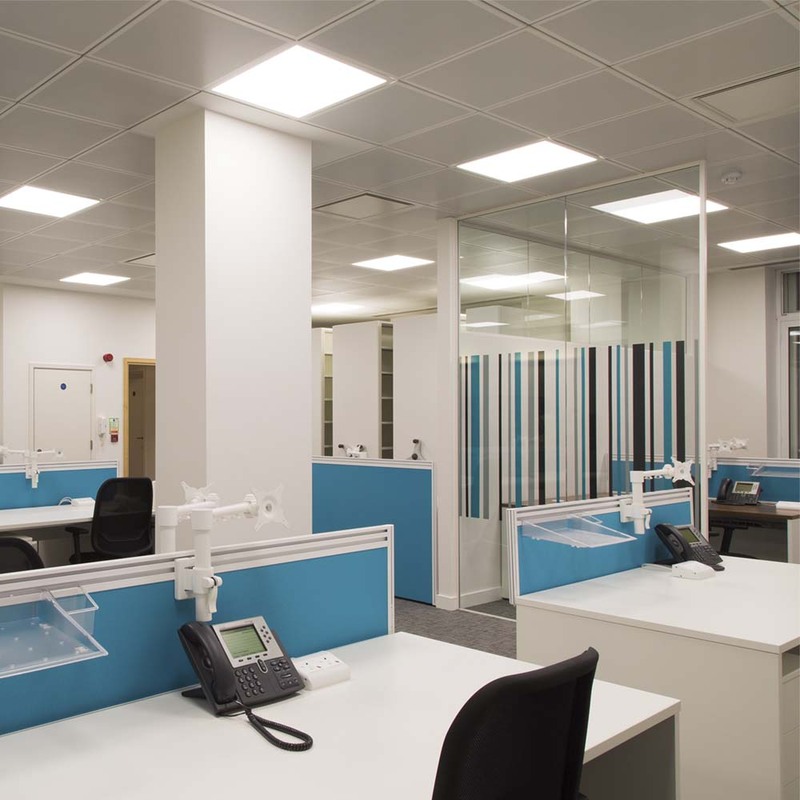 Interior fit-out, medium end specification design with glazed partitioning, bespoke joinery, feature flooring, feature wall panelling, feature wall finishes, AV supply, power and data infrastructure, general furniture supply and move management. 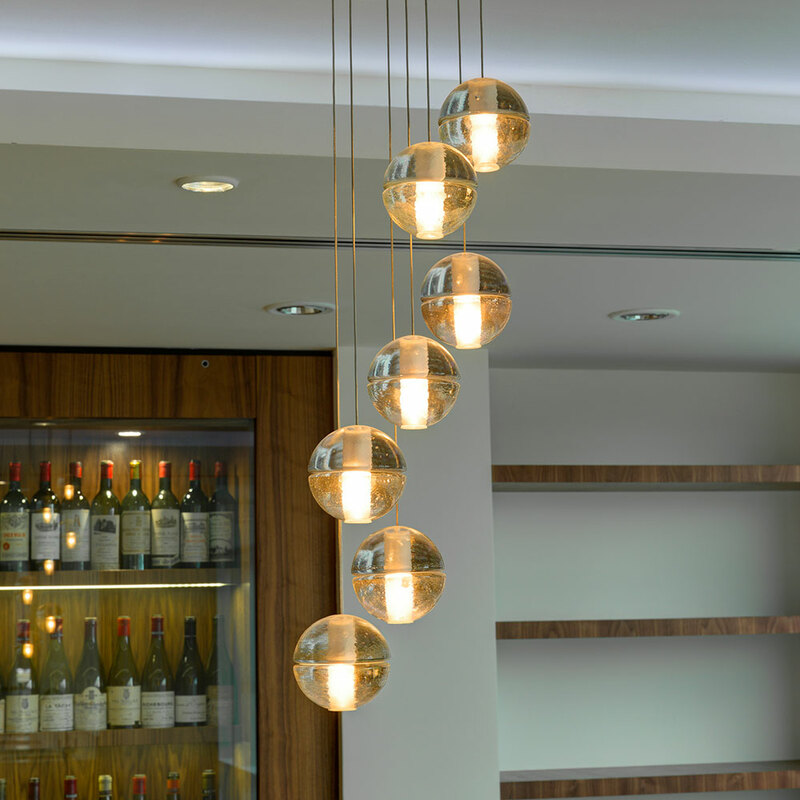 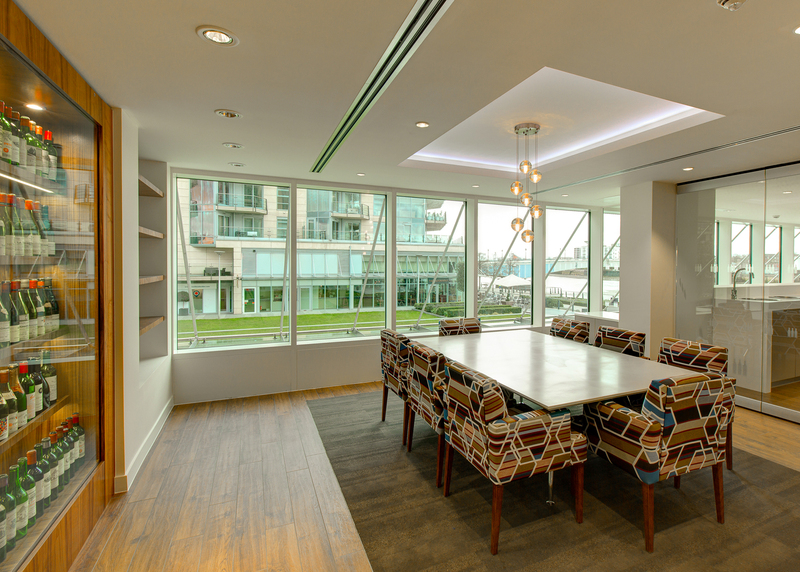 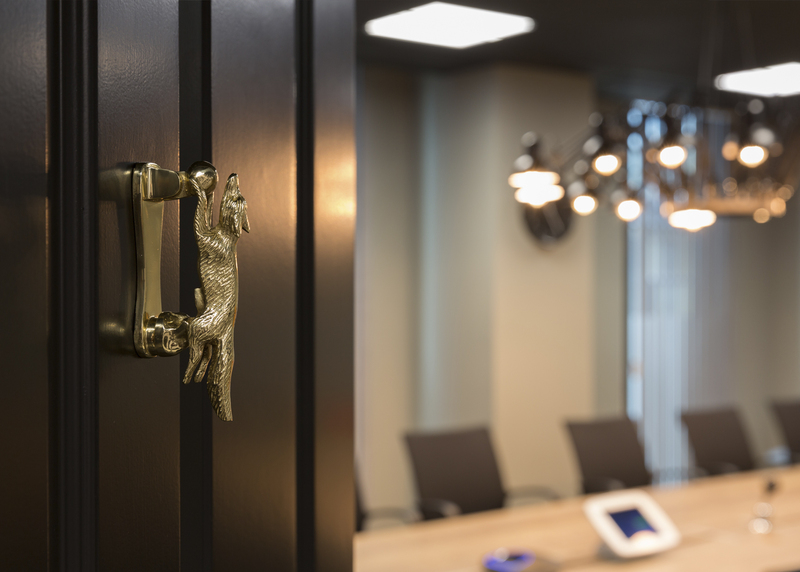 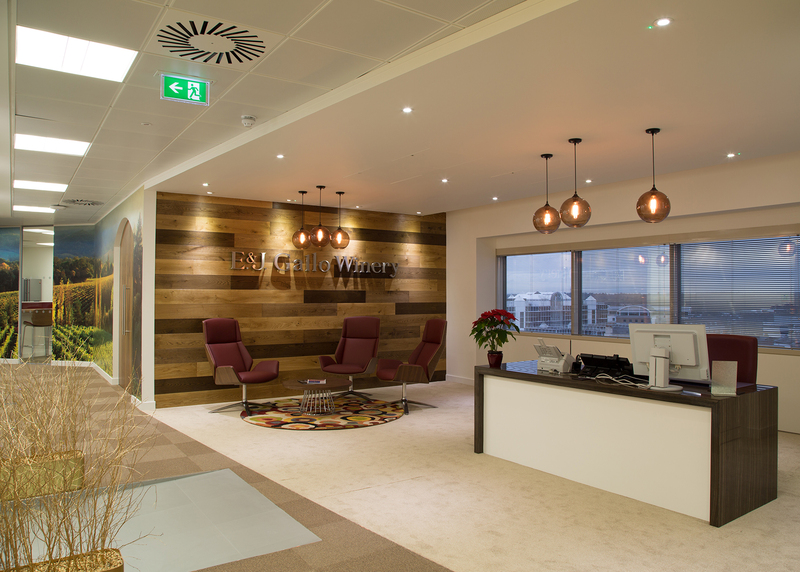 Grey Interiors were appointed by Masters of Wine to design and deliver a Medium specification CAT A and CAT B Interior fit-out for their new HQ office located within the prestigious Riverlight development in Vauxhall overlooking the Thames. 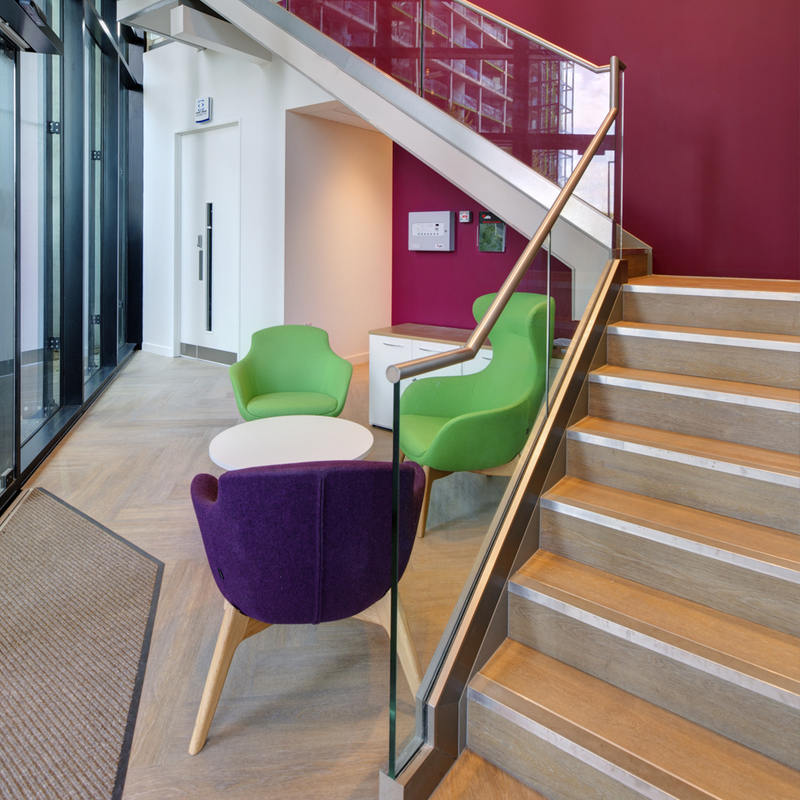 The project specification included feature bespoke joinery and furniture, feature flooring, feature walls, feature panelling, featurebranding, furniture supply, mezzanine floor installation, feature stairwells and balustrades, toilets and showers, event and hospitality space. 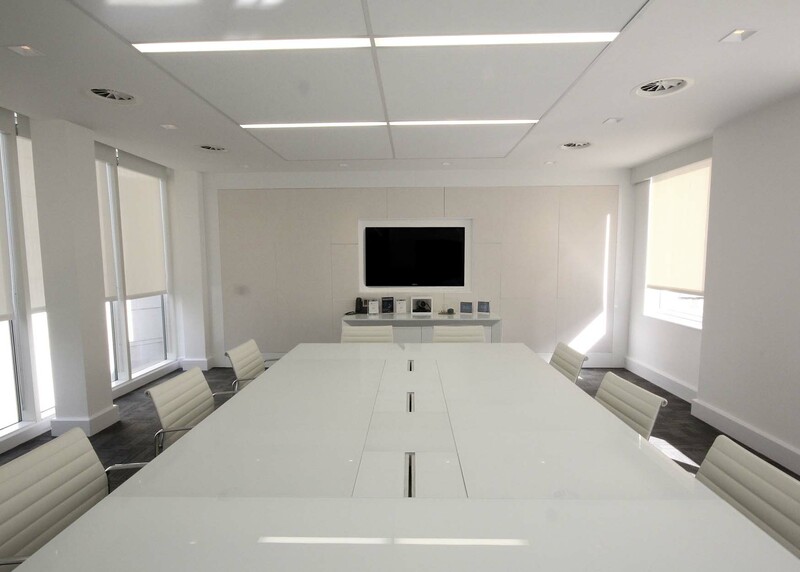 Audio visual supply and full mechanical and electrical infrastructure supply. 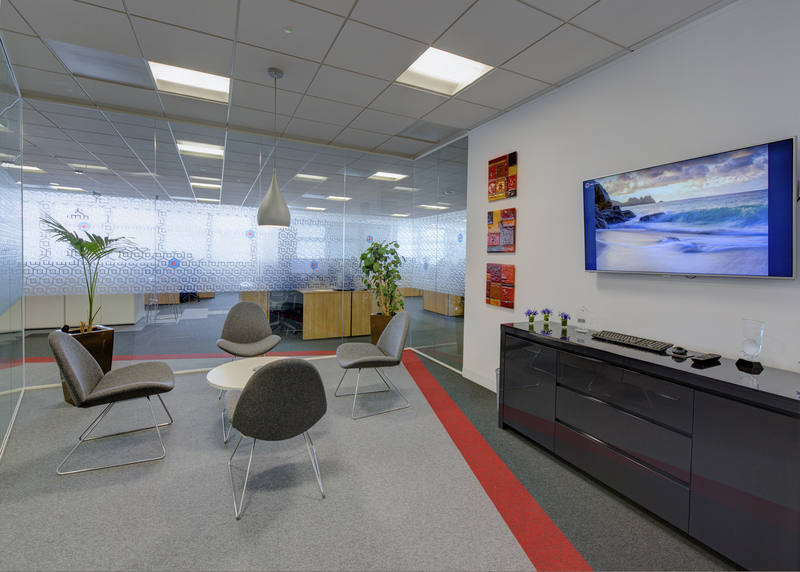 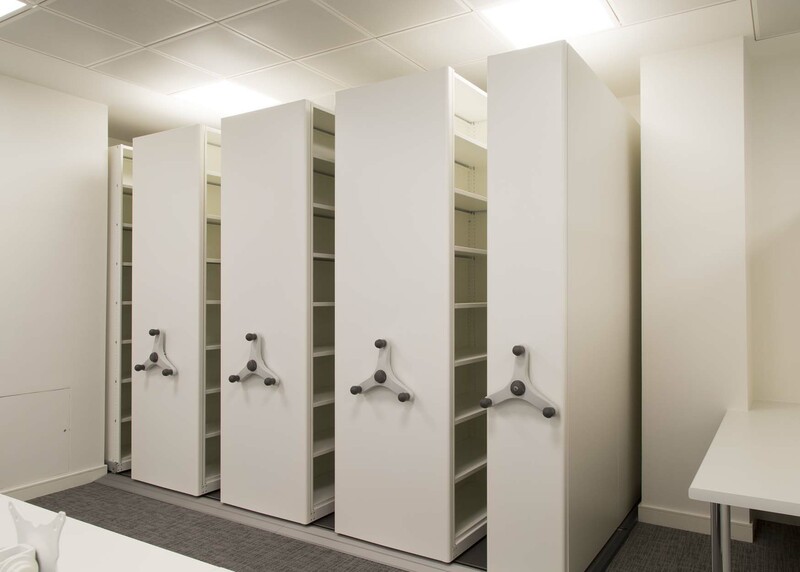 ​Interior fit-out, high end specification design with feature bespoke partitioning, bespoke doors, bespoke joinery, feature flooring, bespoke breakout area, feature wall finishes, AV supply, power and data infrastructure, bespoke furniture supply, contemporary furniture supply and move management. 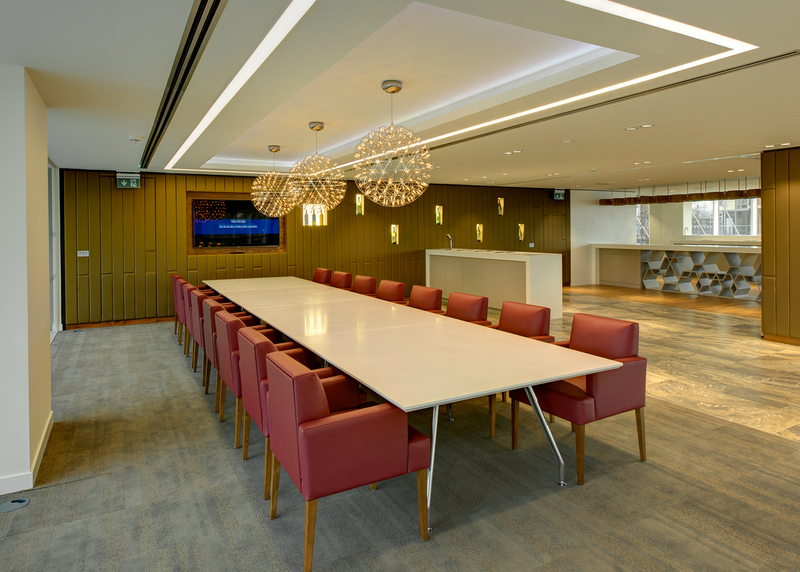 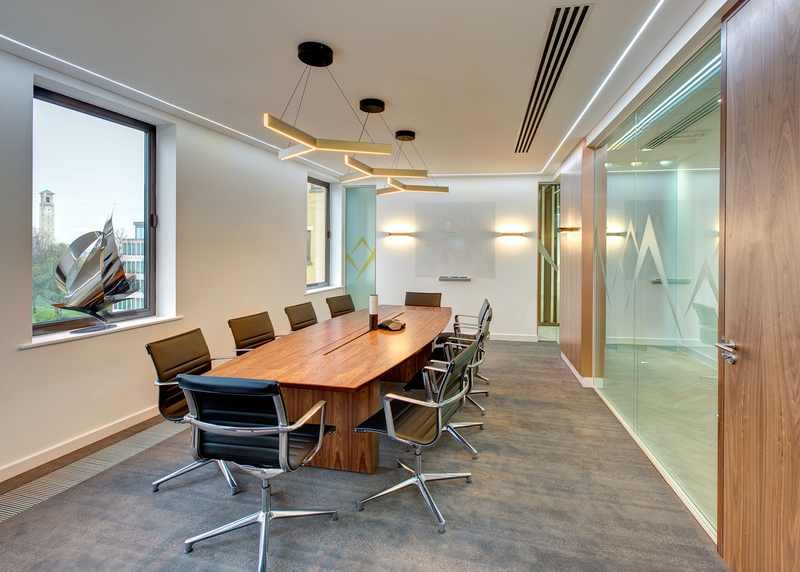 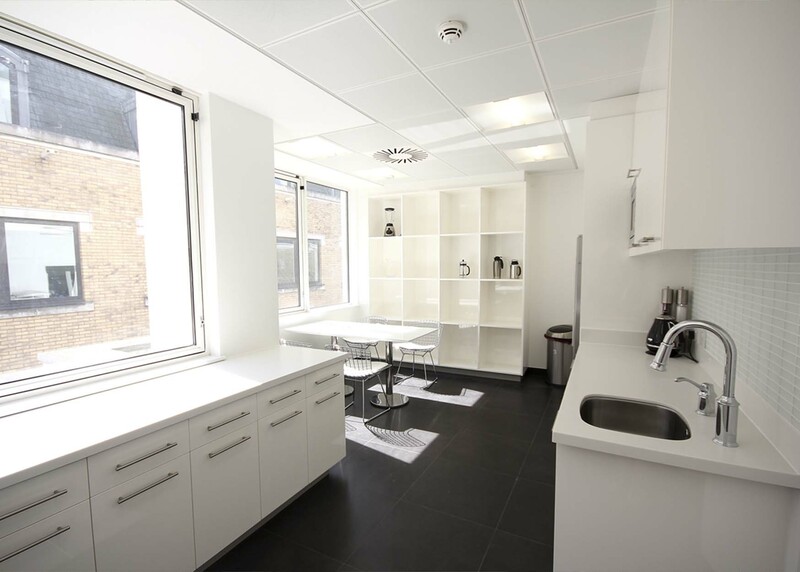 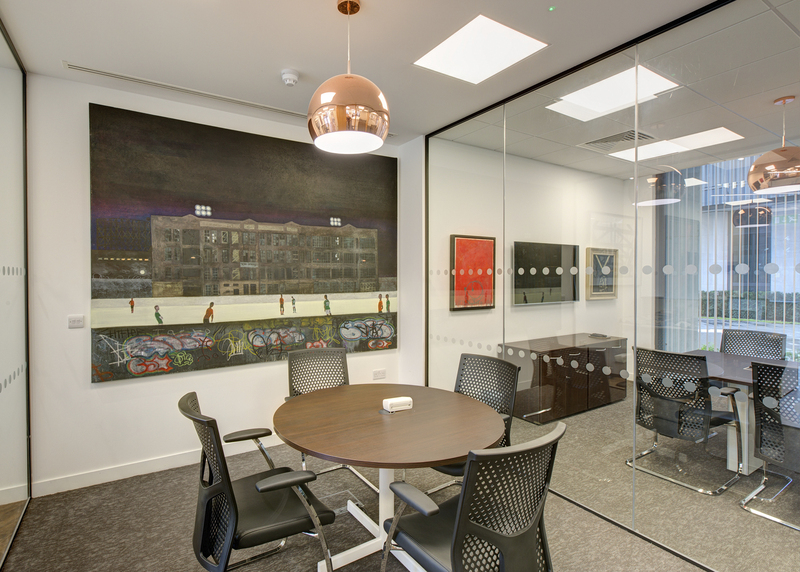 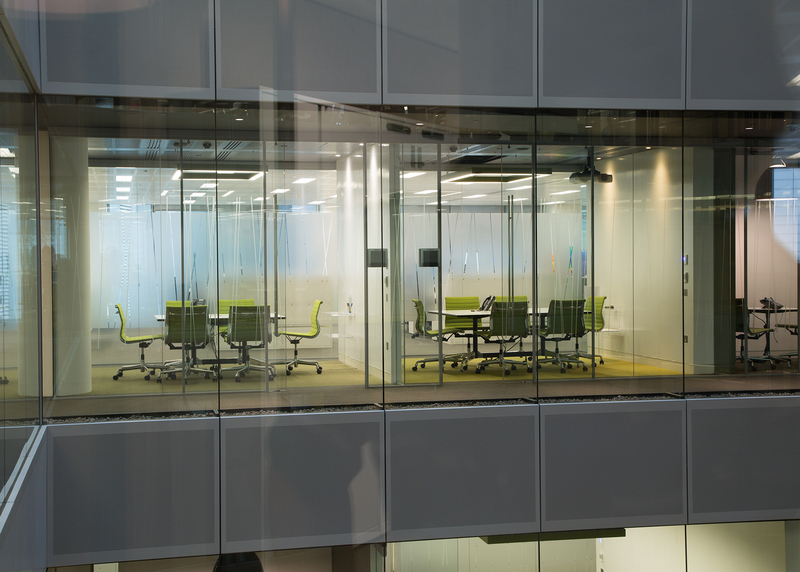 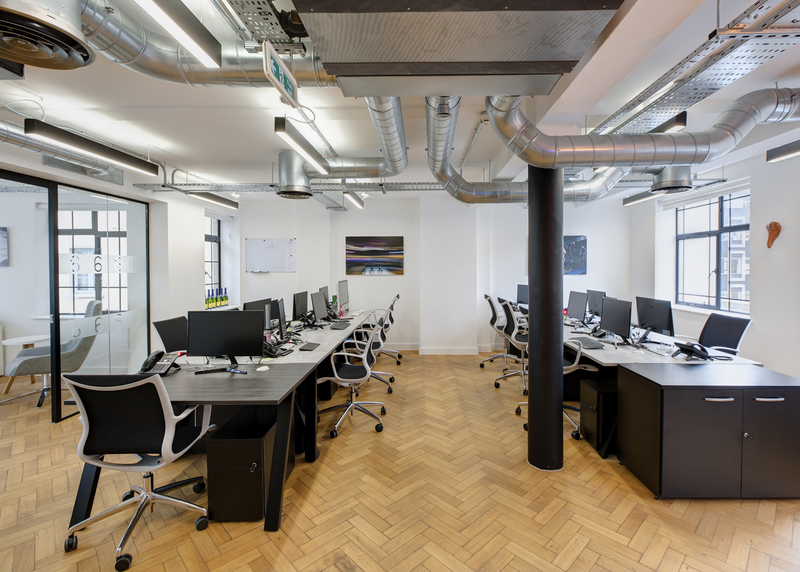 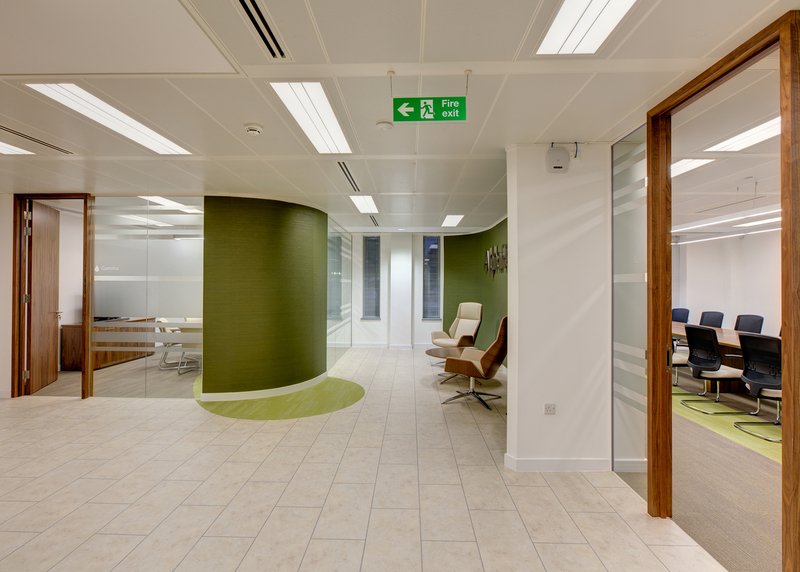 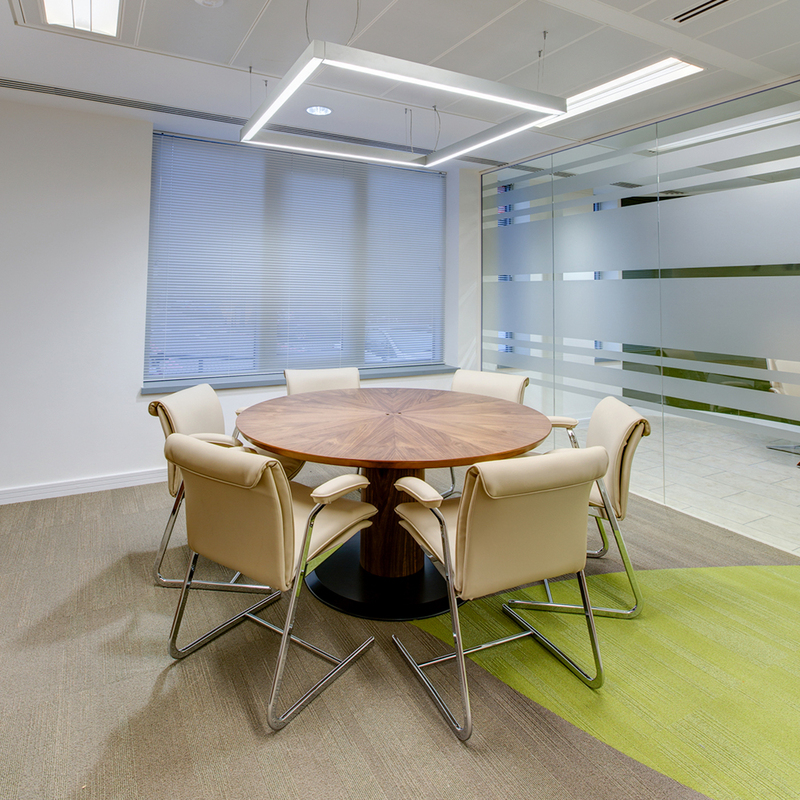 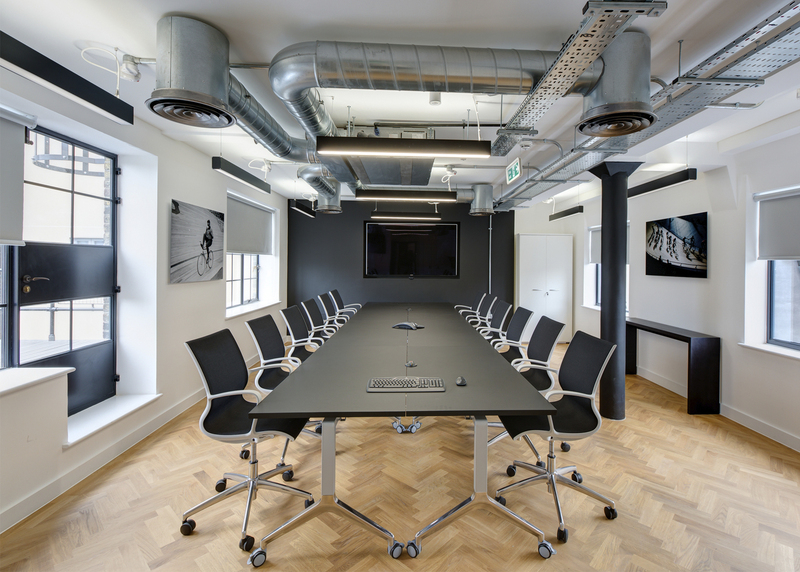 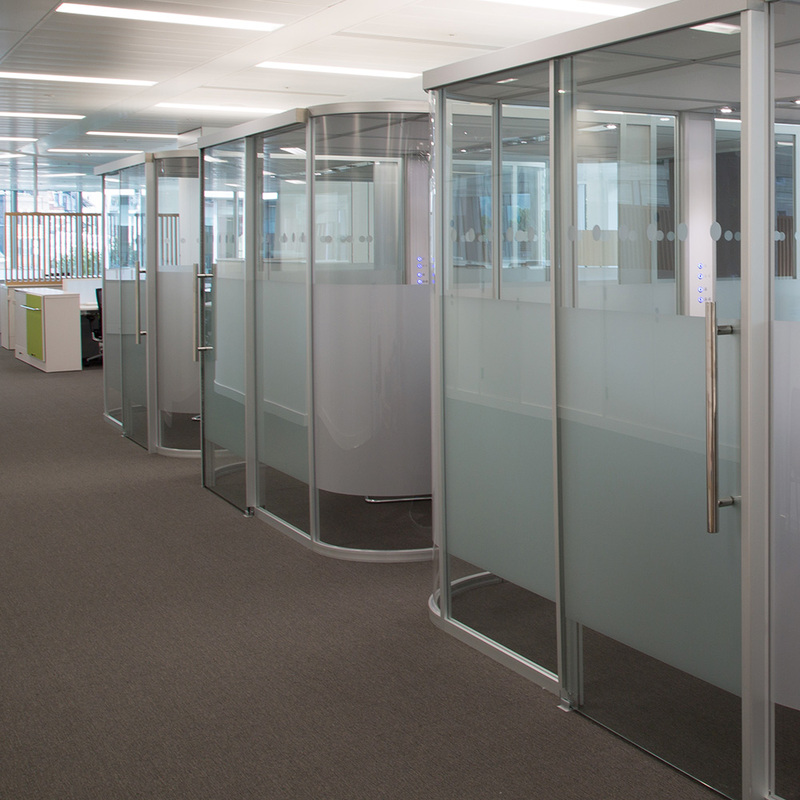 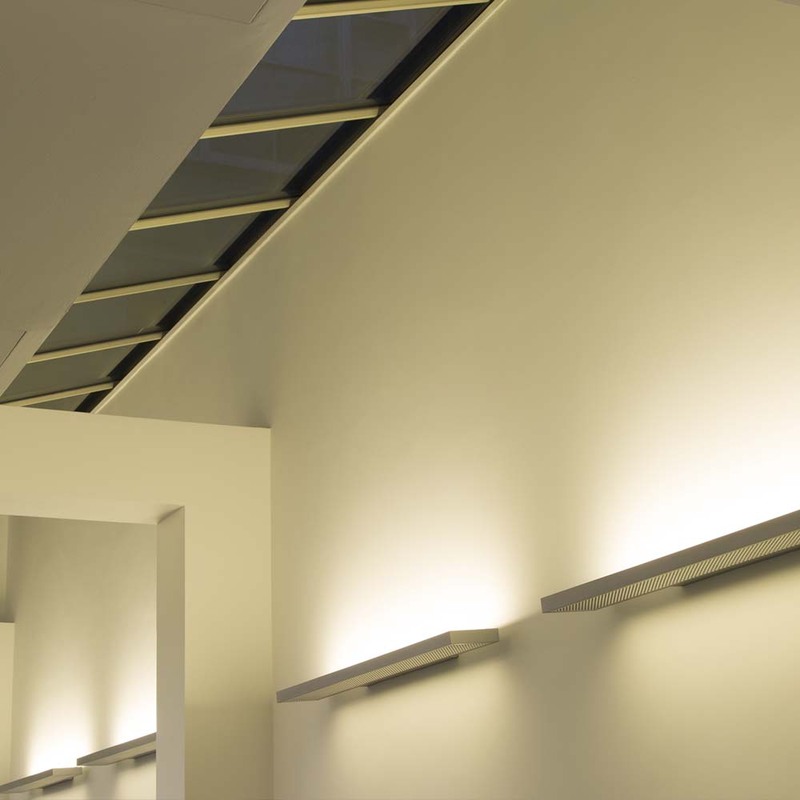 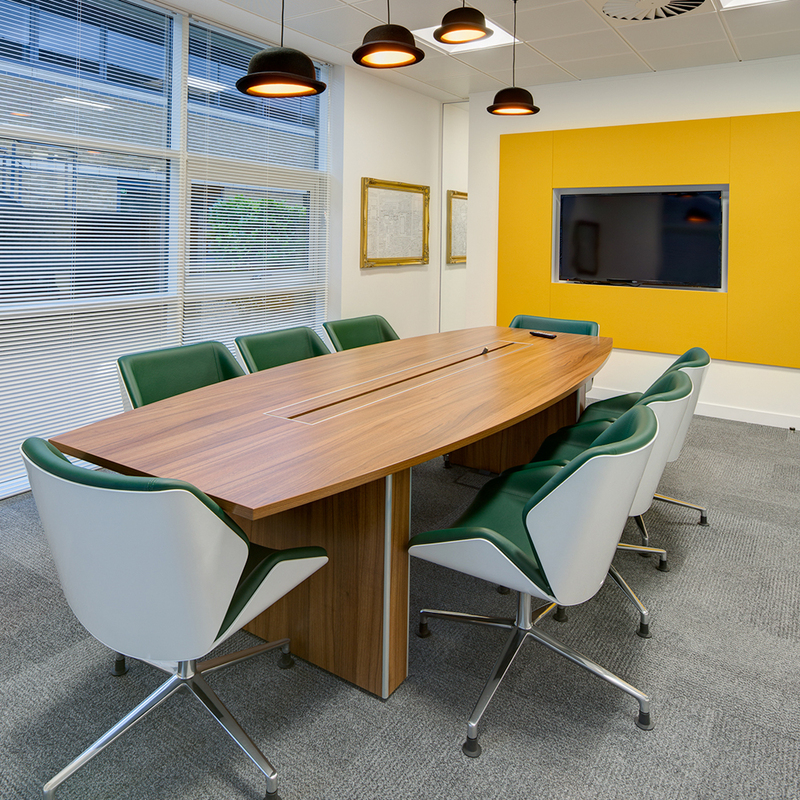 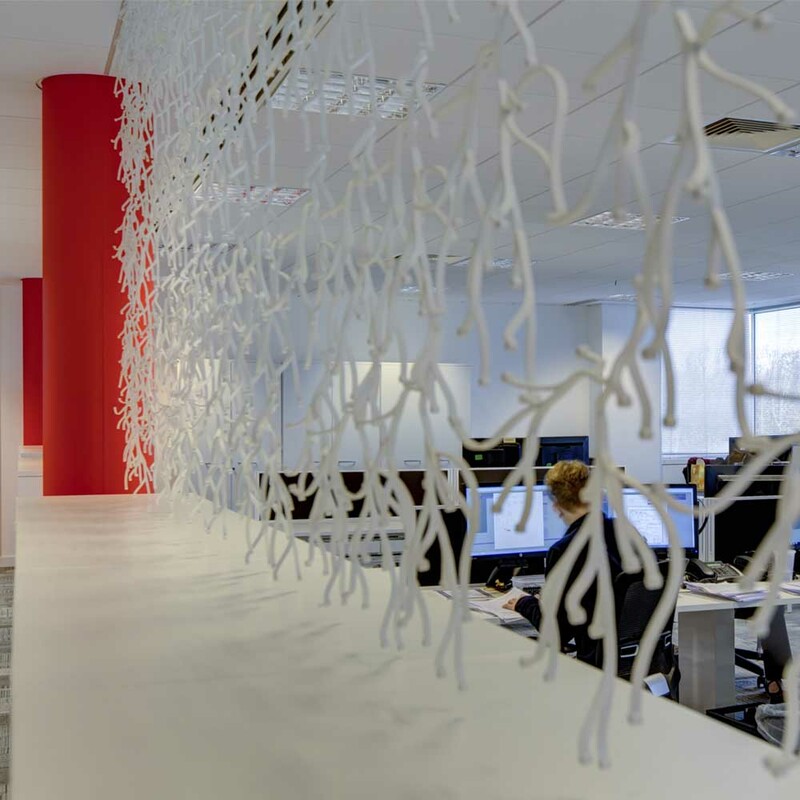 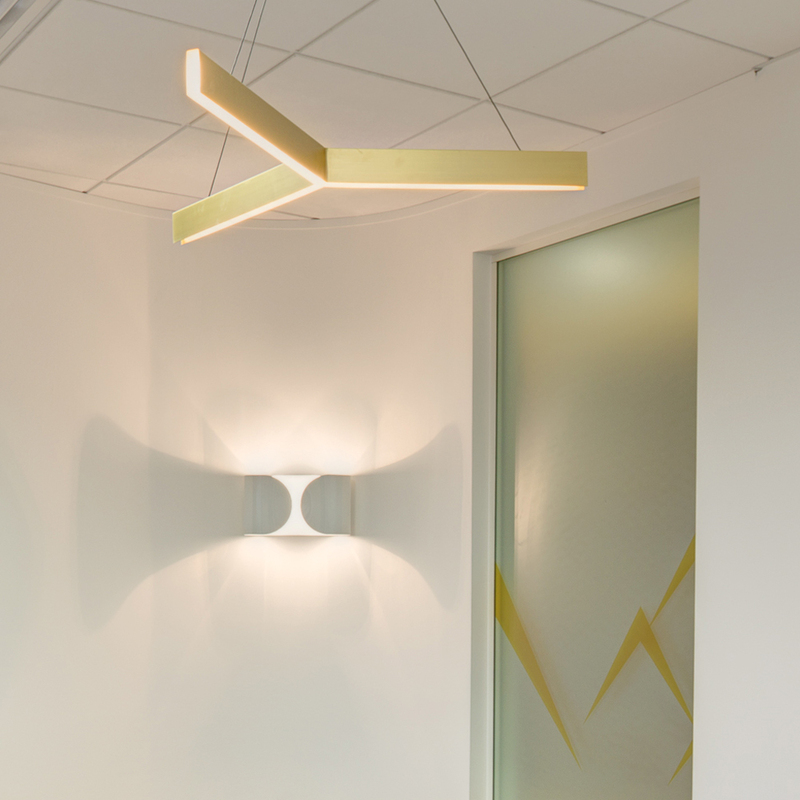 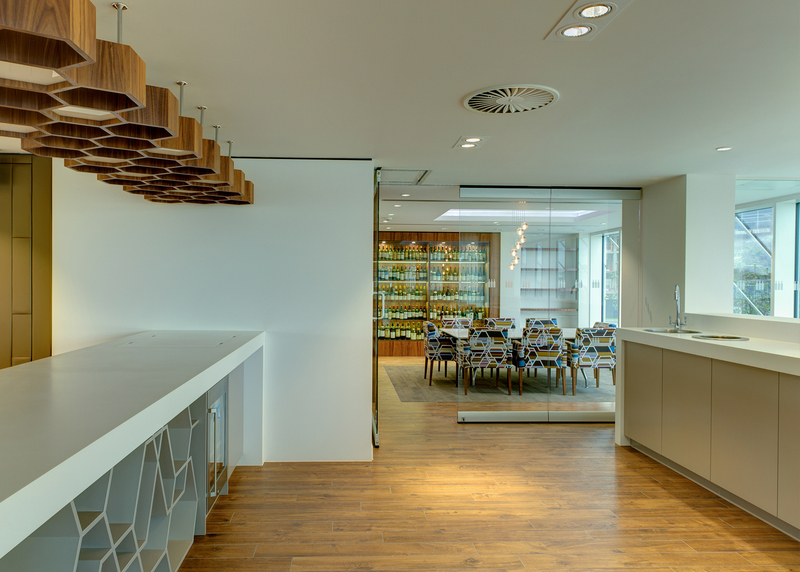 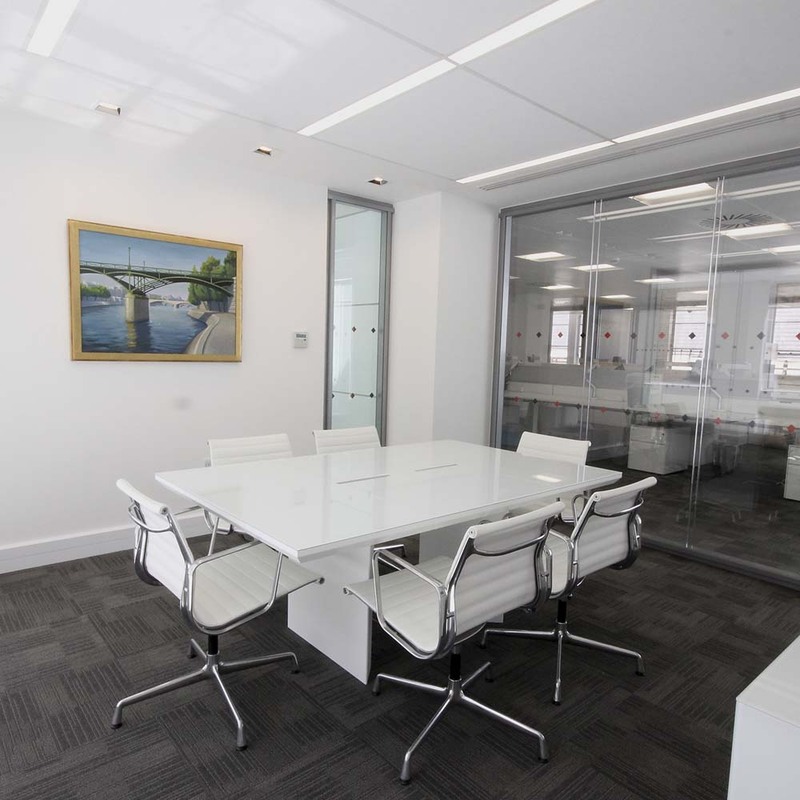 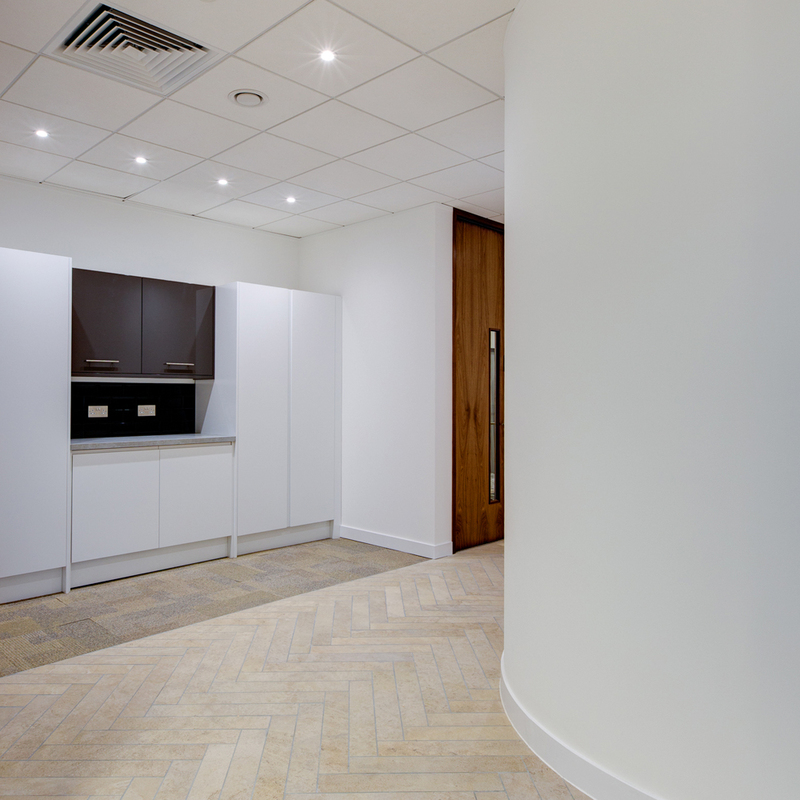 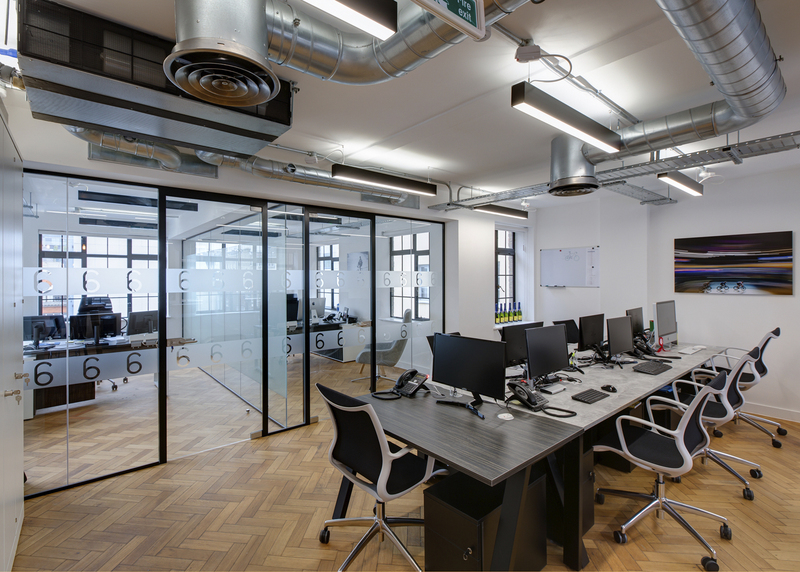 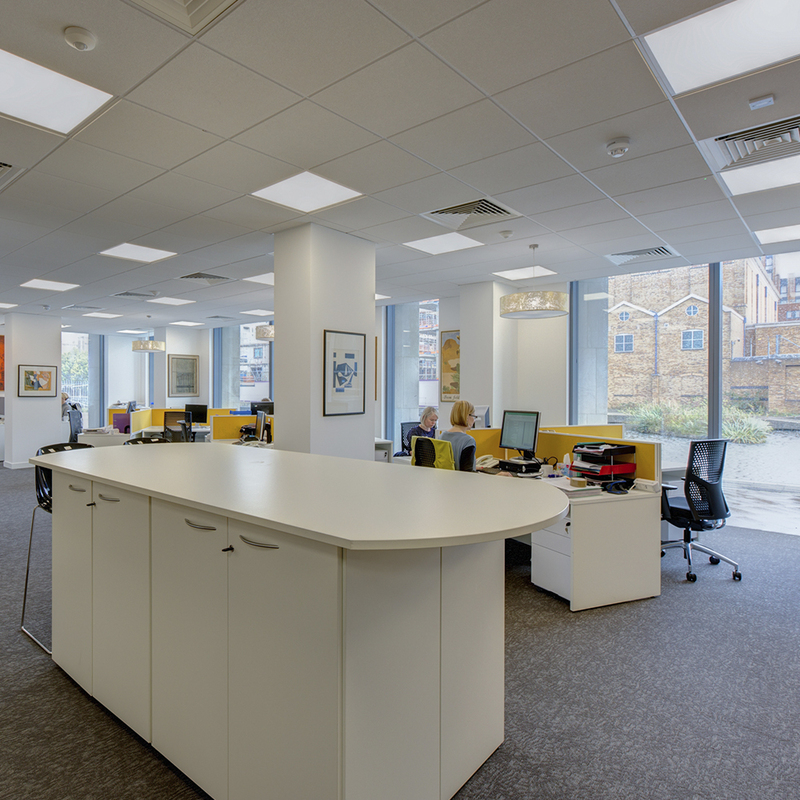 ​GREY delivered a high end specification fit-out for this London City HQ Office. 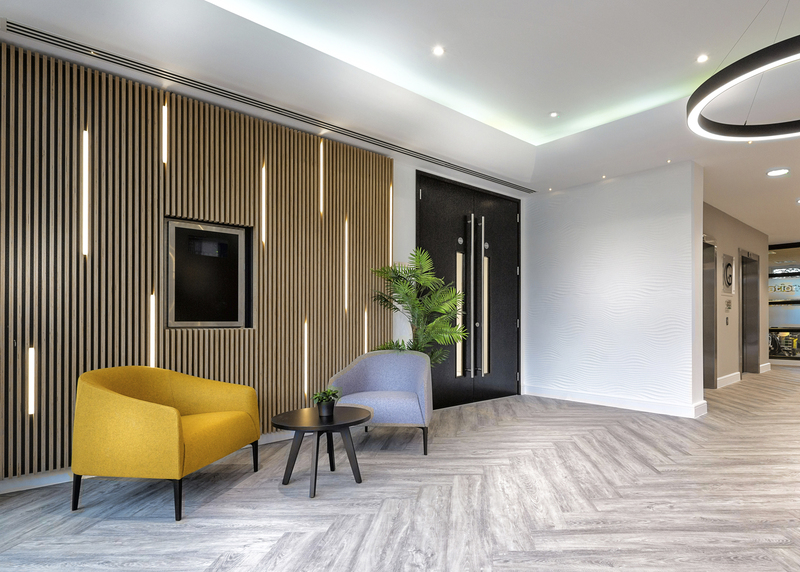 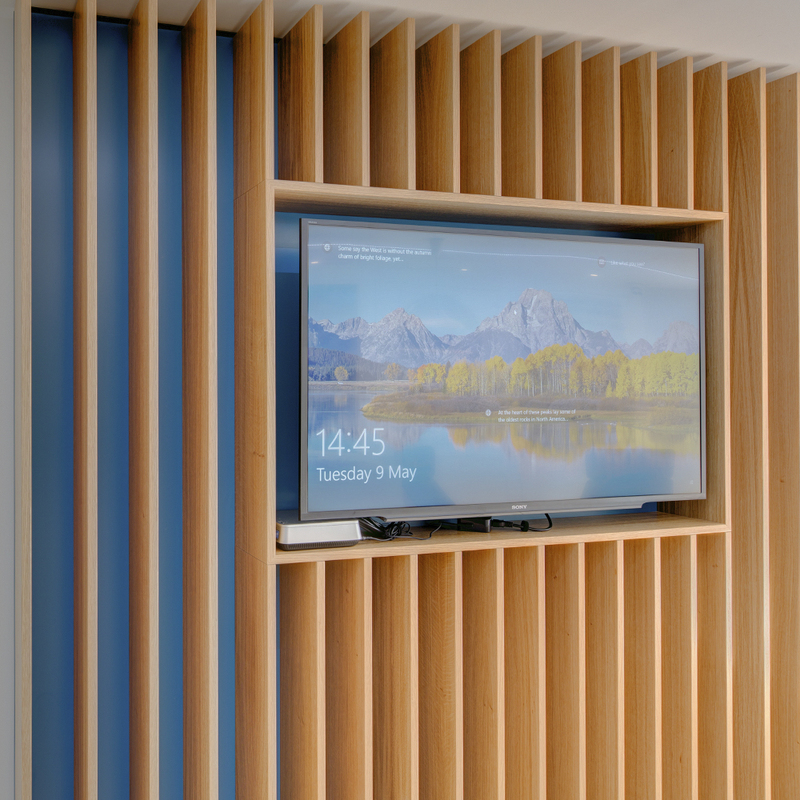 The design included glazed partitioning, bespoke joinery, feature flooring, feature wall panelling and feature wall finishes. 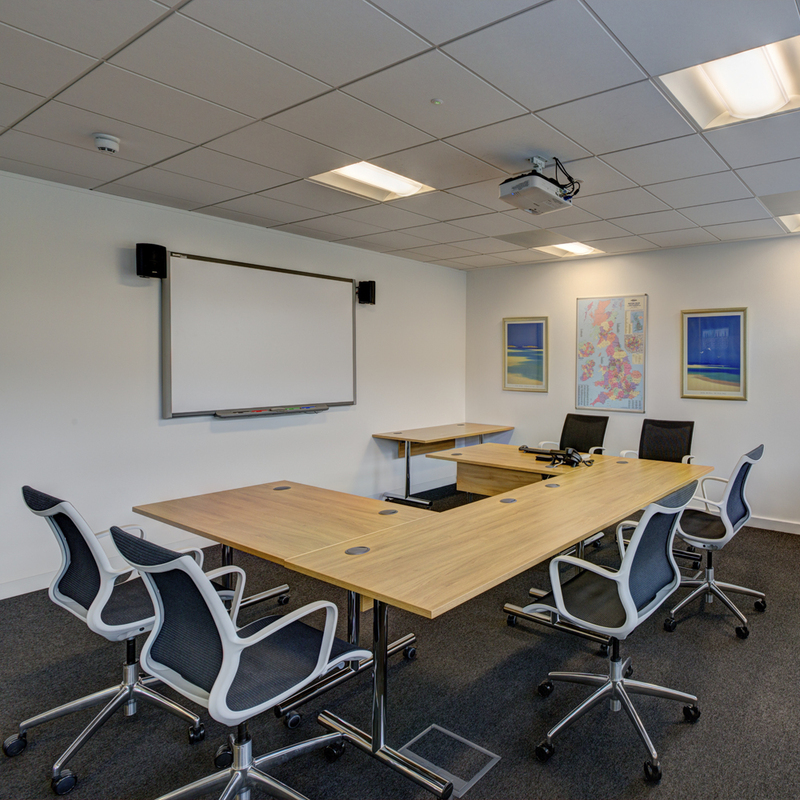 GREY also installed the AV supply, the power and data infrastructure and supplied the furniture and managed their move. 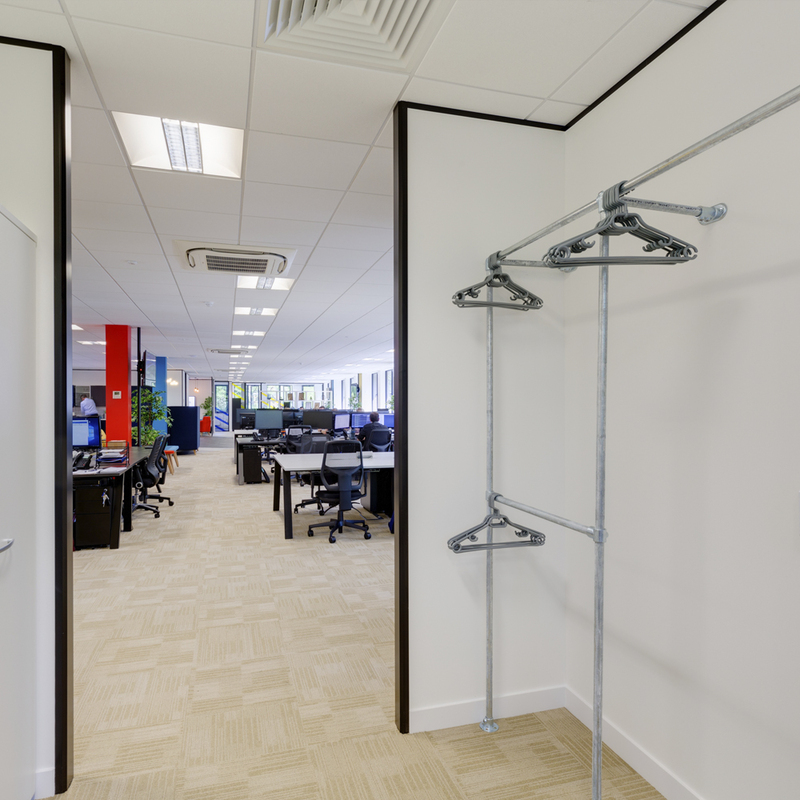 general furniture supply and move management. 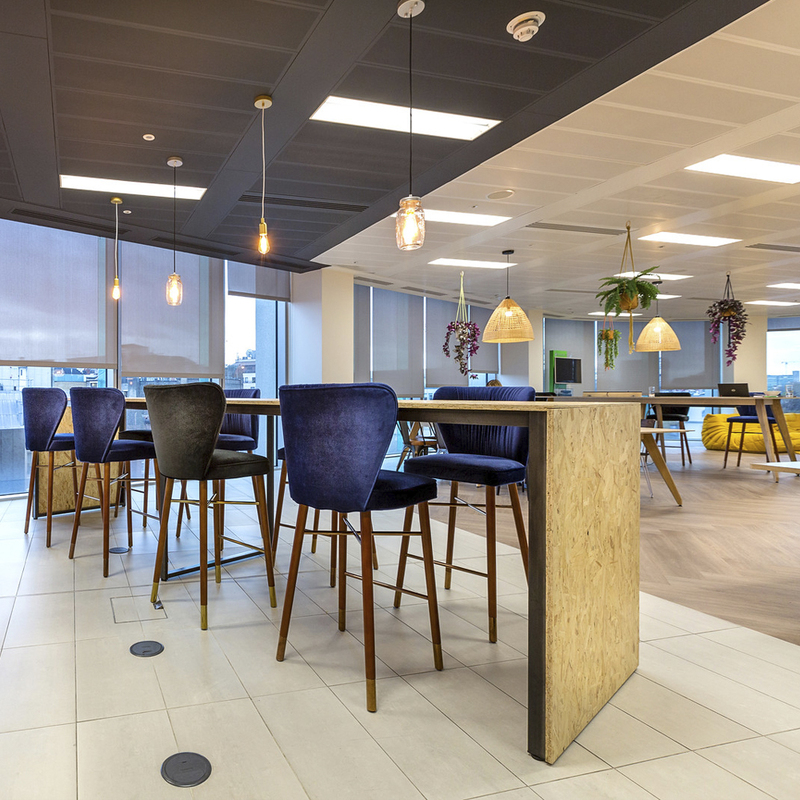 ​Interior fit-out, medium specification design with glazed partitioning, bespoke joinery, feature flooring, feature breakout area, feature wall finishes, AV supply, power and data infrastructure, bespoke furniture supply, contemporary furniture supply and move management. 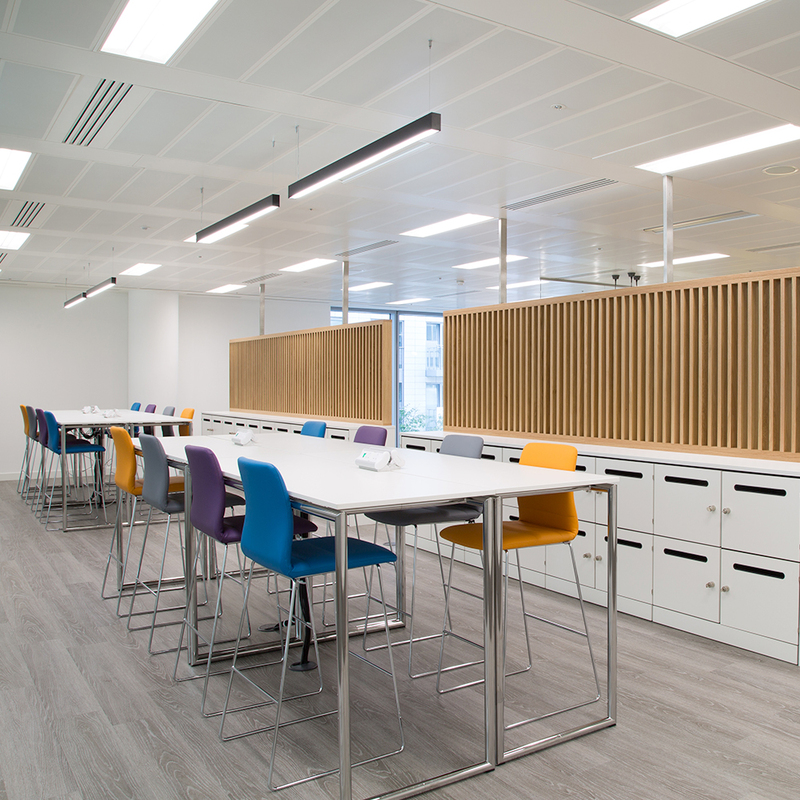 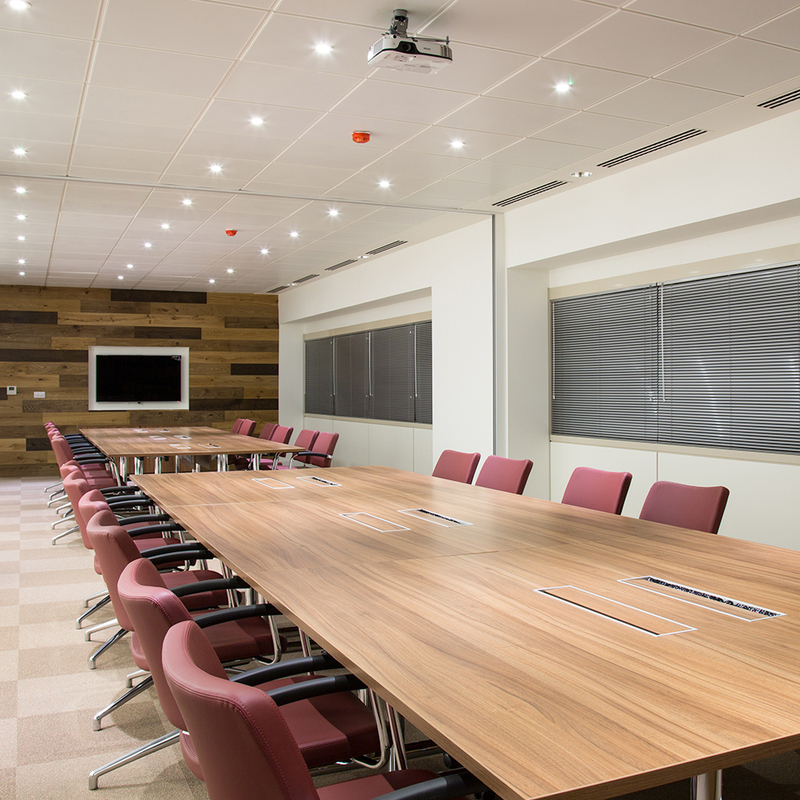 This was a full interior fit-out of mid-range specification design with glazed partitioning, bespoke joinery, feature flooring, feature wall panelling and feature wall finishes. 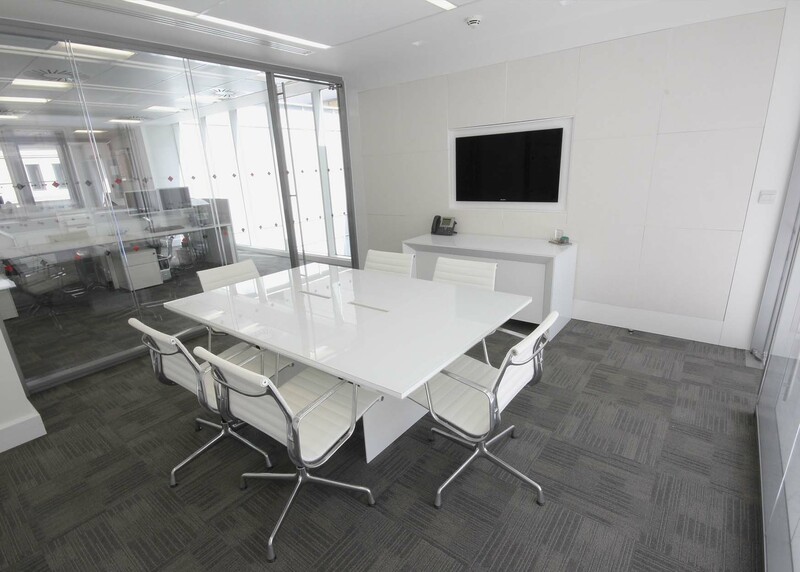 We also provided the power and data infrastructure, AV supply, general furniture supply and move management. 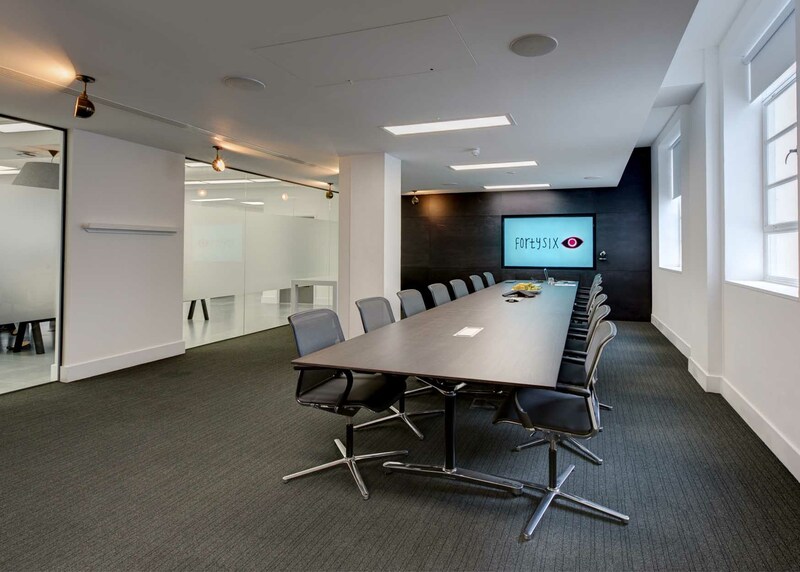 ​Interior fit-out, high end specification design. 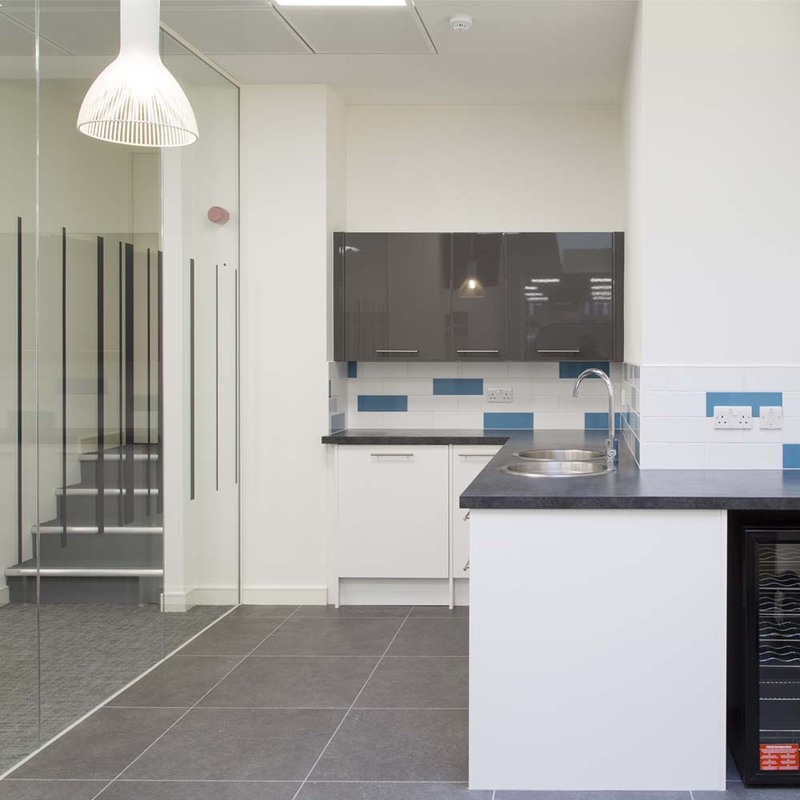 Kitchen extension and kitchen refurbishment with new commercial cooking facilities, extraction, lighting wall and floor finishes. 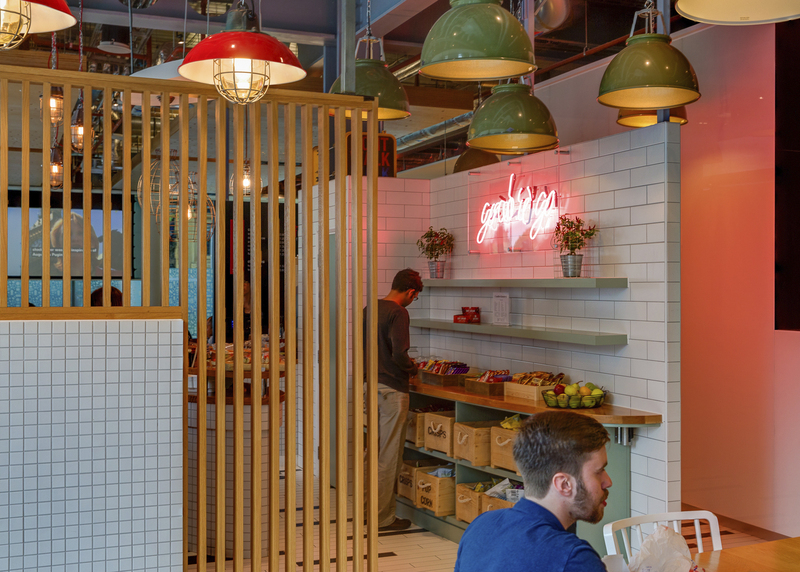 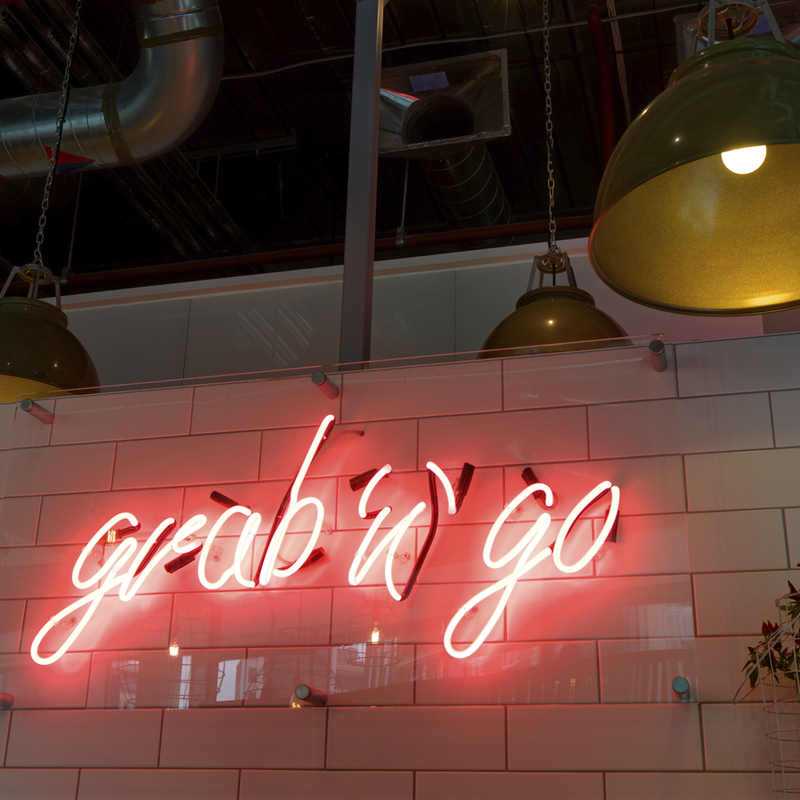 The Grab ‘n’ Go was formed with bespoke joinery feature lighting, neon signage and tiled wall finishes with the installation of new sandwich fridges, coffee machines and tills. 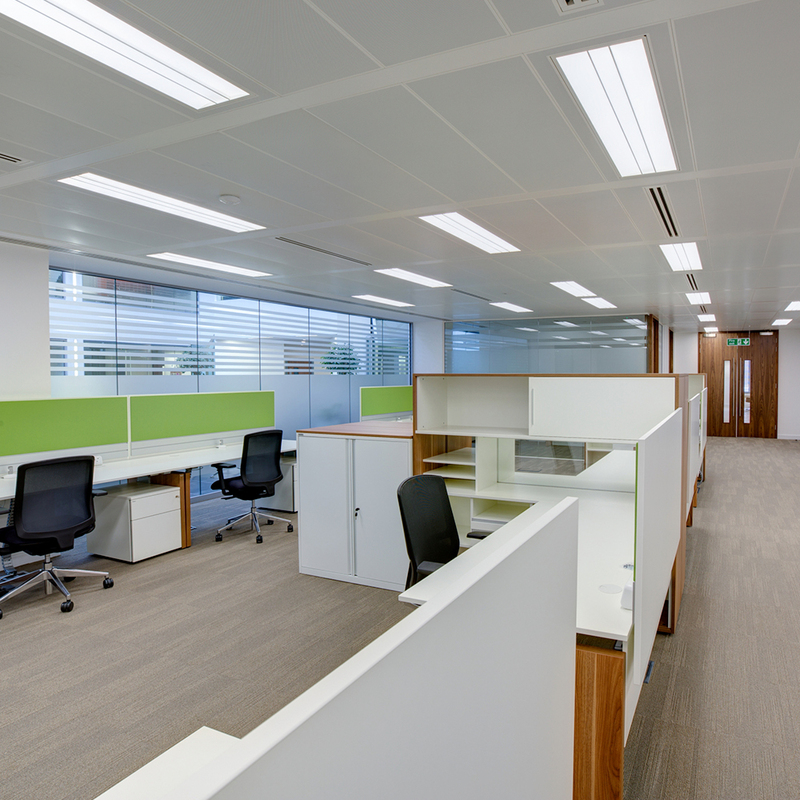 CAT A and B Interior fit-out, medium specification design with new LED lighting, ceilings, glazed partitioning, bespoke joinery, feature flooring, feature wall panelling, feature wall finishes, AV supply, power and data infrastructure, bespoke furniture supply, general furniture supply and move management.